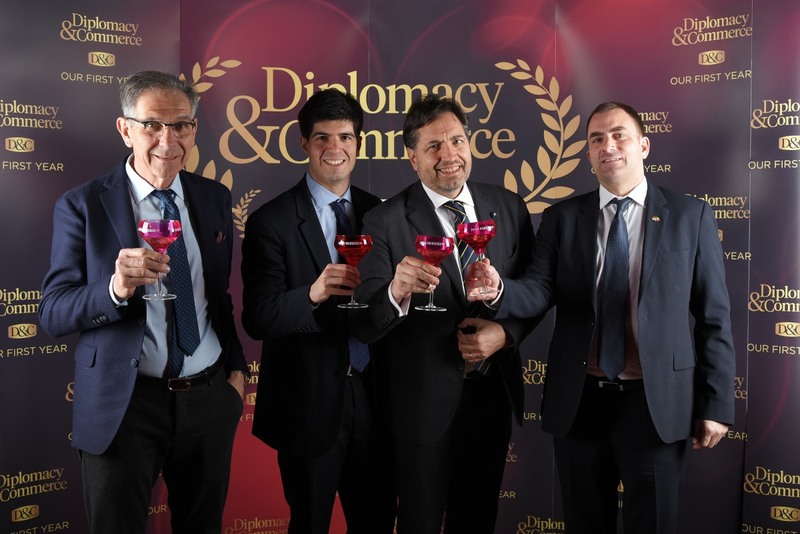 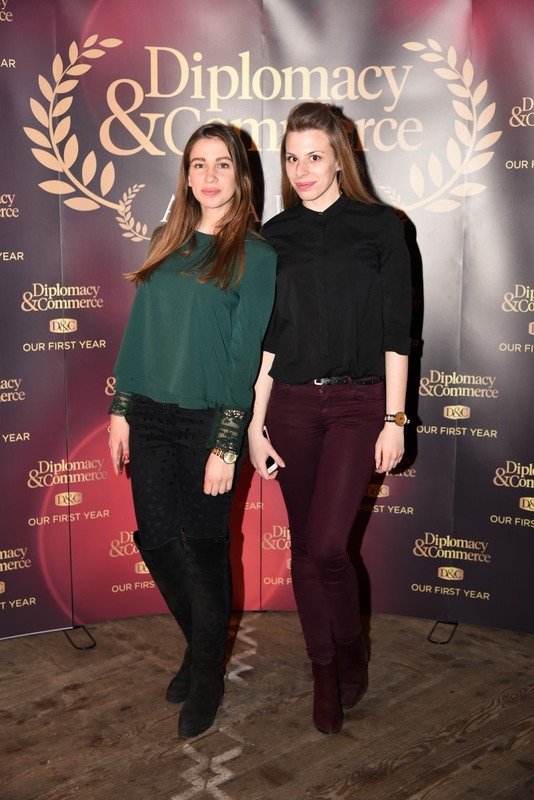 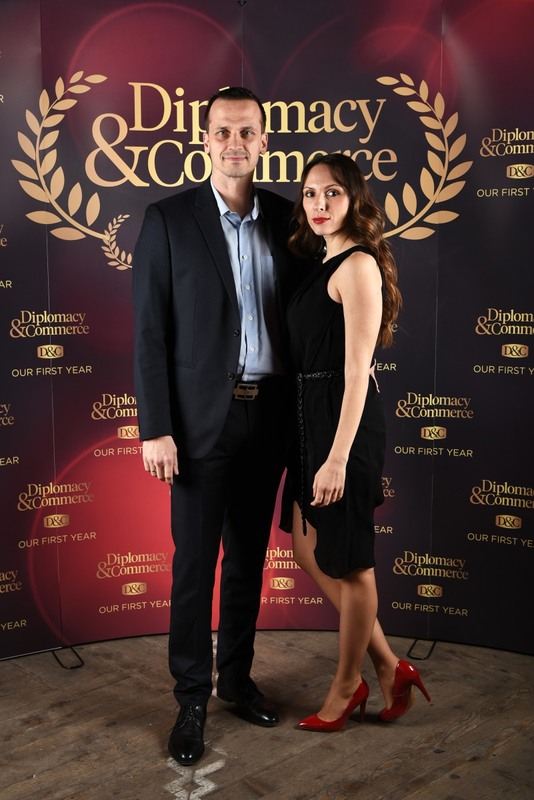 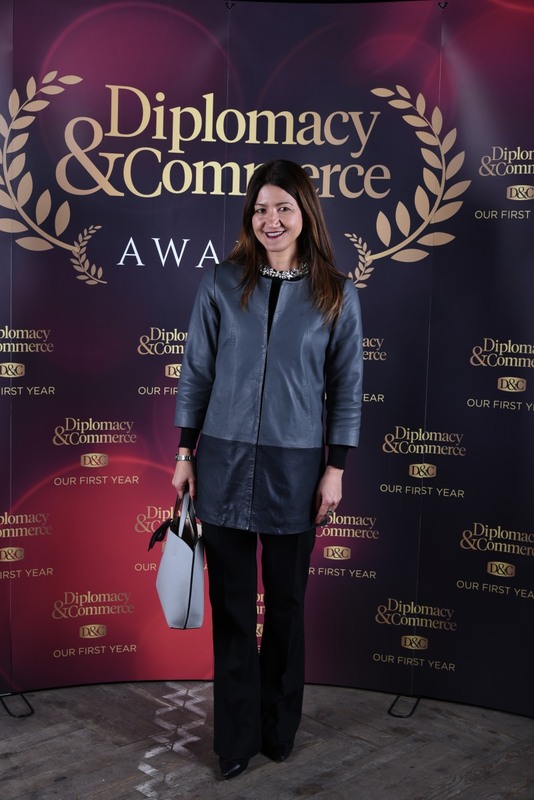 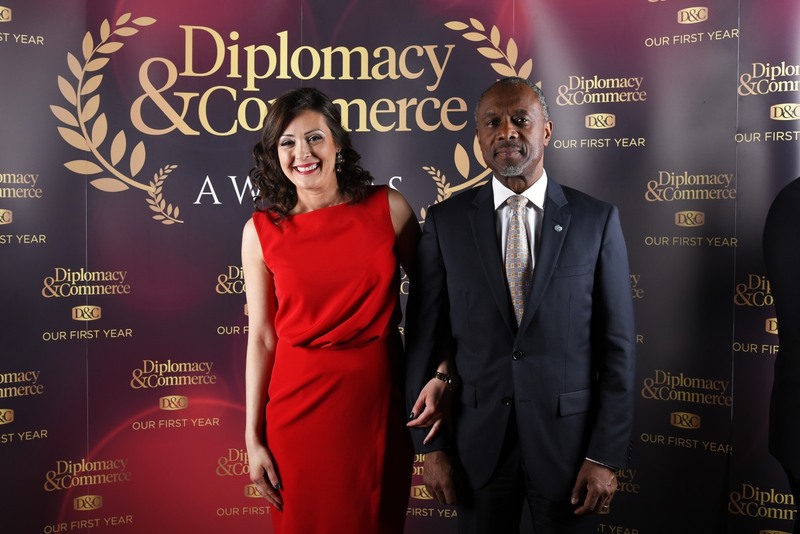 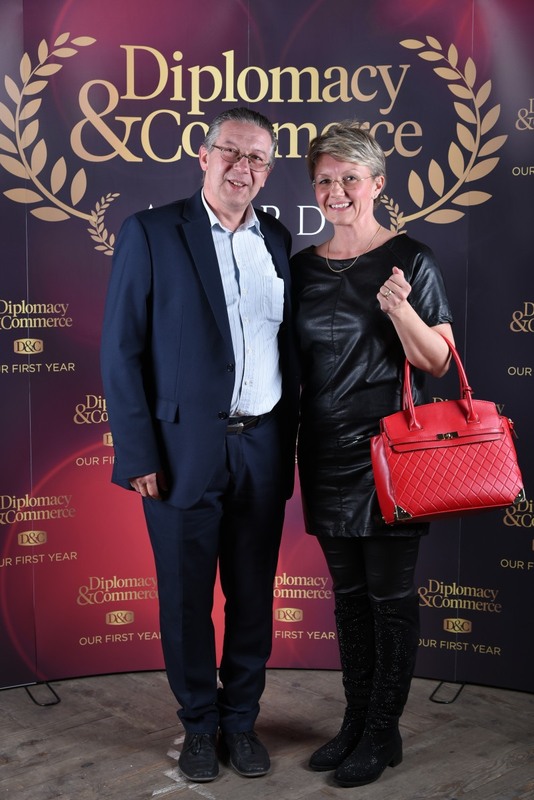 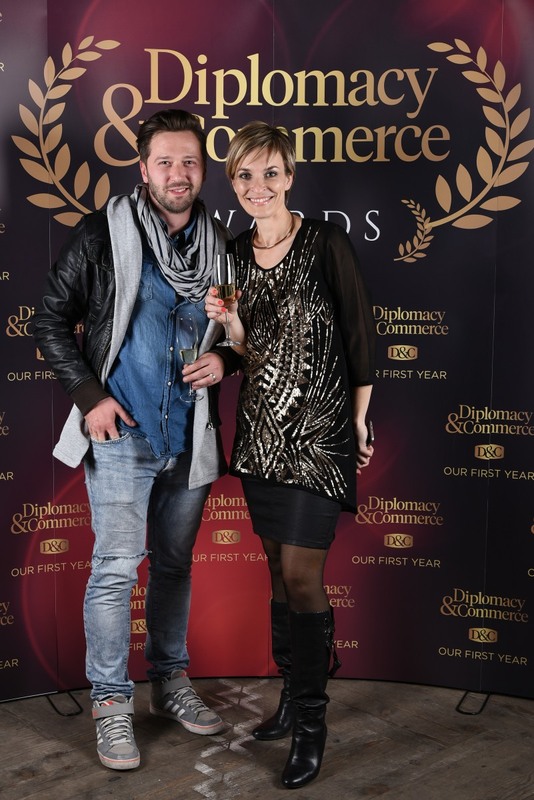 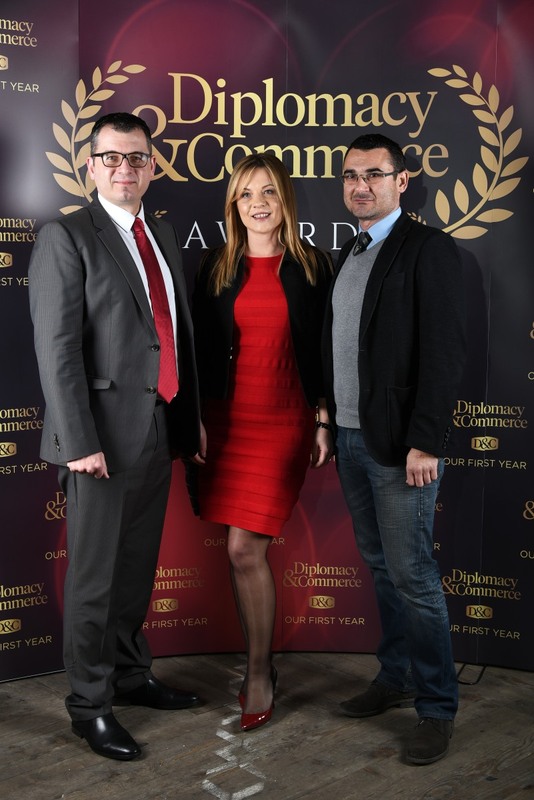 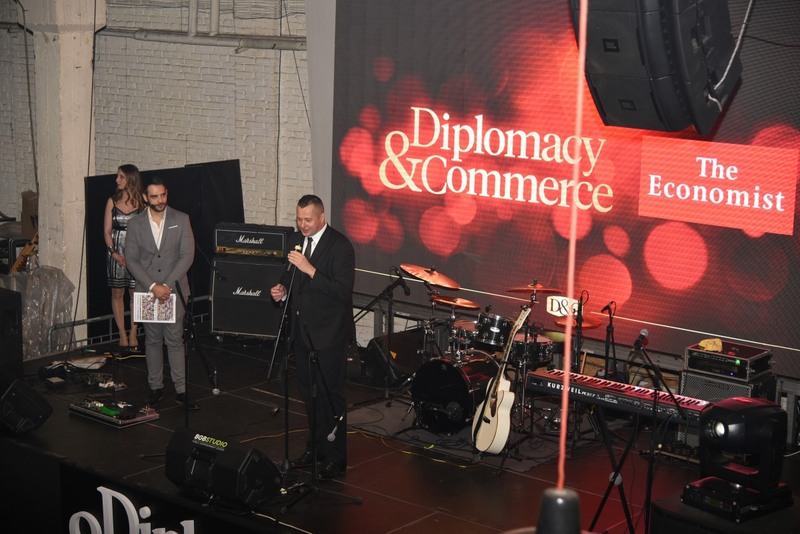 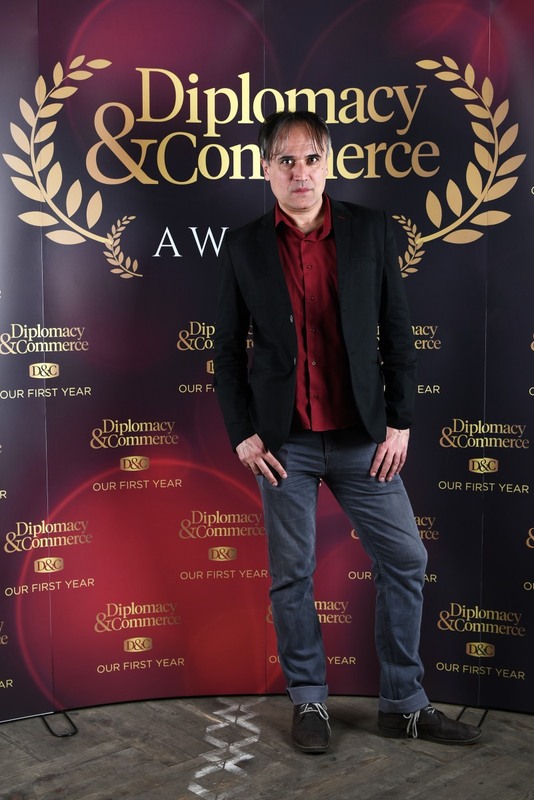 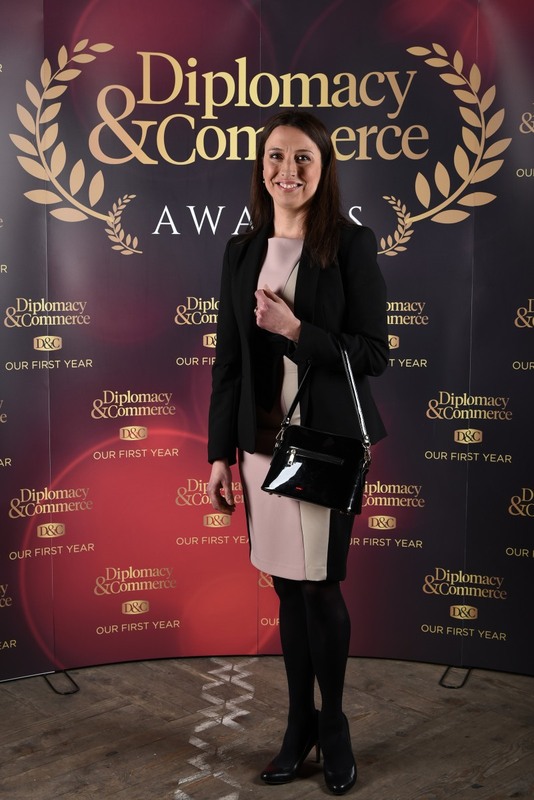 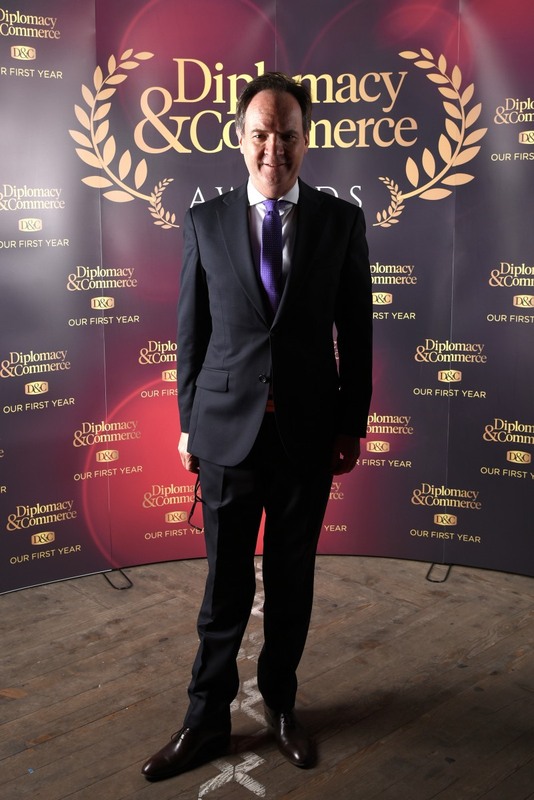 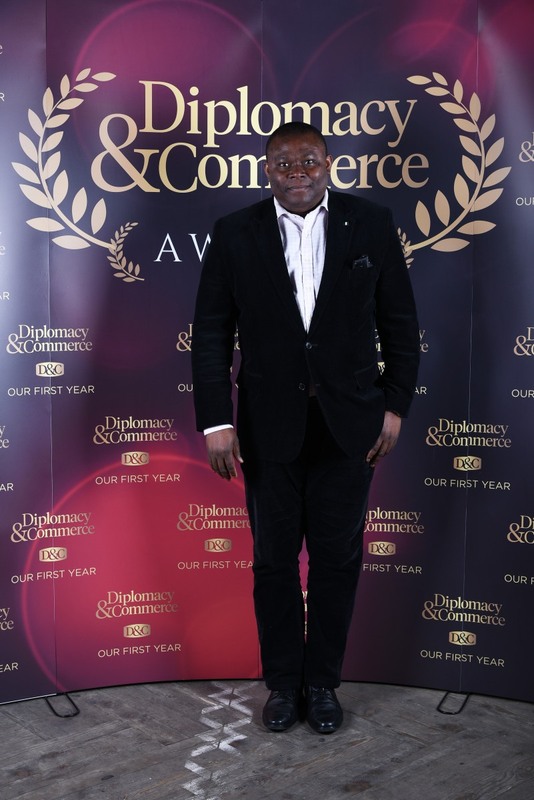 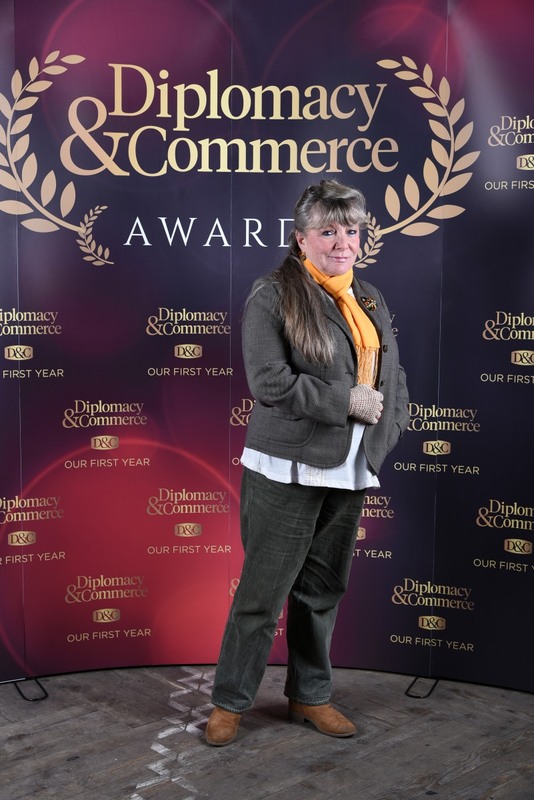 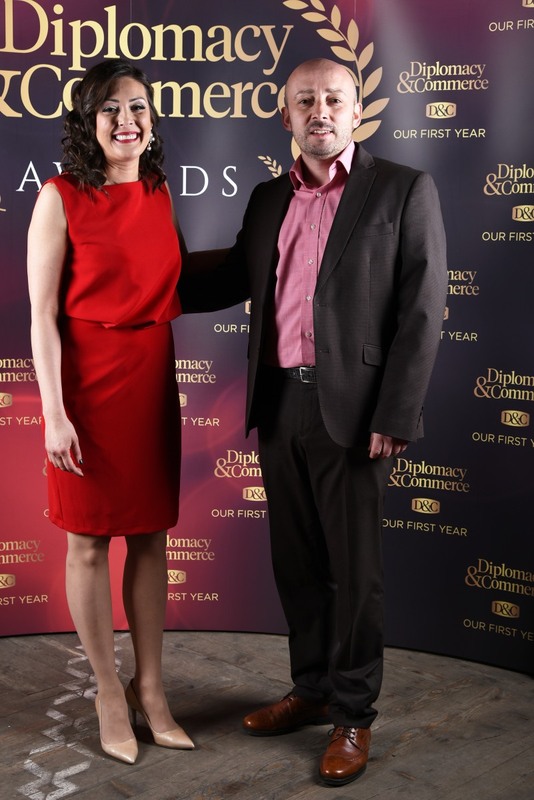 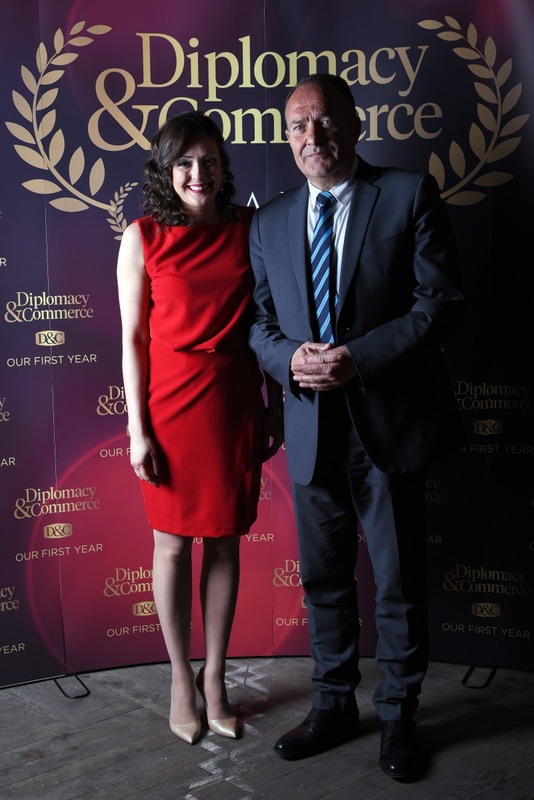 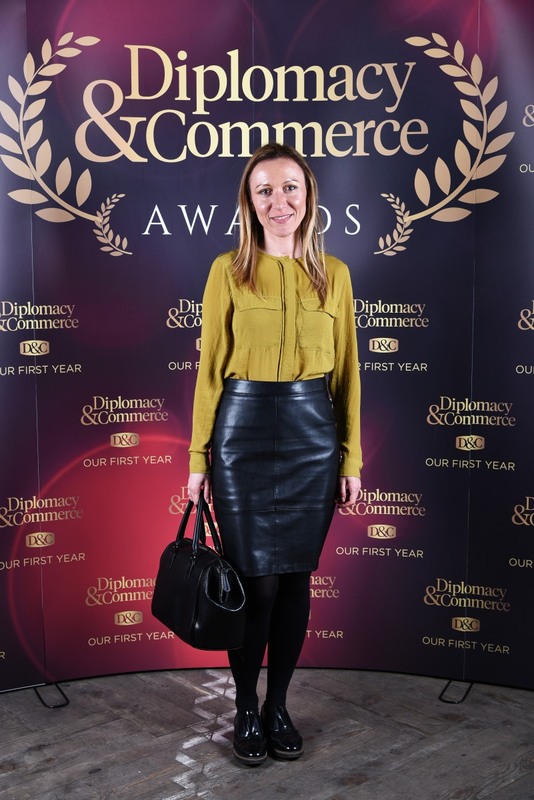 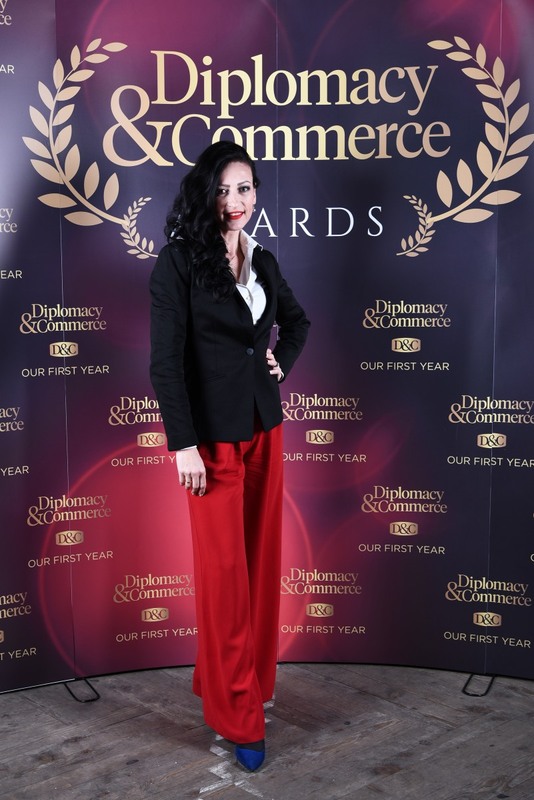 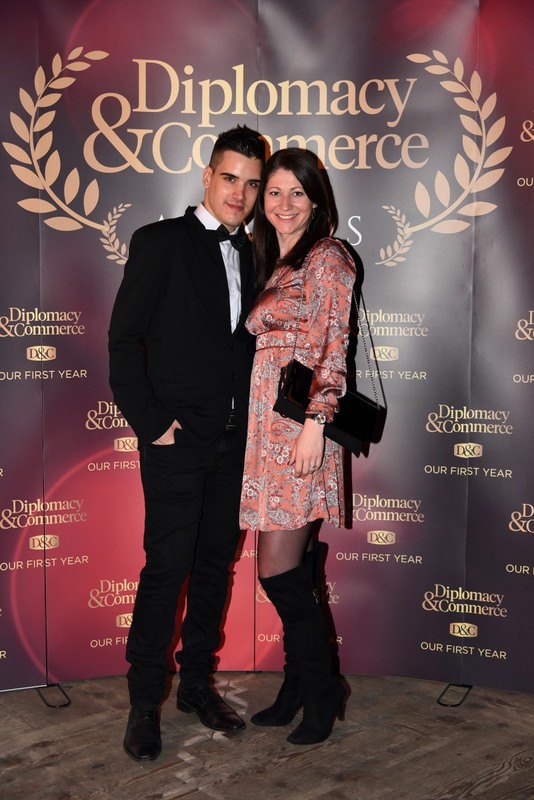 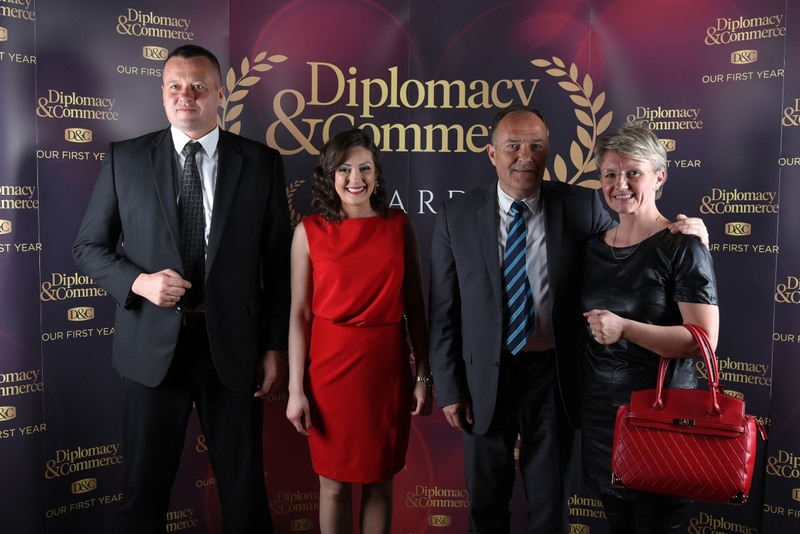 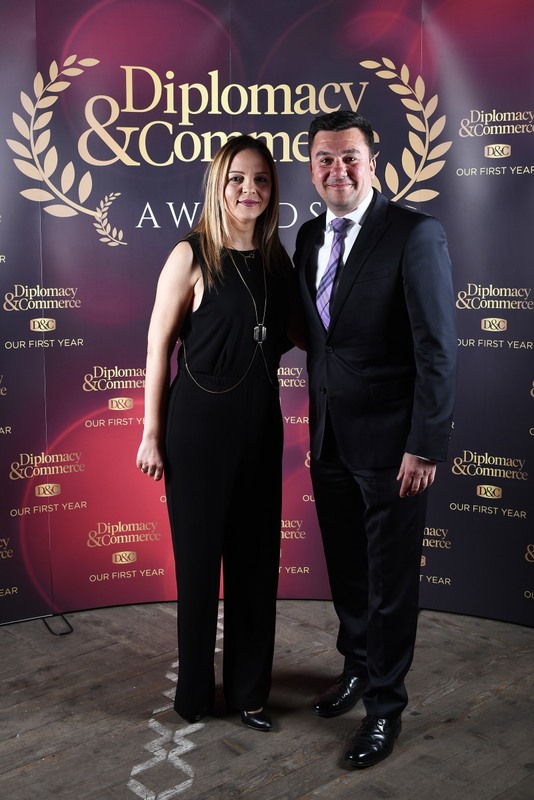 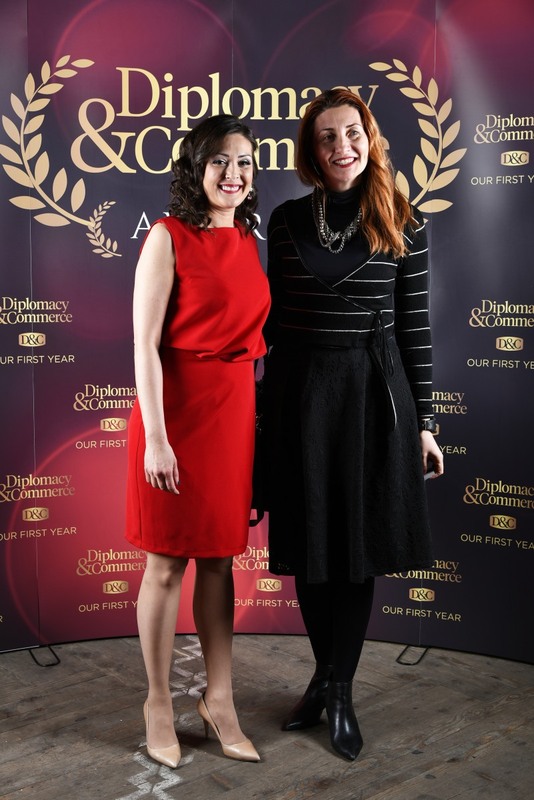 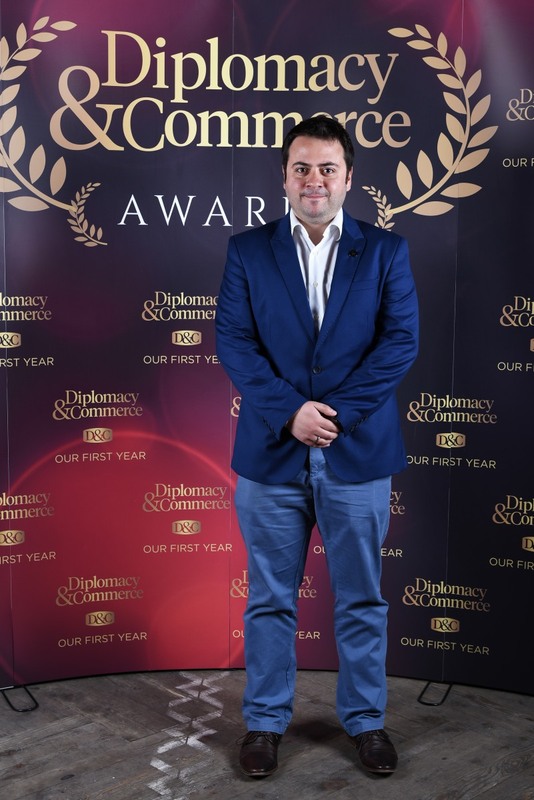 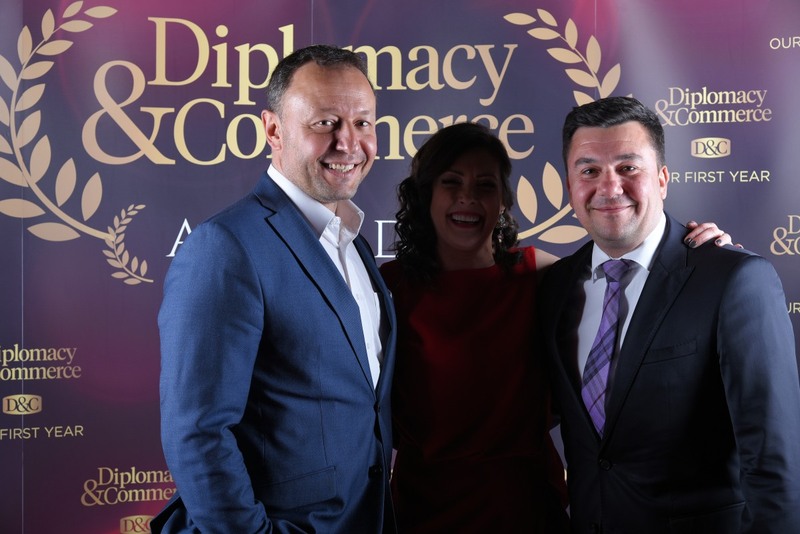 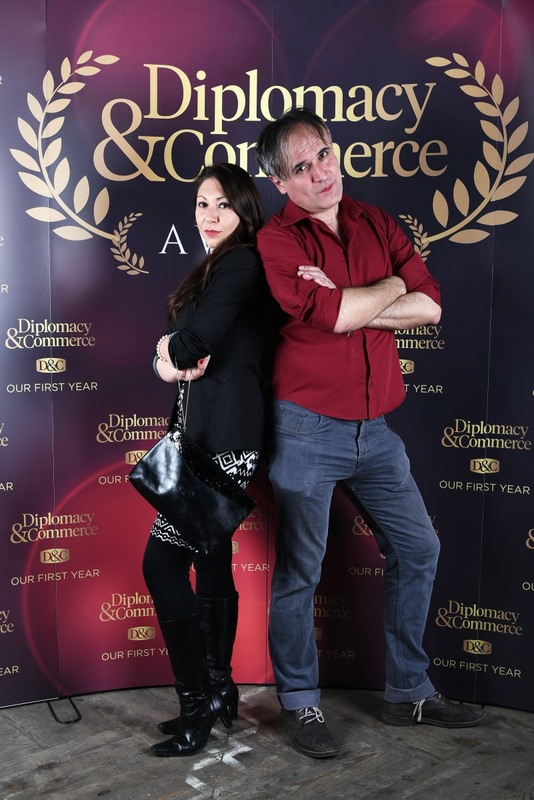 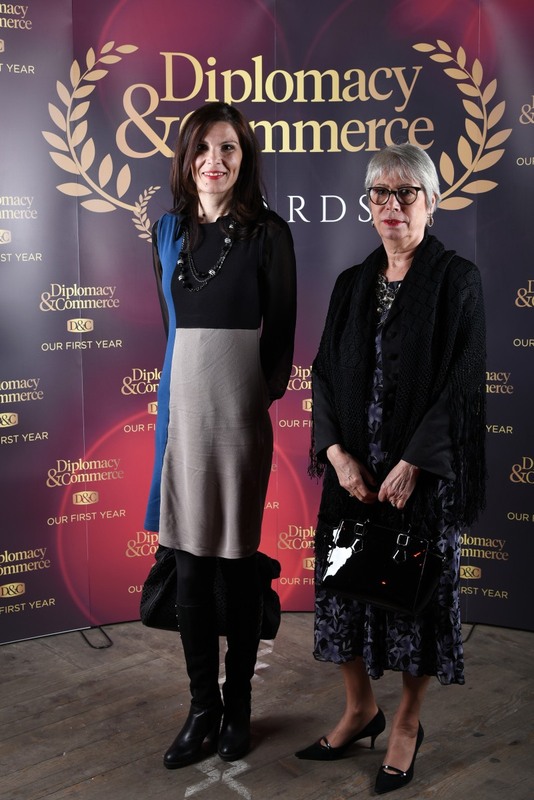 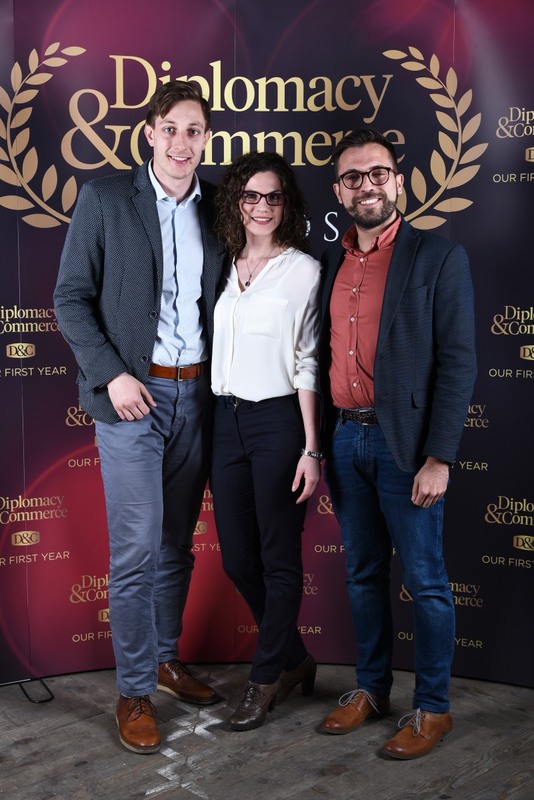 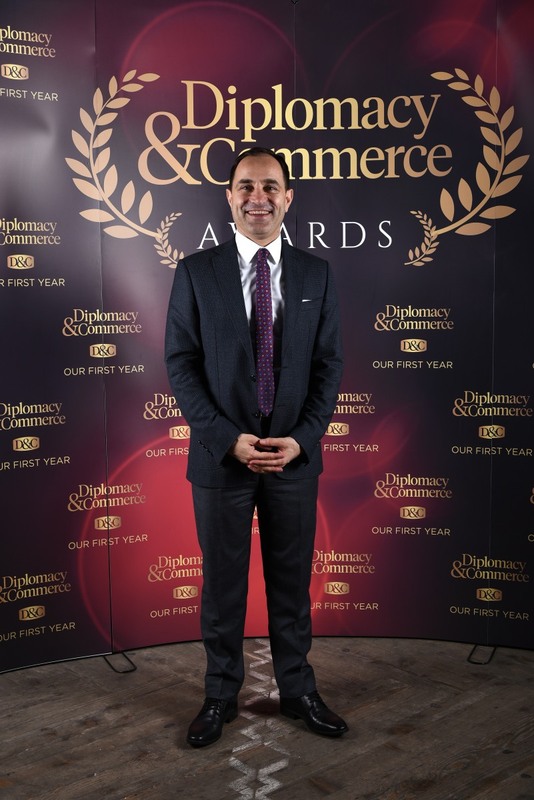 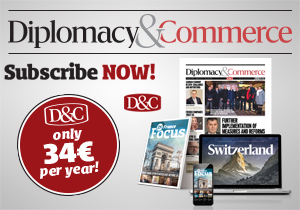 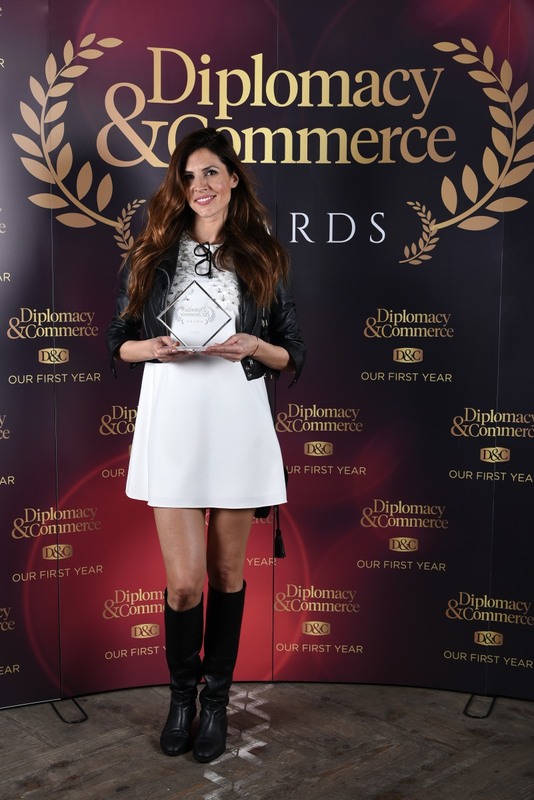 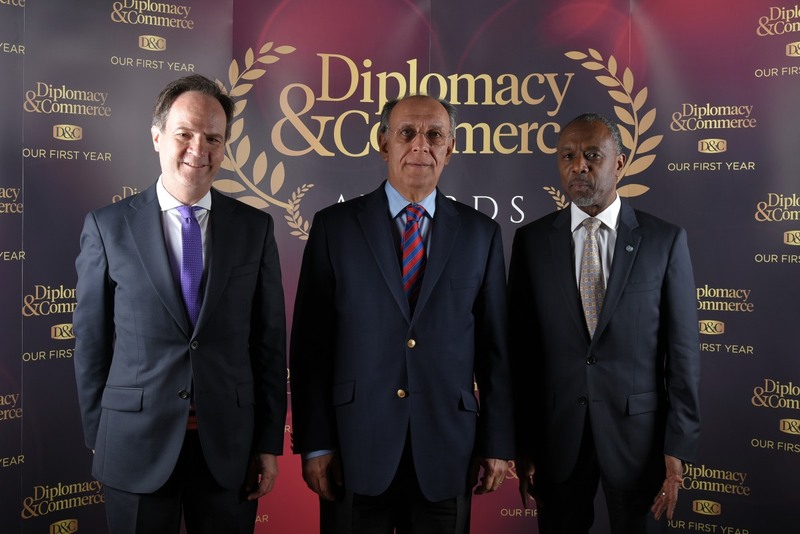 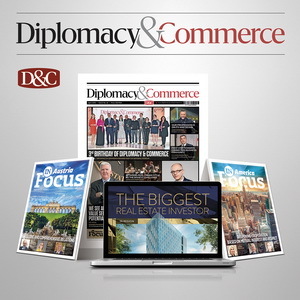 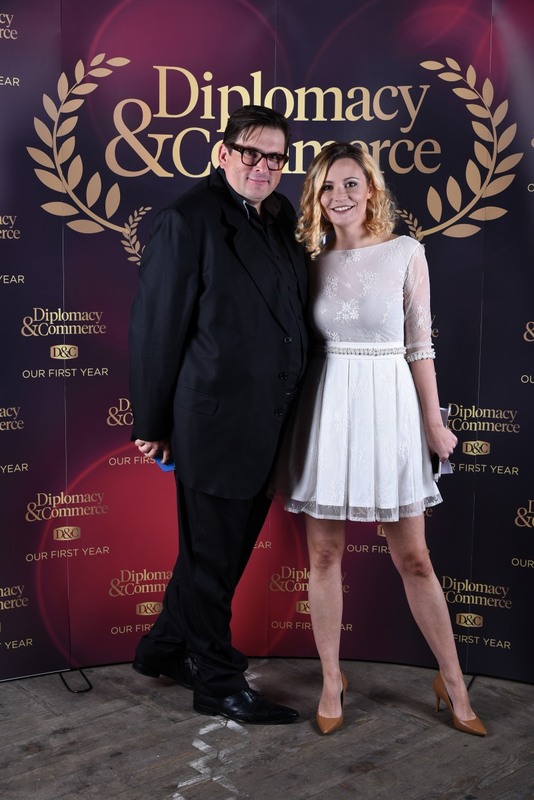 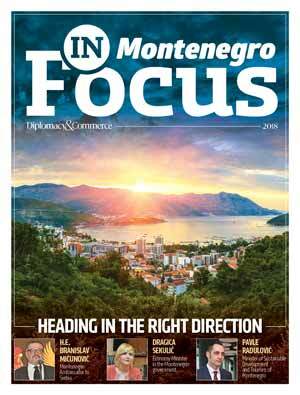 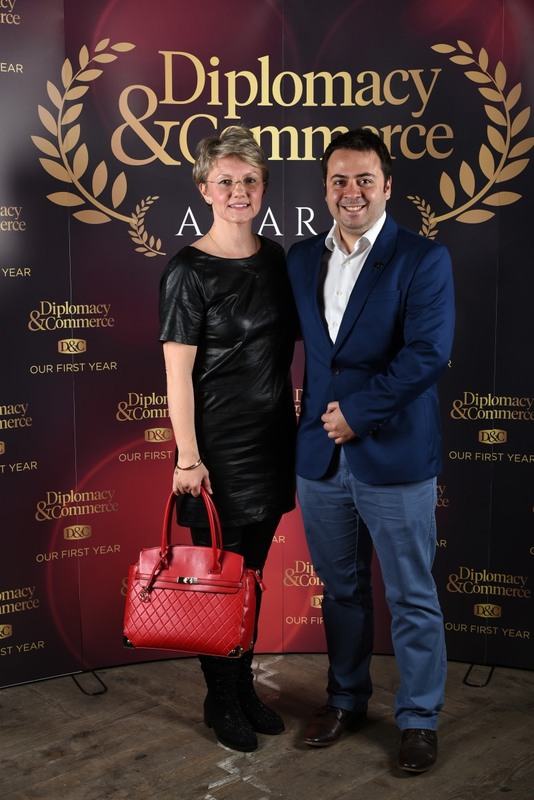 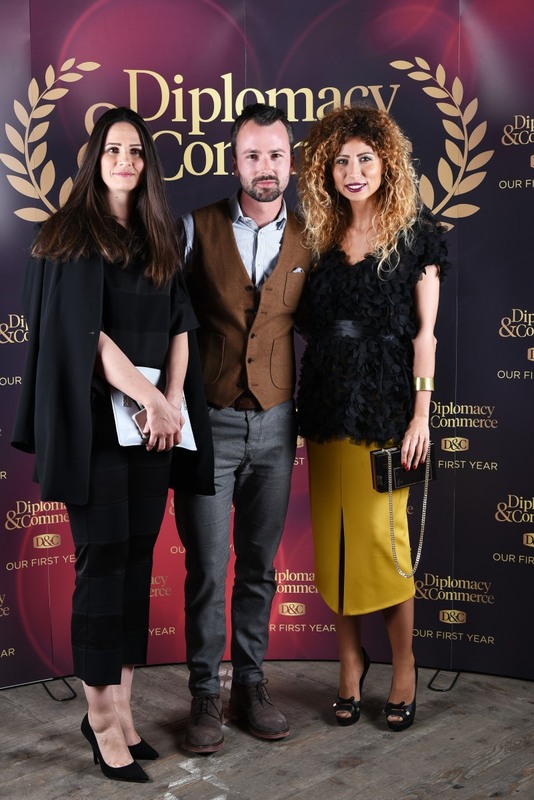 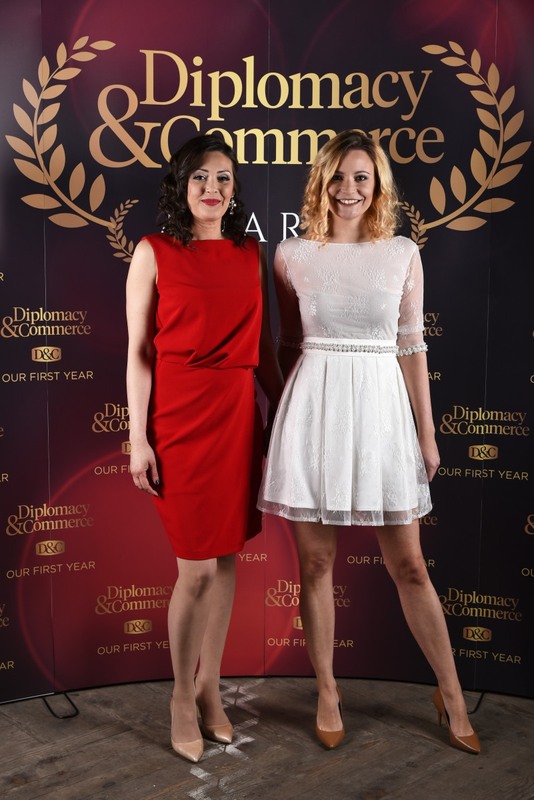 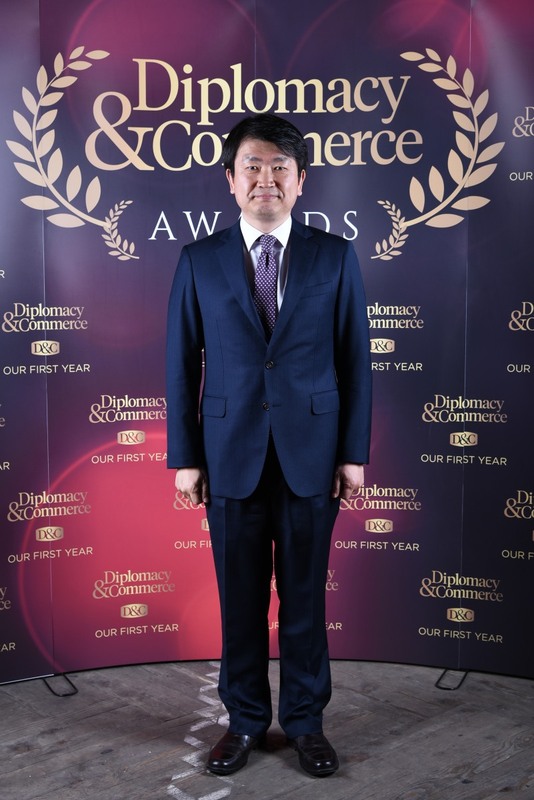 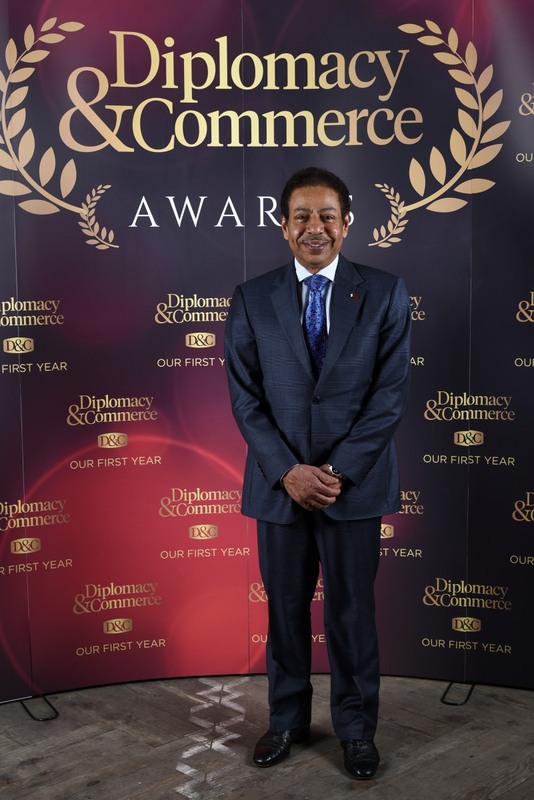 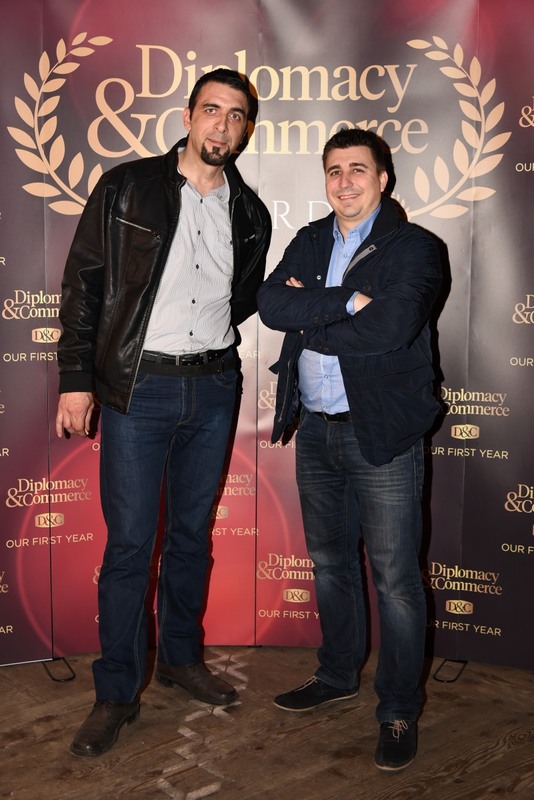 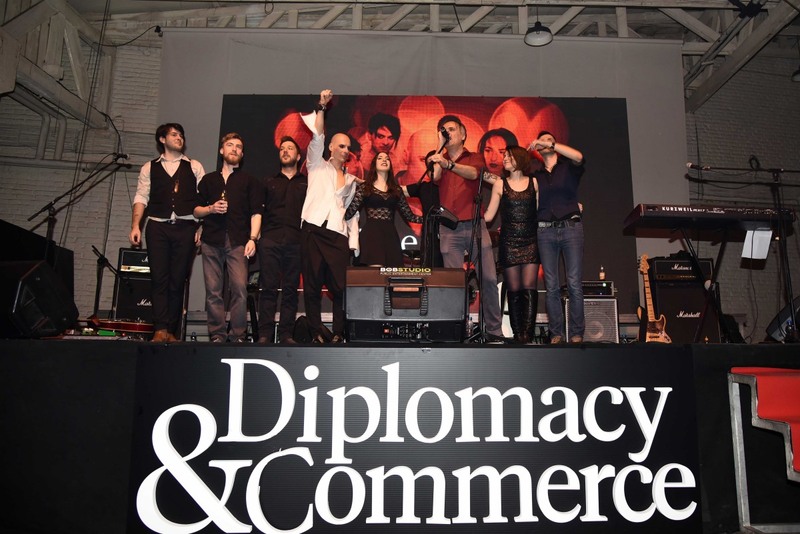 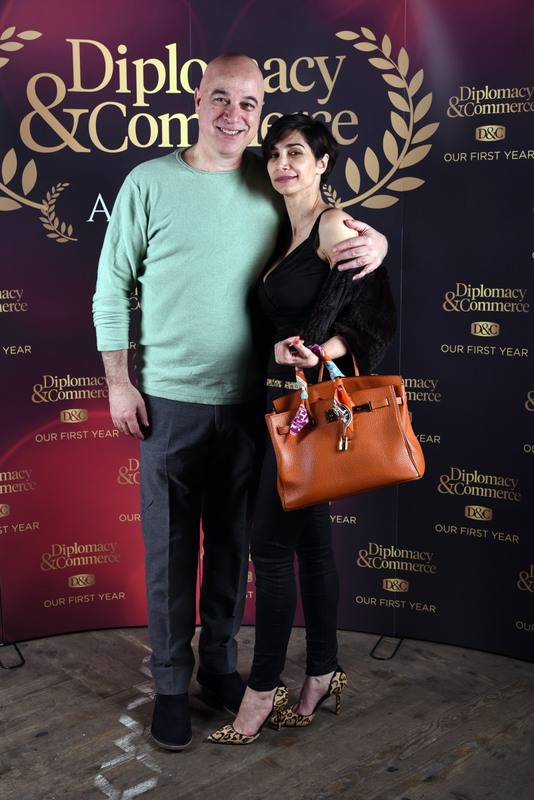 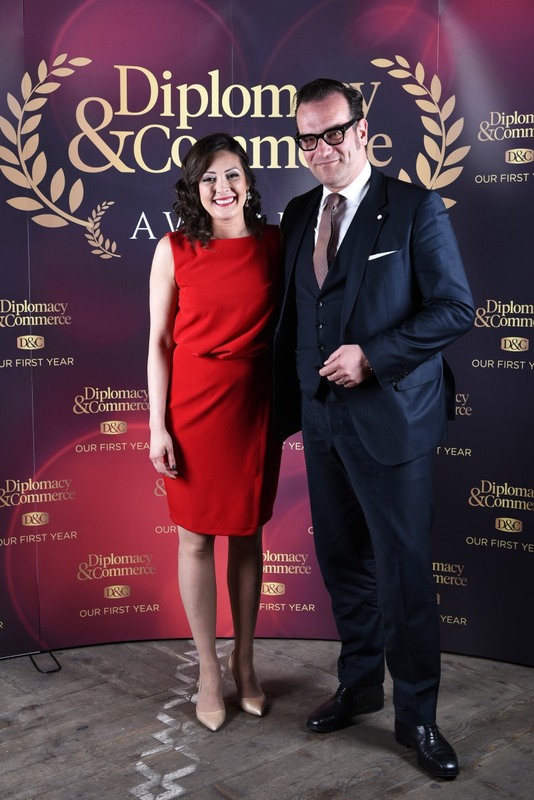 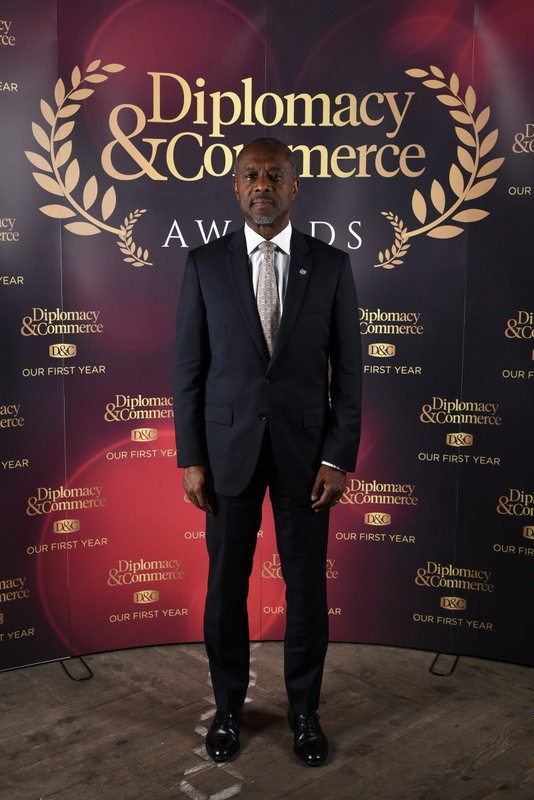 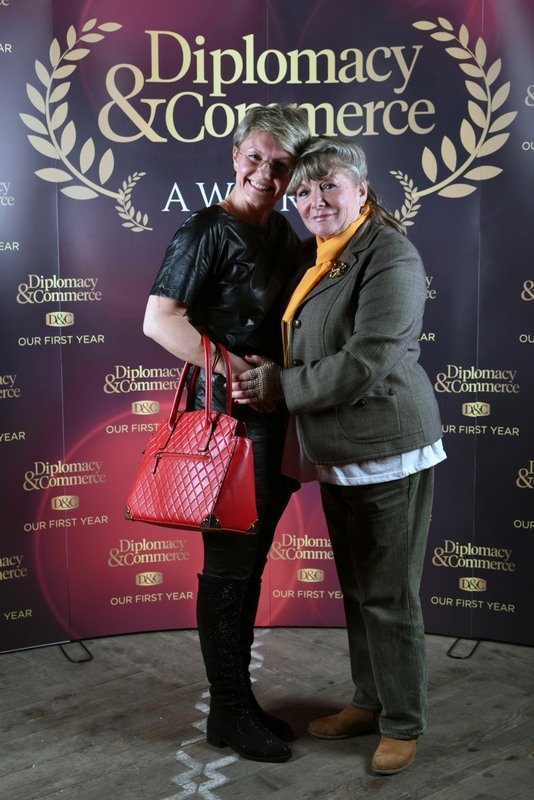 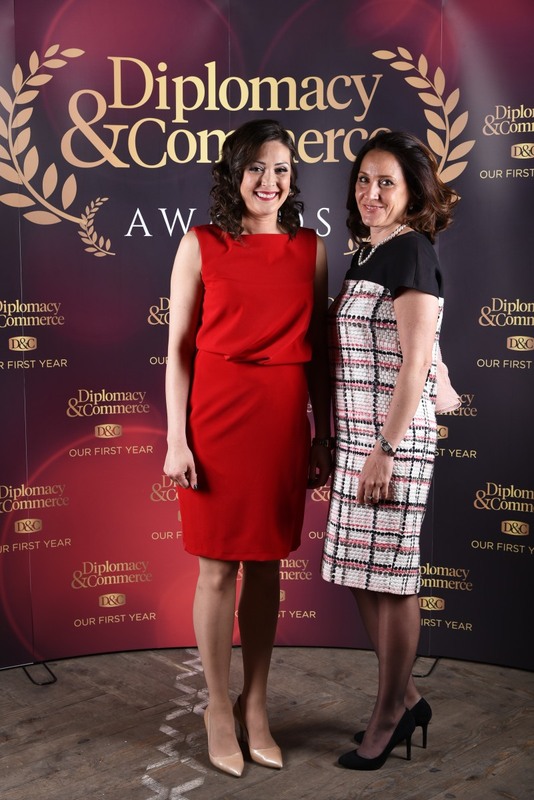 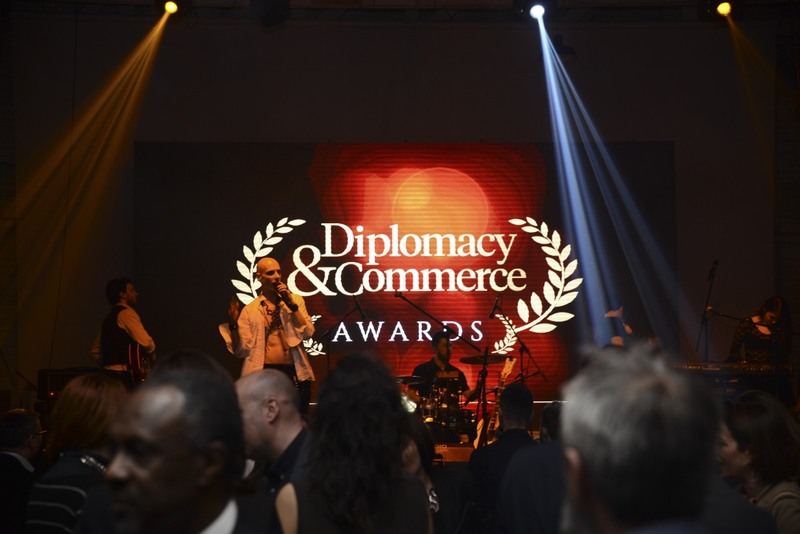 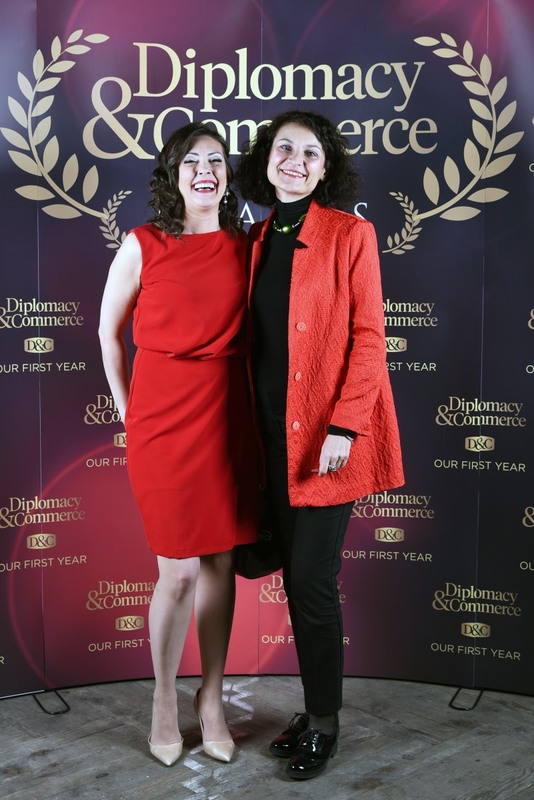 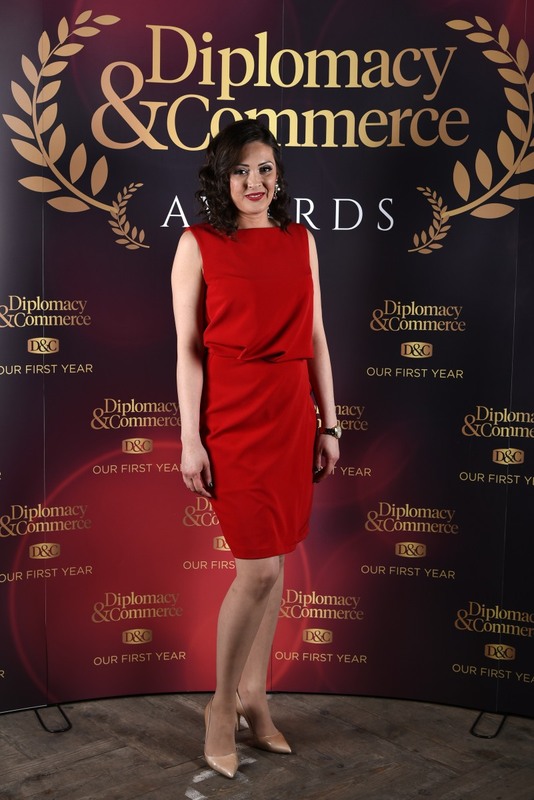 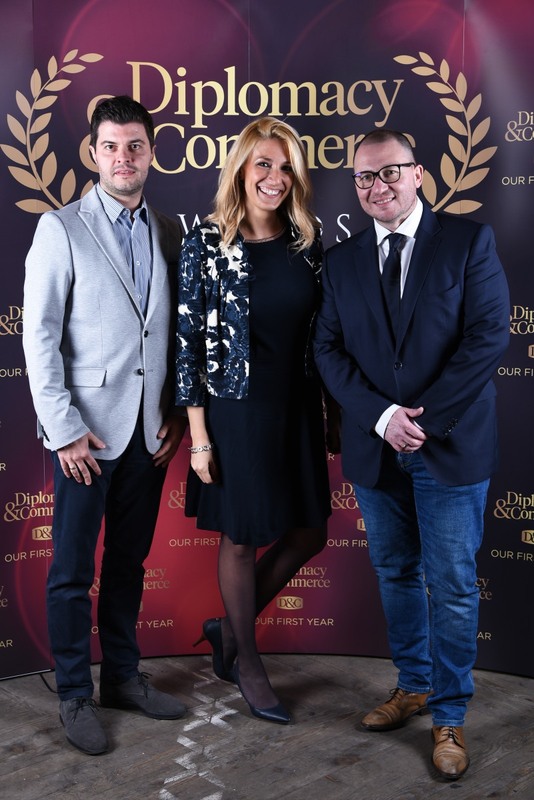 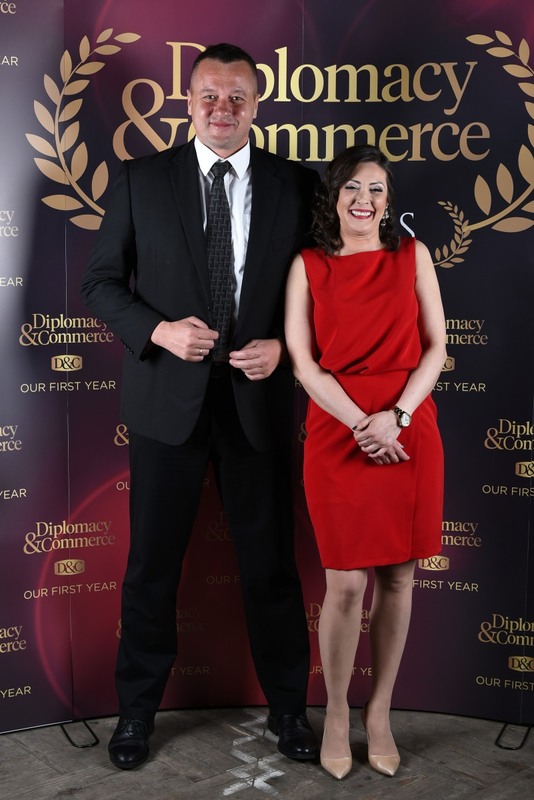 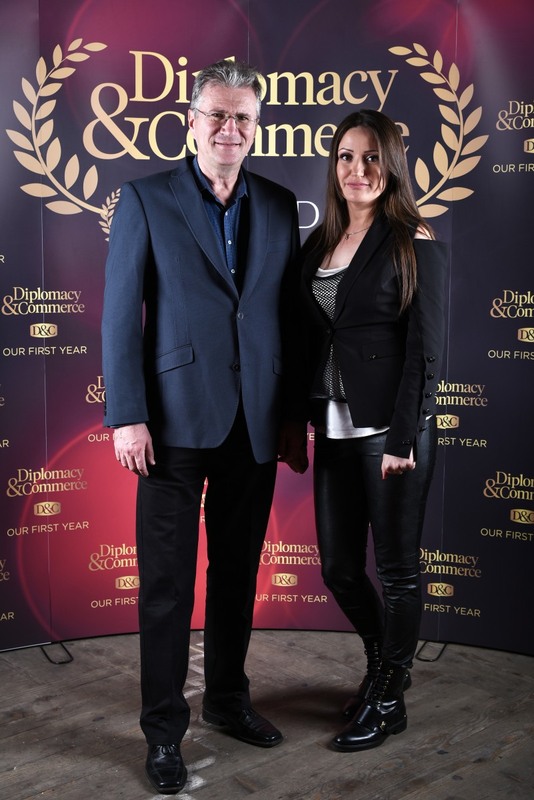 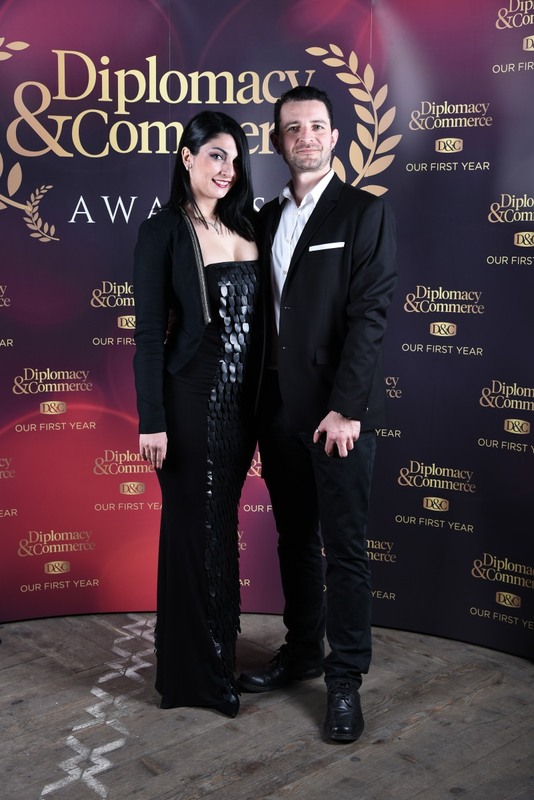 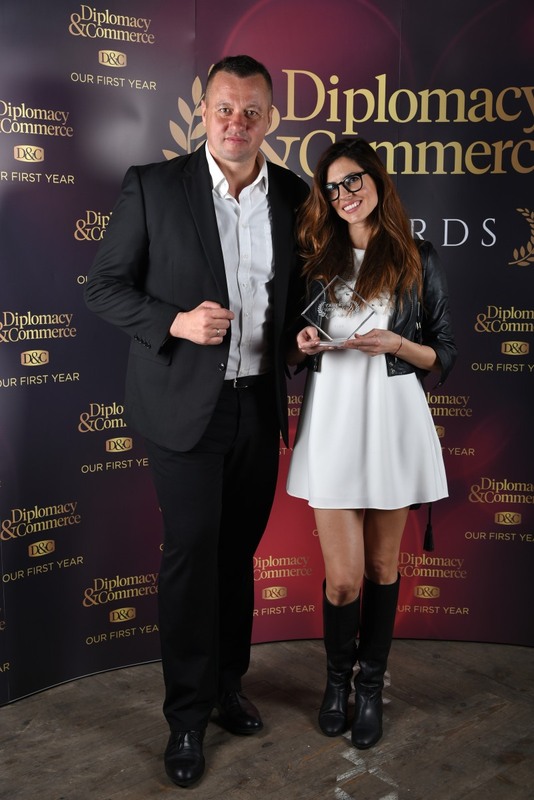 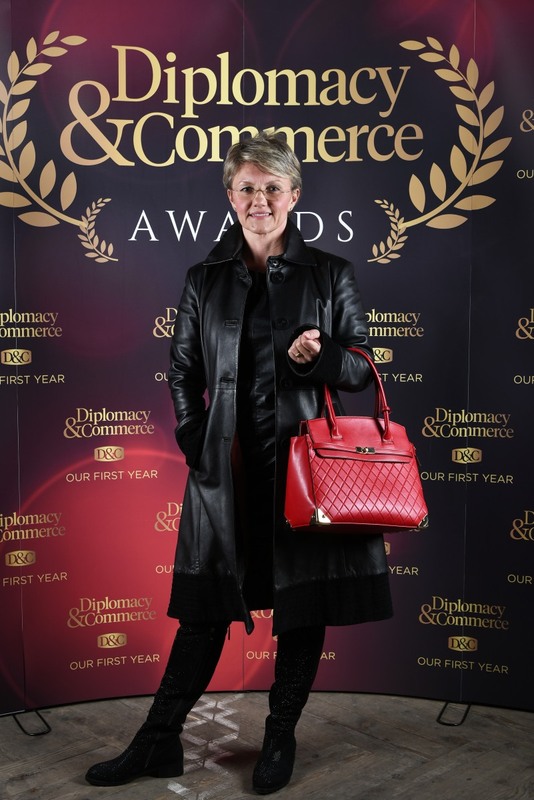 “Diplomacy & Commerce” Magazine celebrated its first birthday at “Mikser House” with the award ceremony. 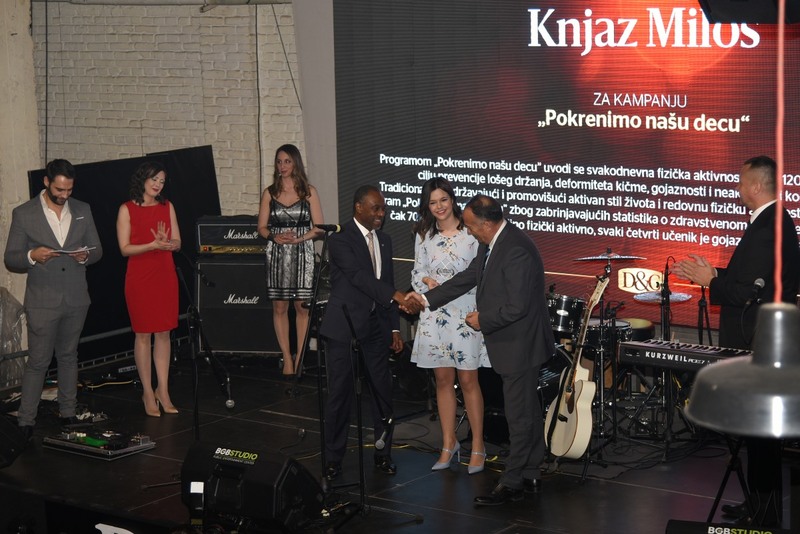 Awards were given to outstanding individuals, organisations and institutions. 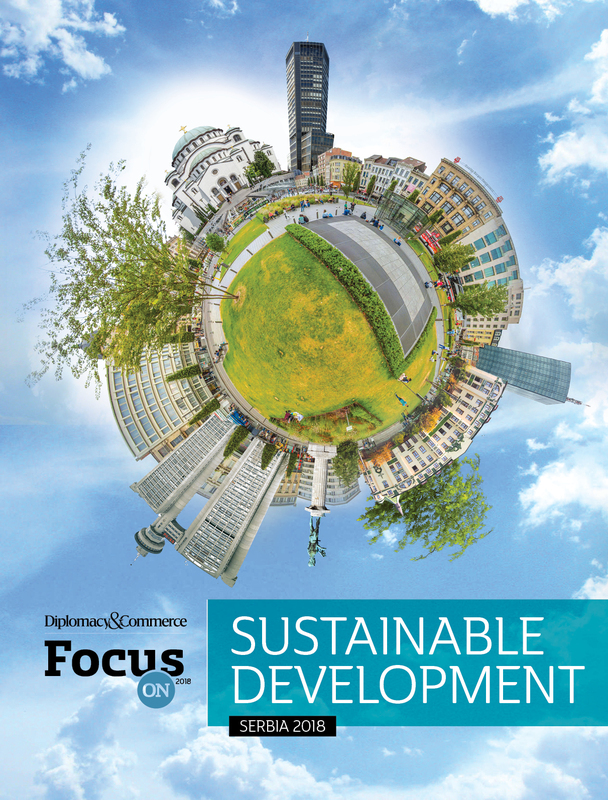 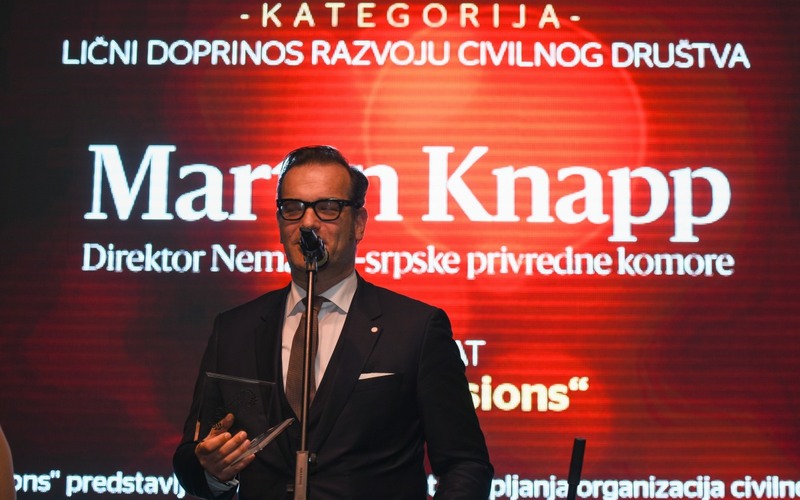 The criterion was: the emphasis in humanitarian work in corporate responsibility, contribution to improvement of business conditions, bilateral cooperation, civil society and the business environment in Serbia. 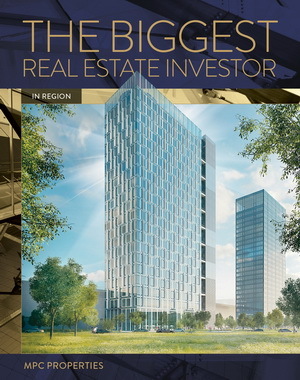 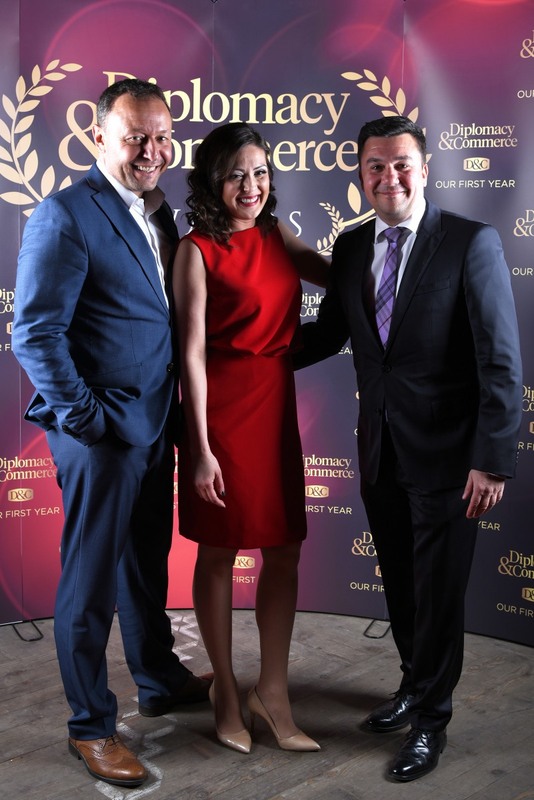 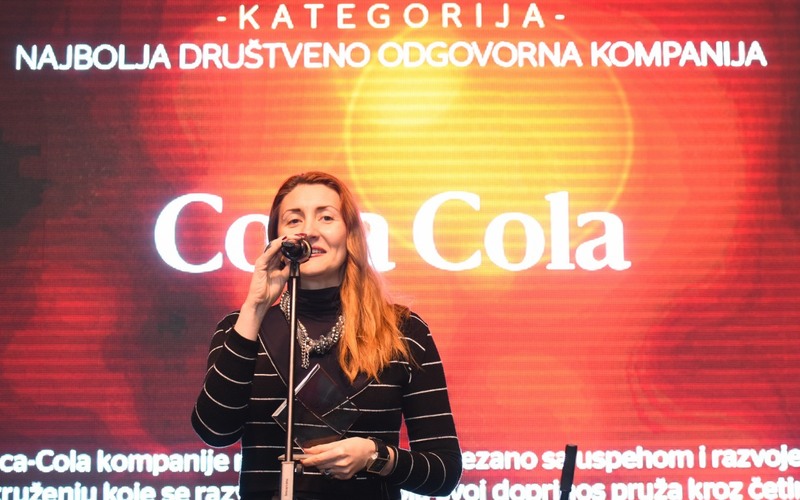 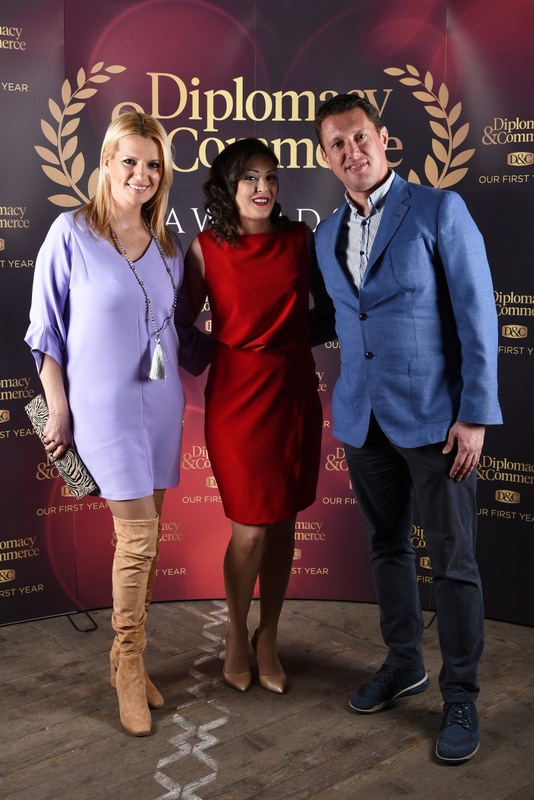 The members of the jury who decided on the winners were: President of the Serbian Chamber of Commerce Marko Čadež, a member of the Fiscal Council of Serbia Vladimir Vučković, president of “Color Press Group” Robert Čoban, Director of the monthly Ruža Ristanović. 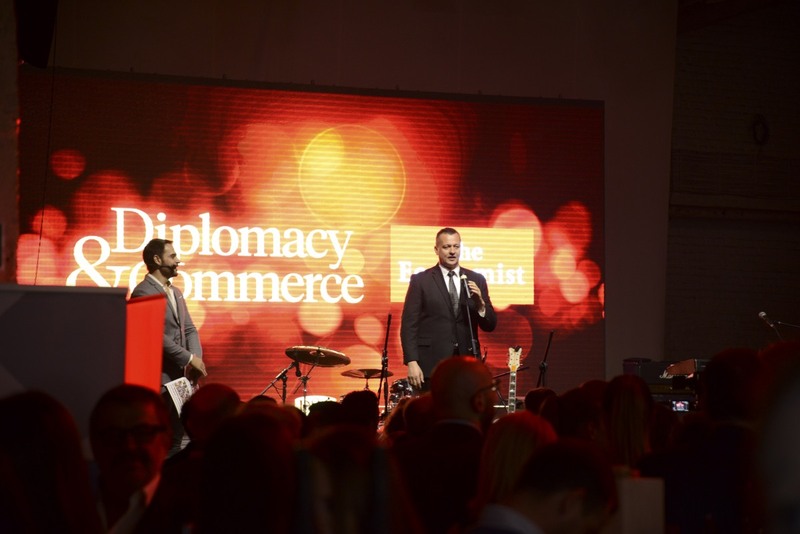 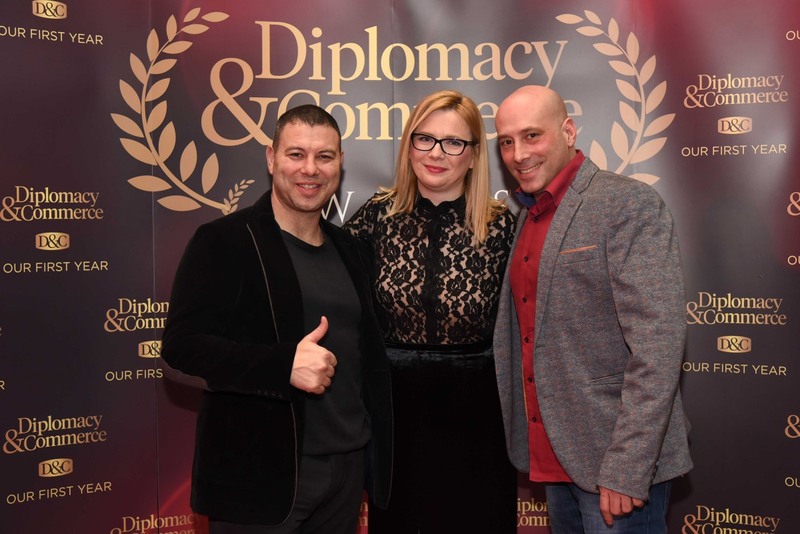 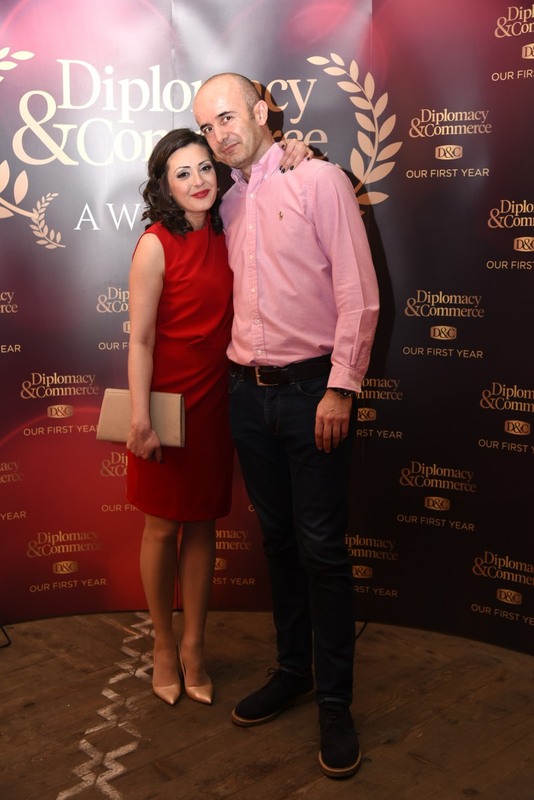 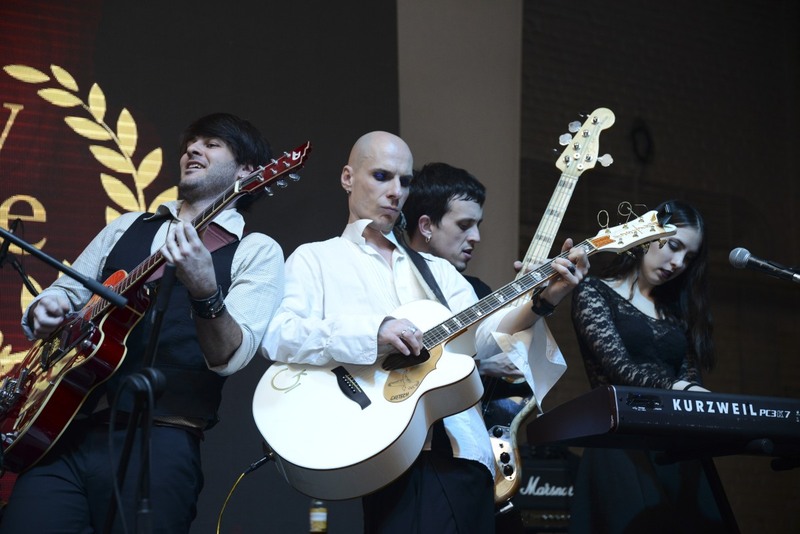 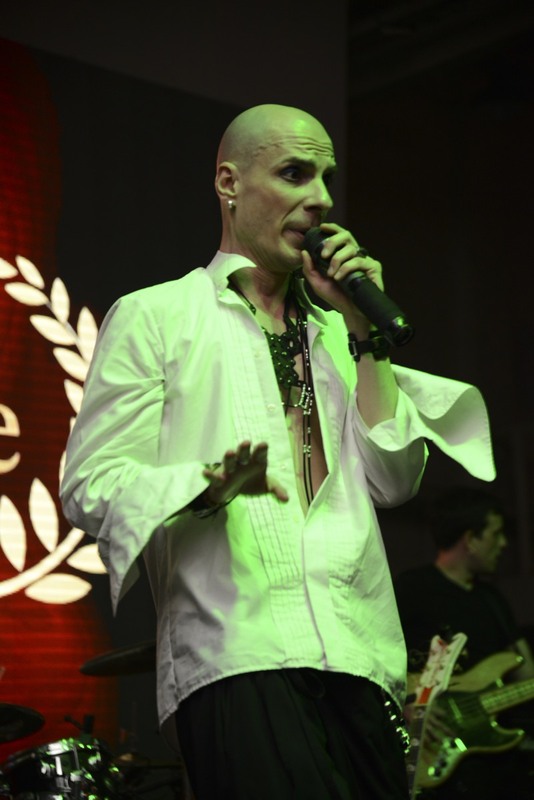 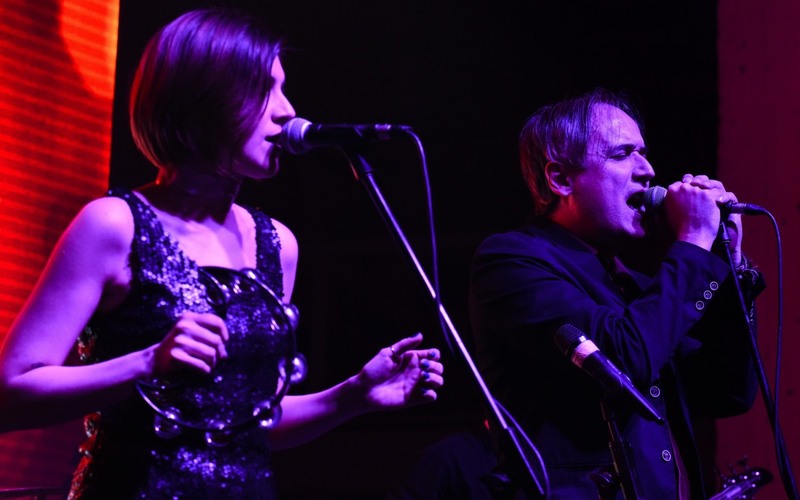 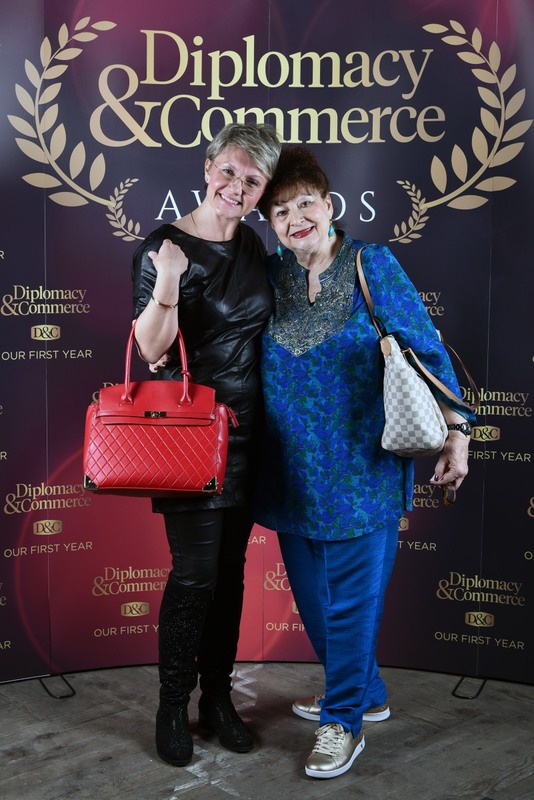 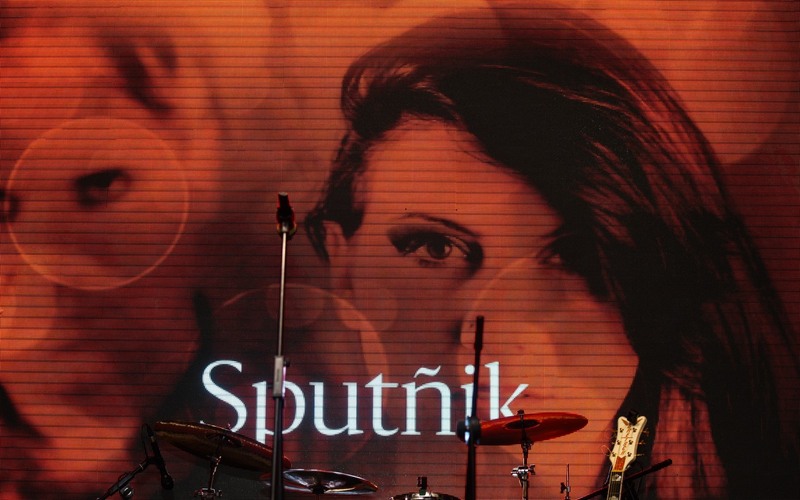 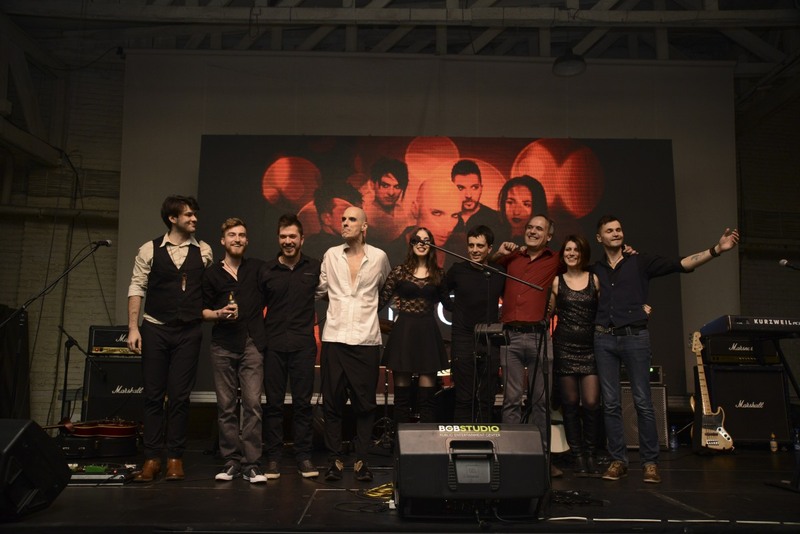 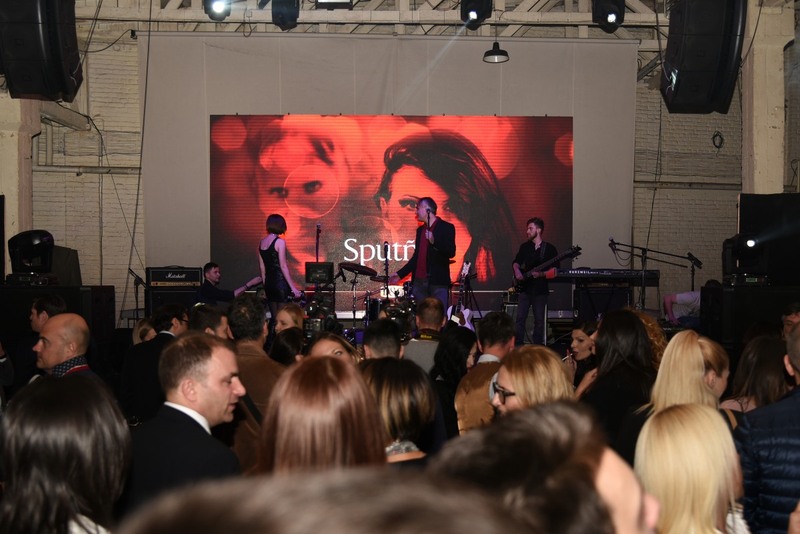 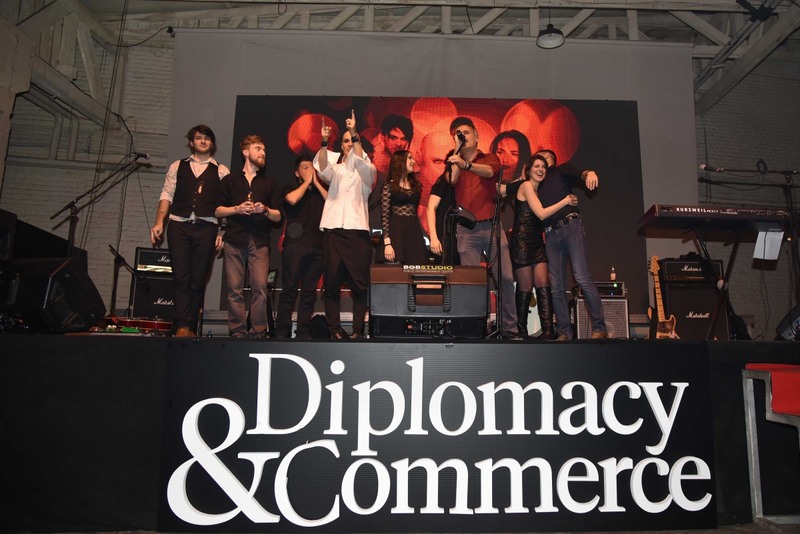 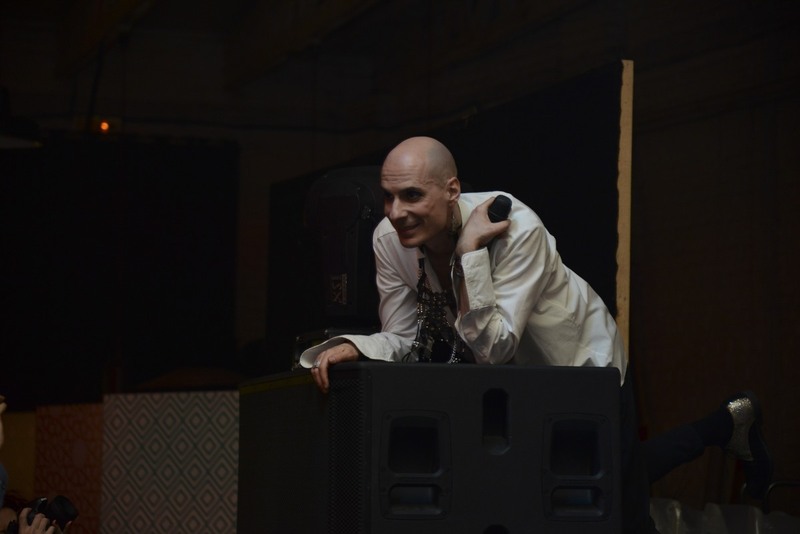 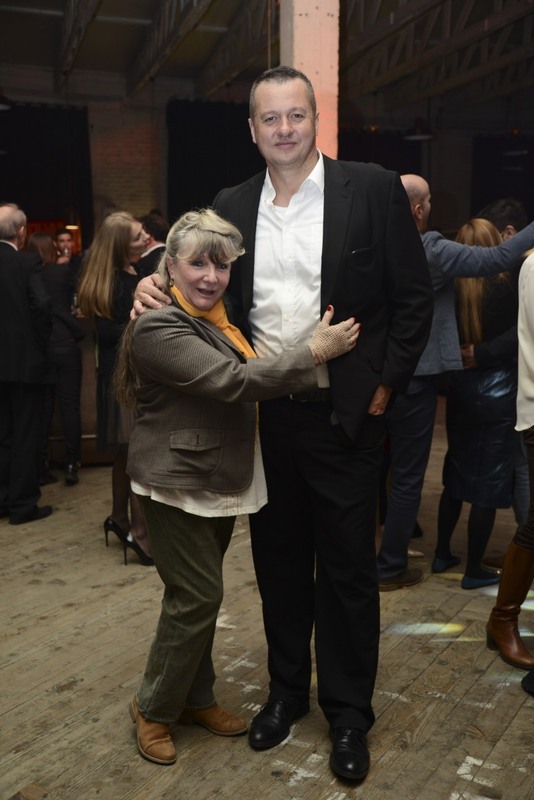 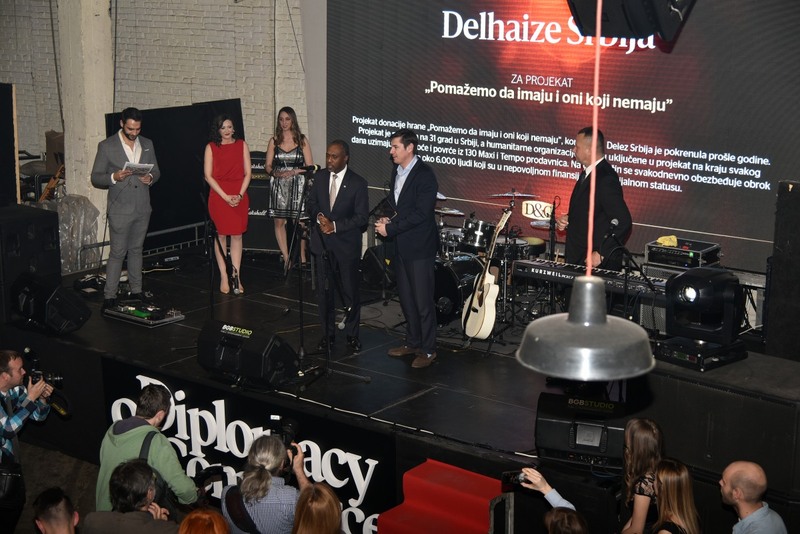 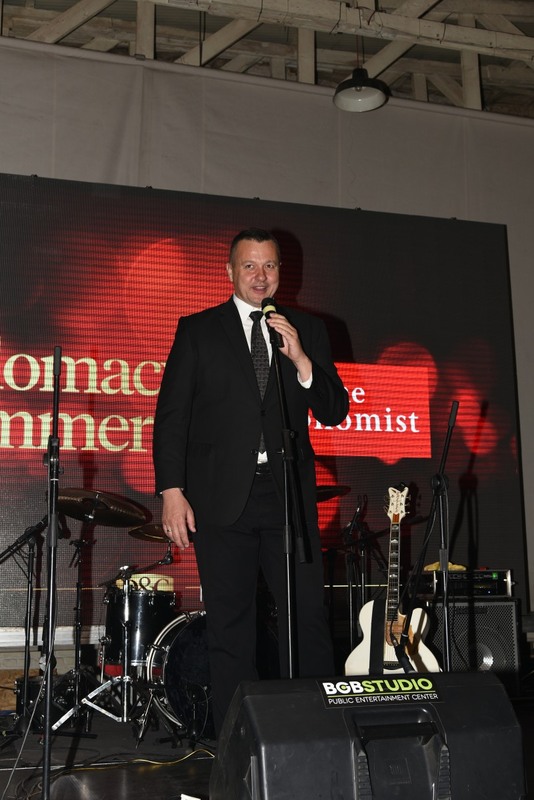 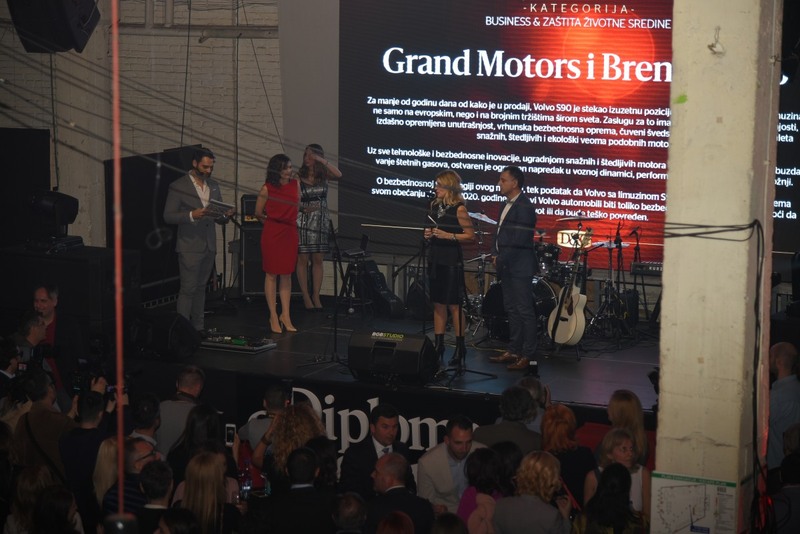 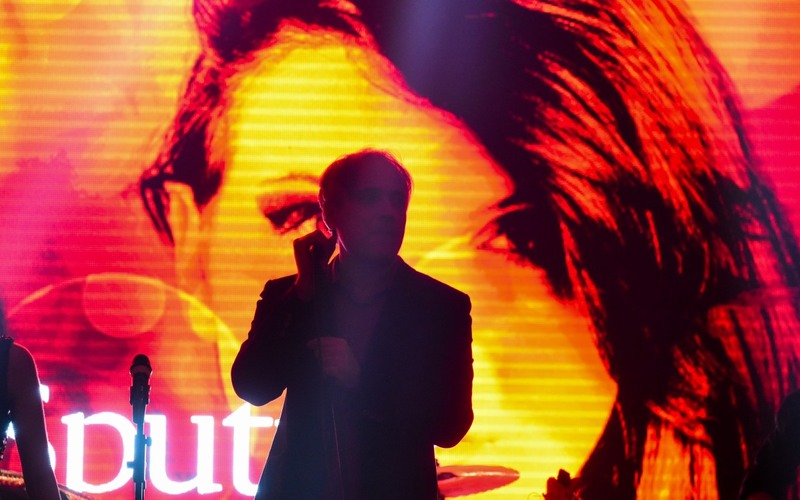 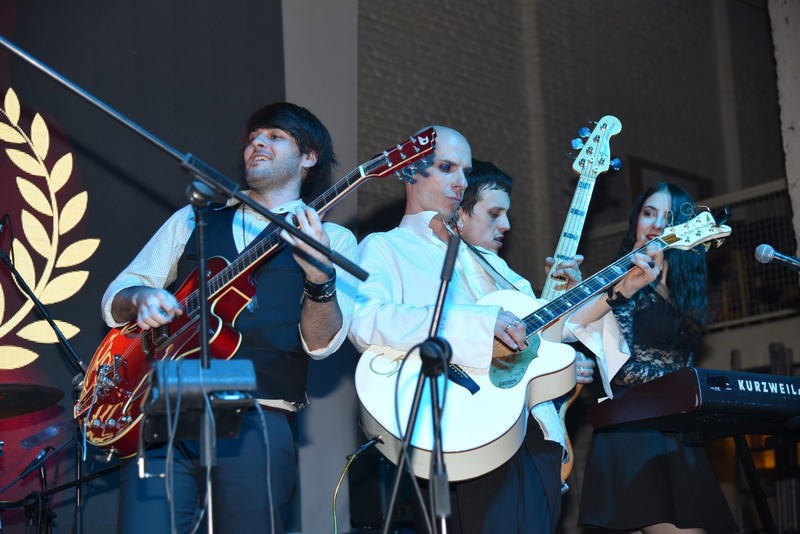 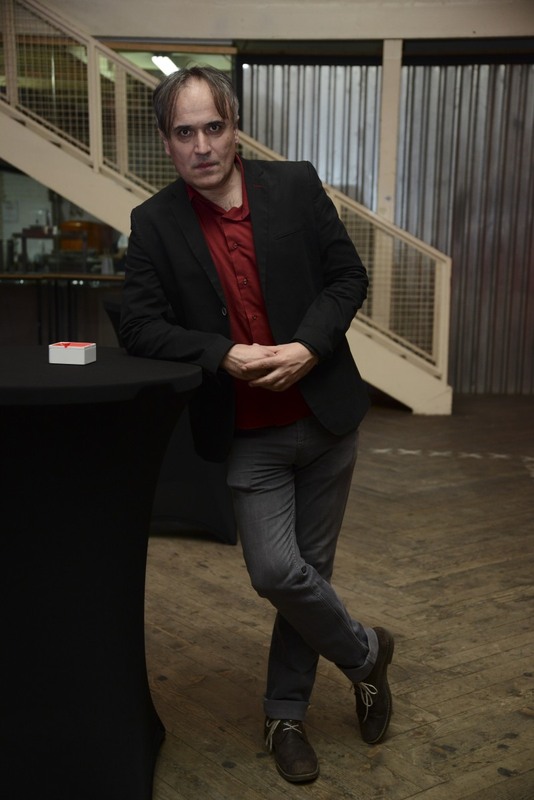 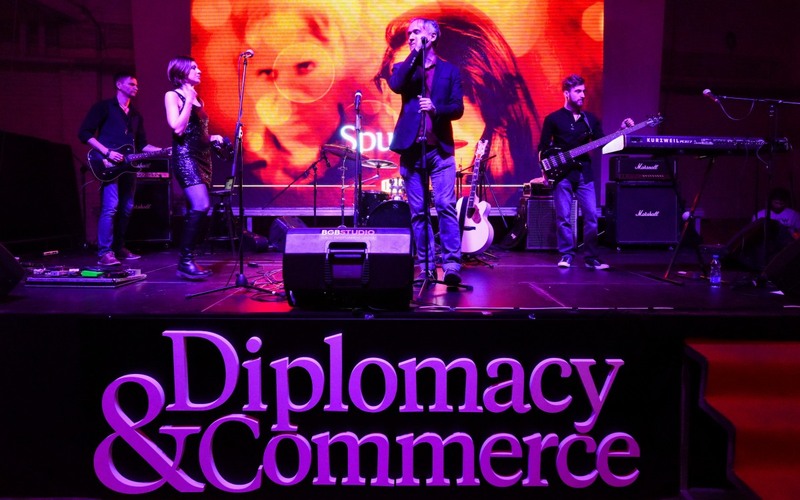 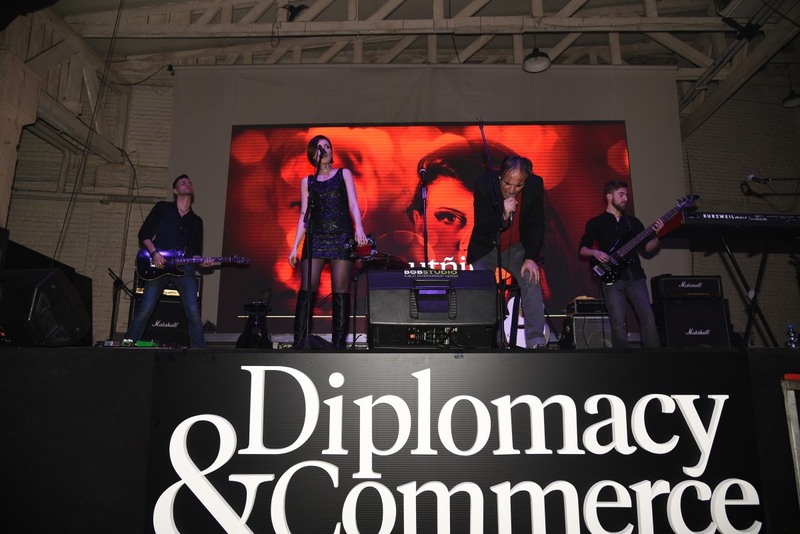 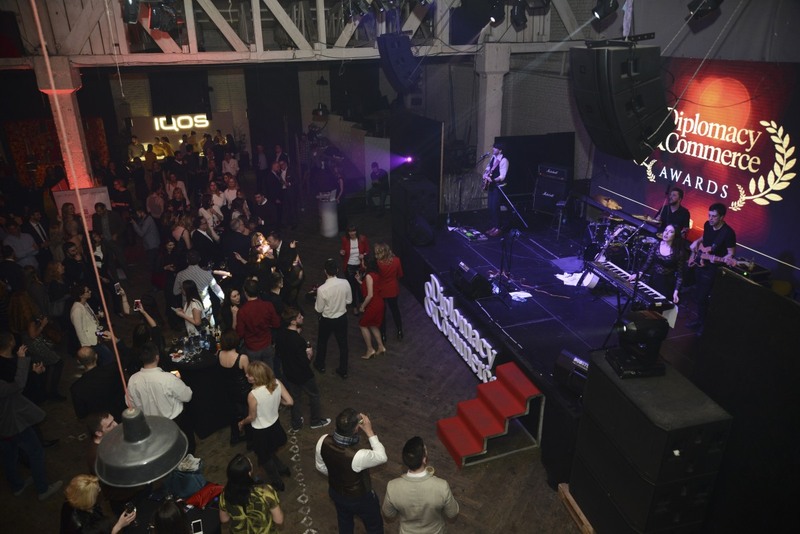 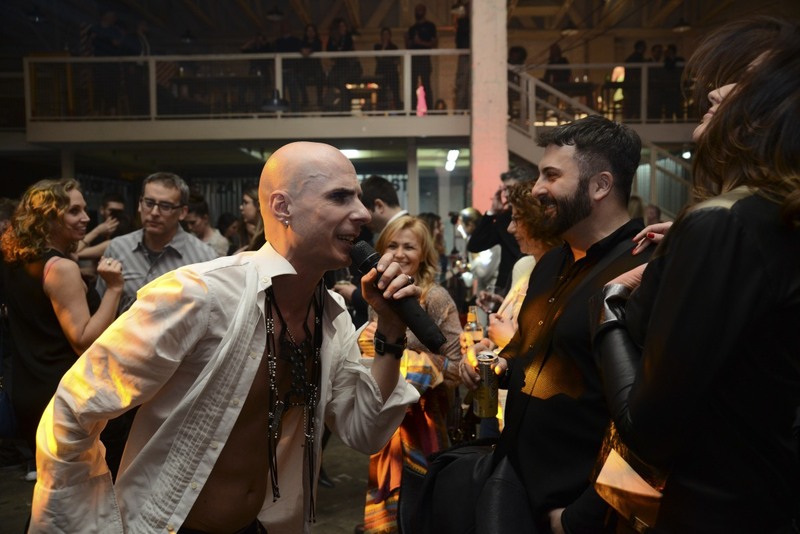 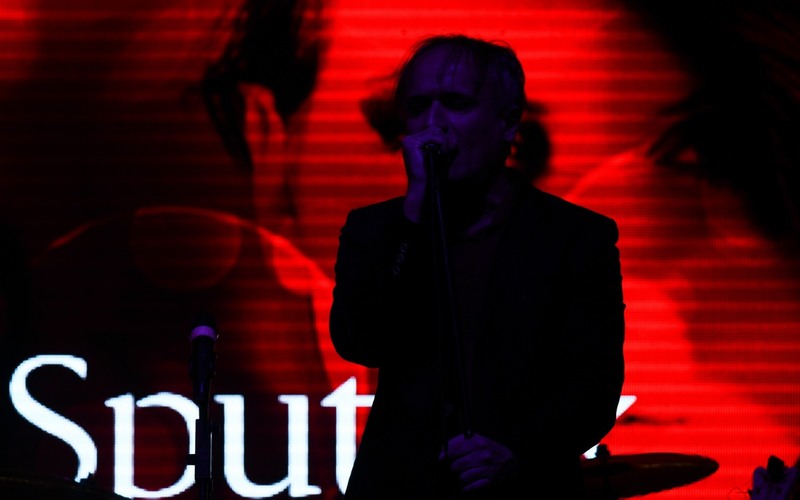 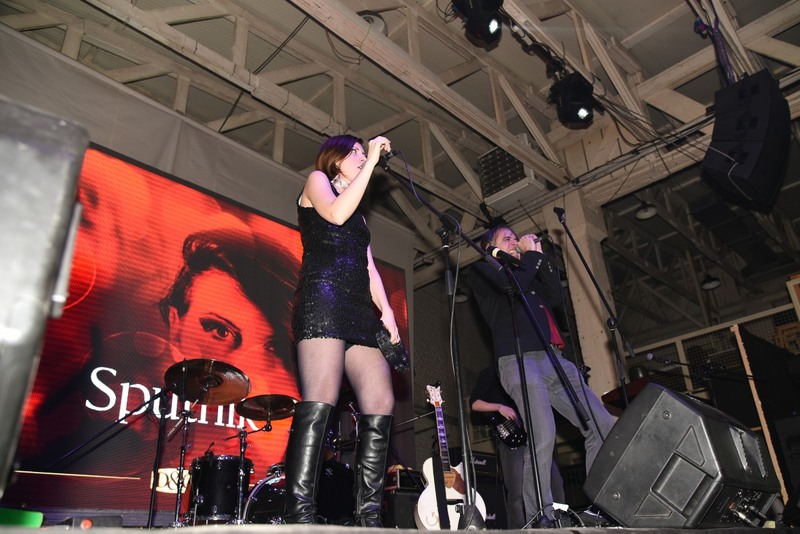 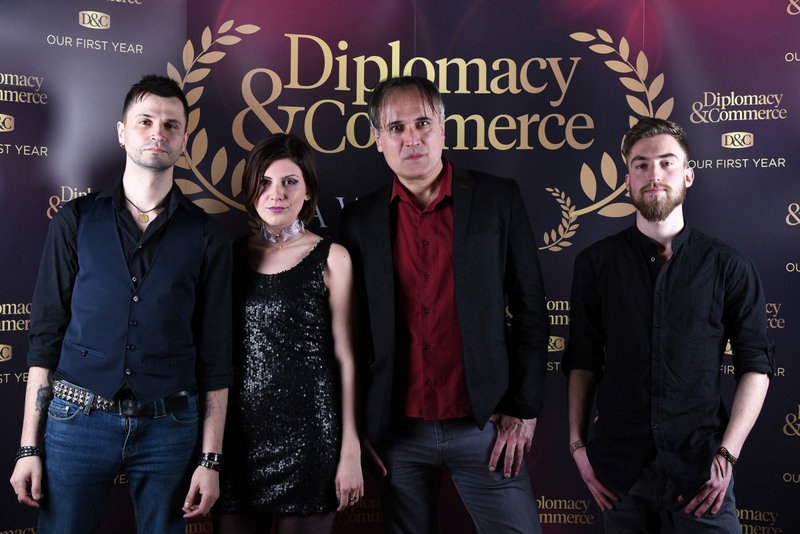 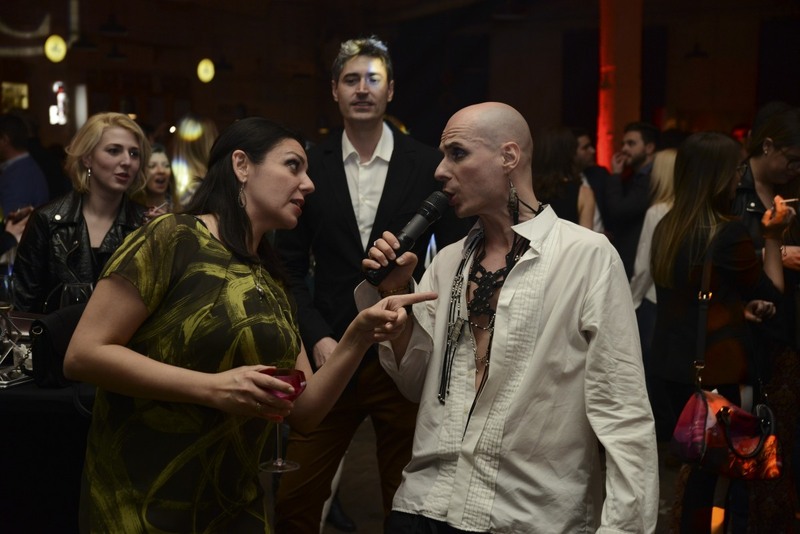 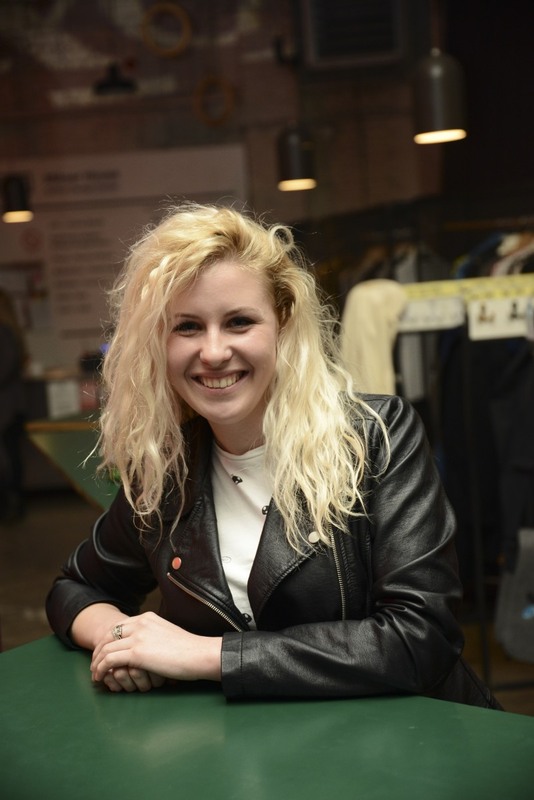 Guests were entertained by the bands The Gift and Sputñik, whose frontman is the editor-in-chief editor of “Diplomacy & Commerce” Žikica Milosević. 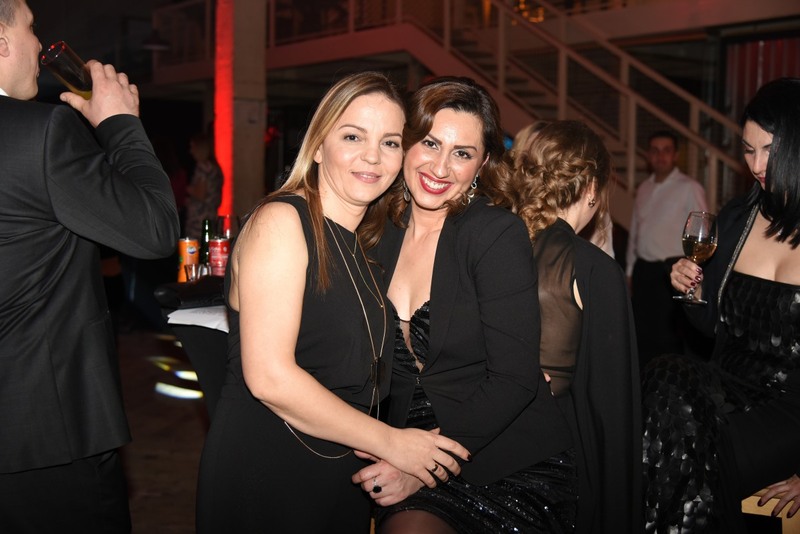 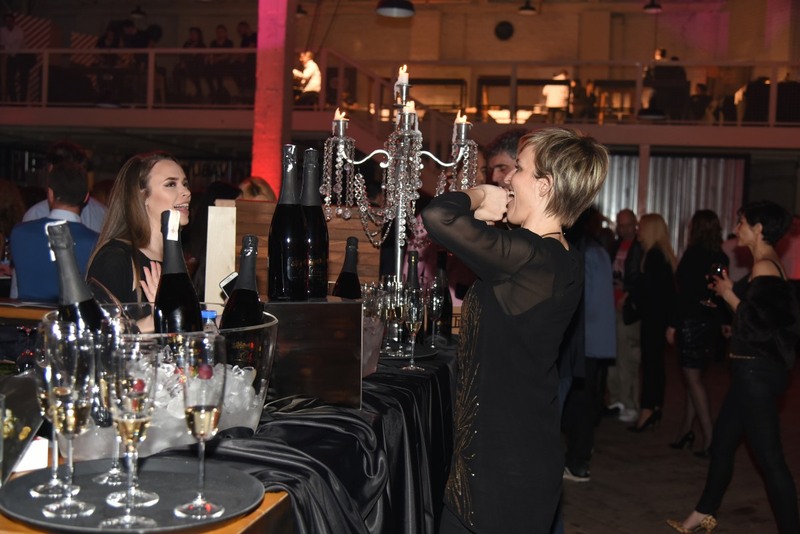 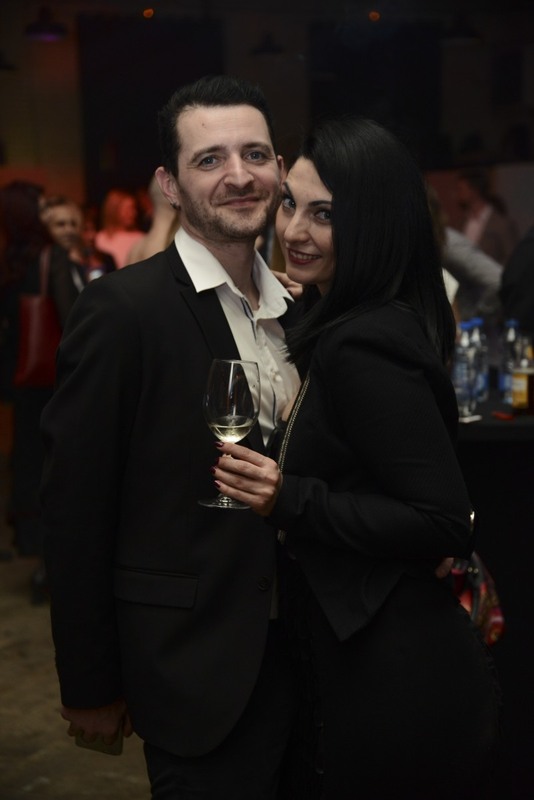 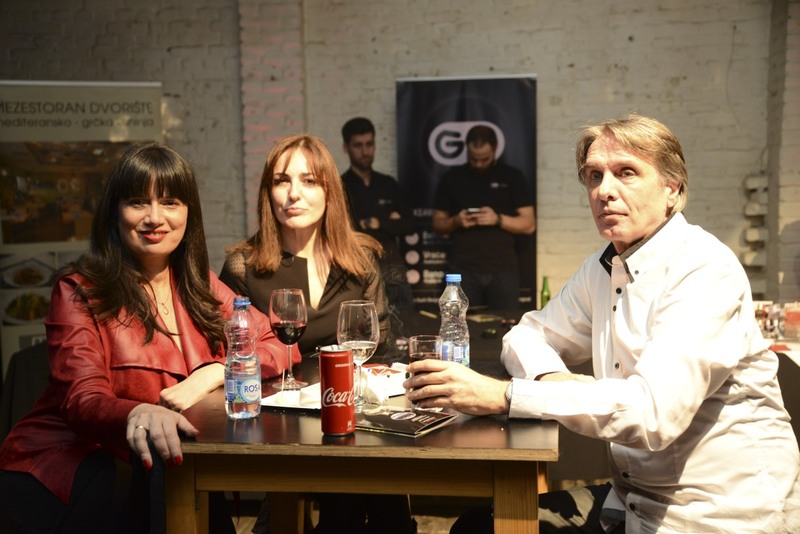 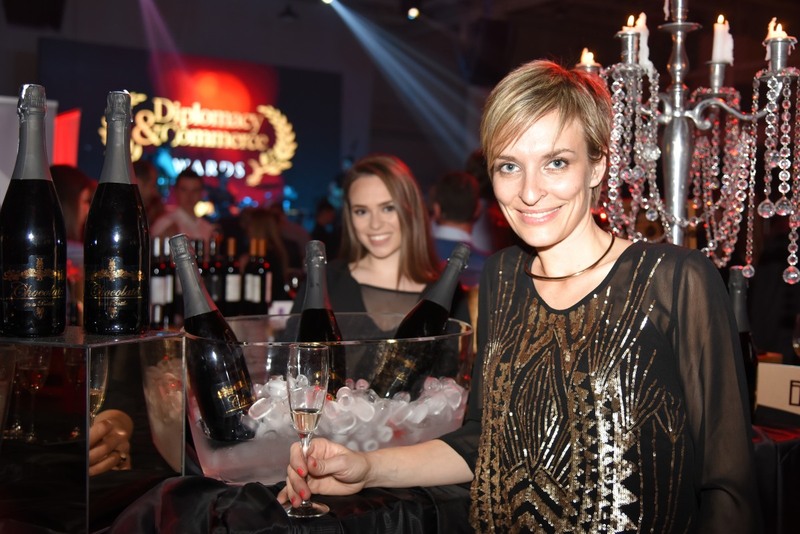 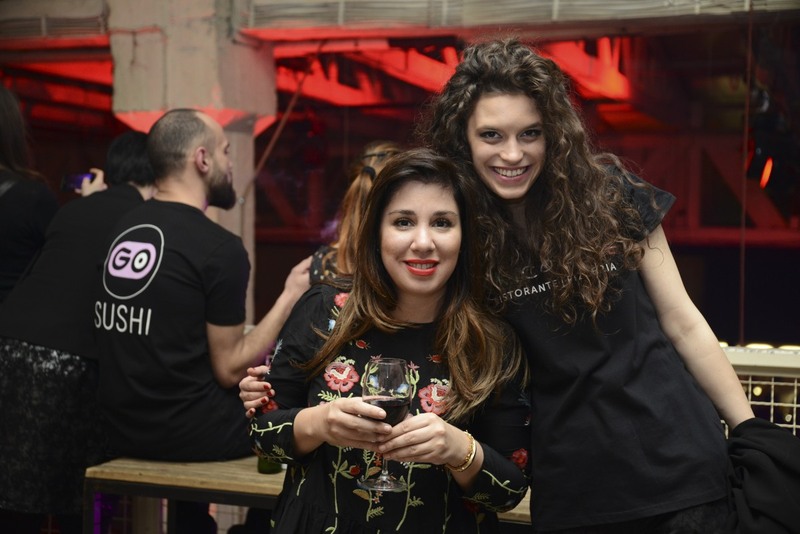 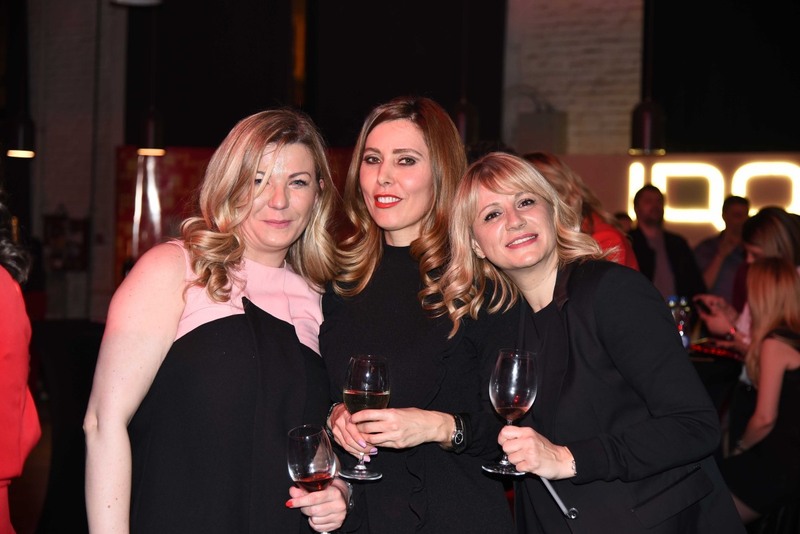 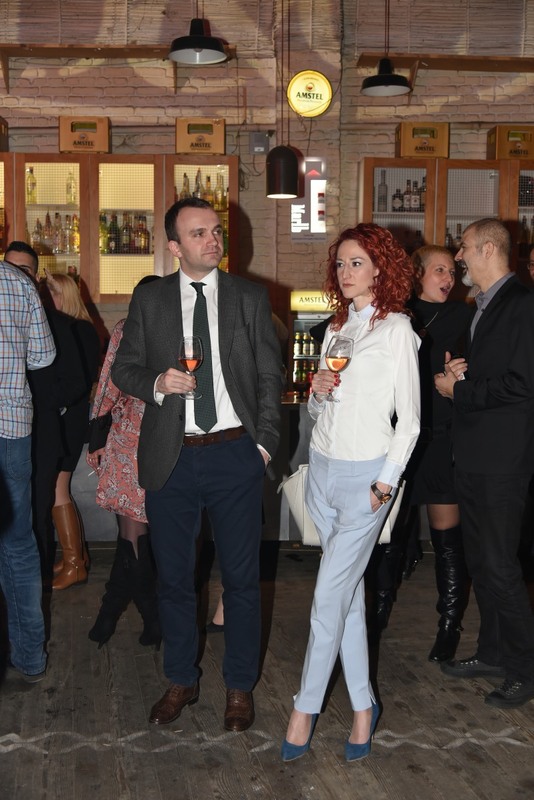 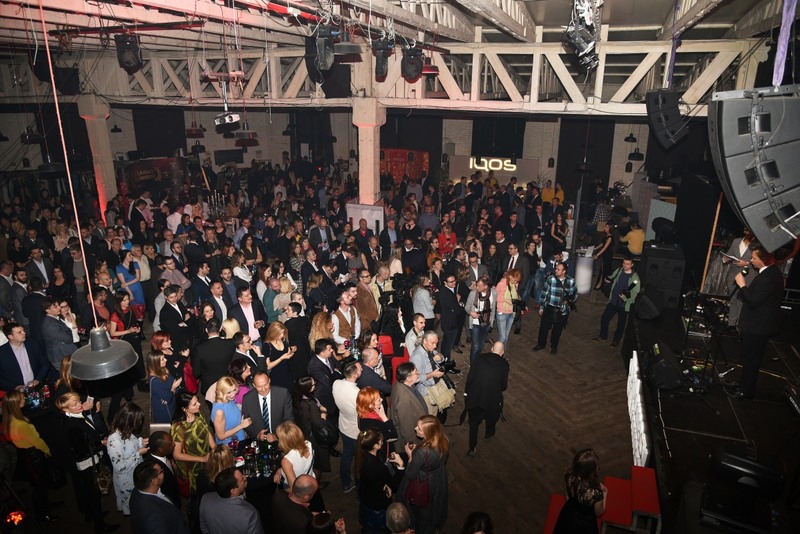 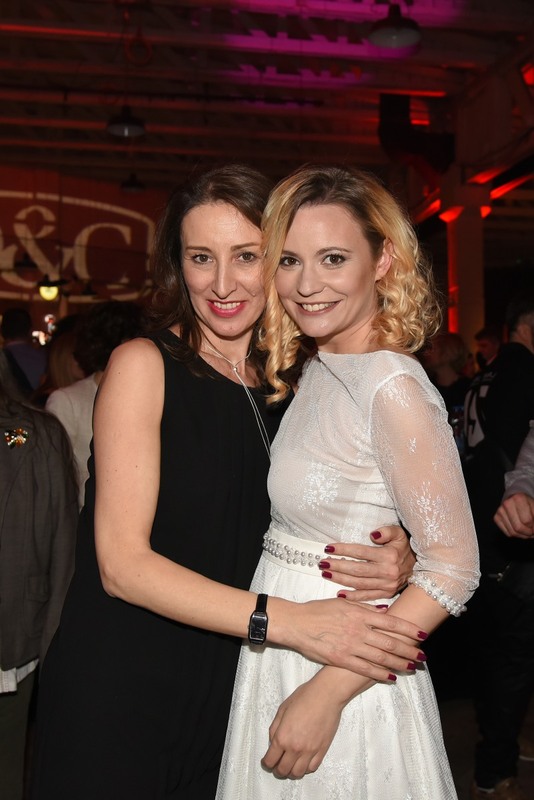 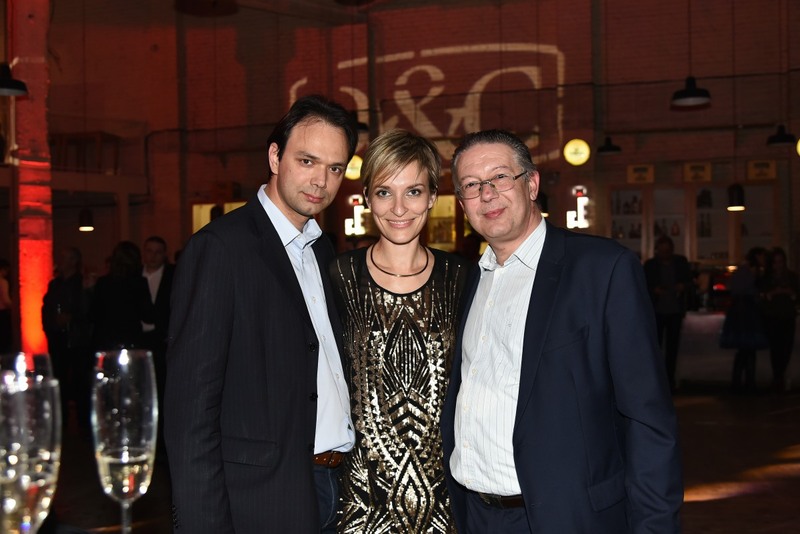 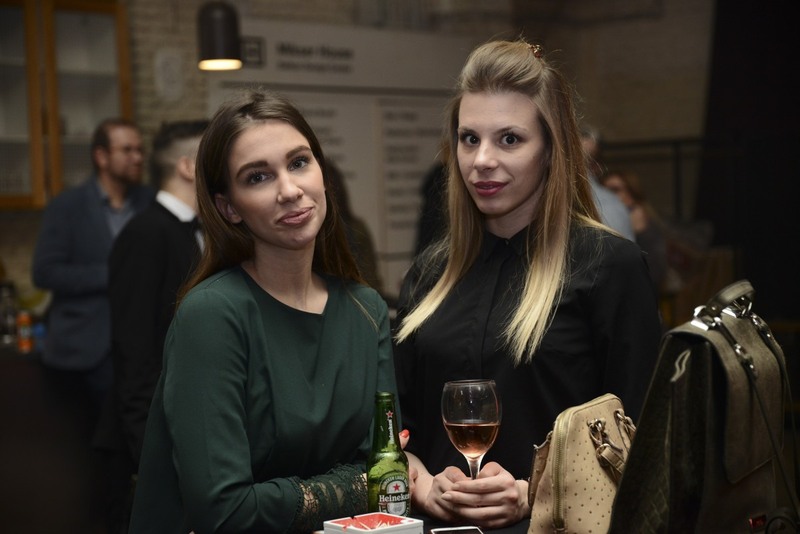 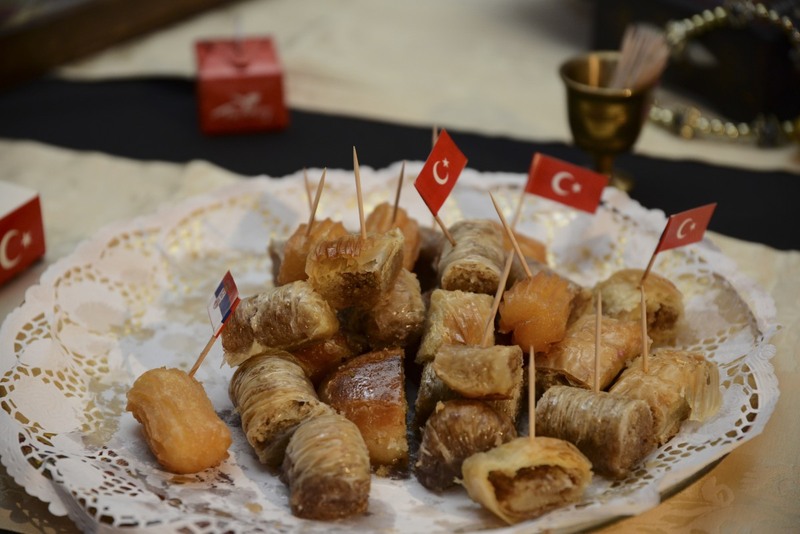 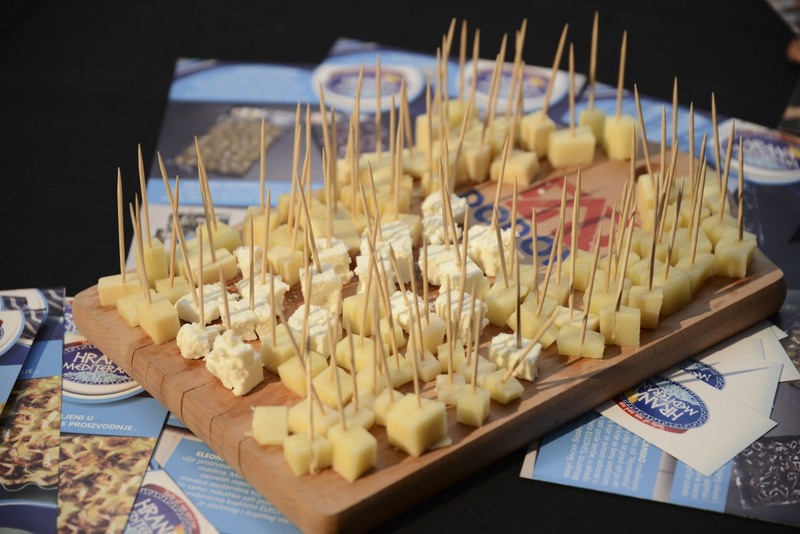 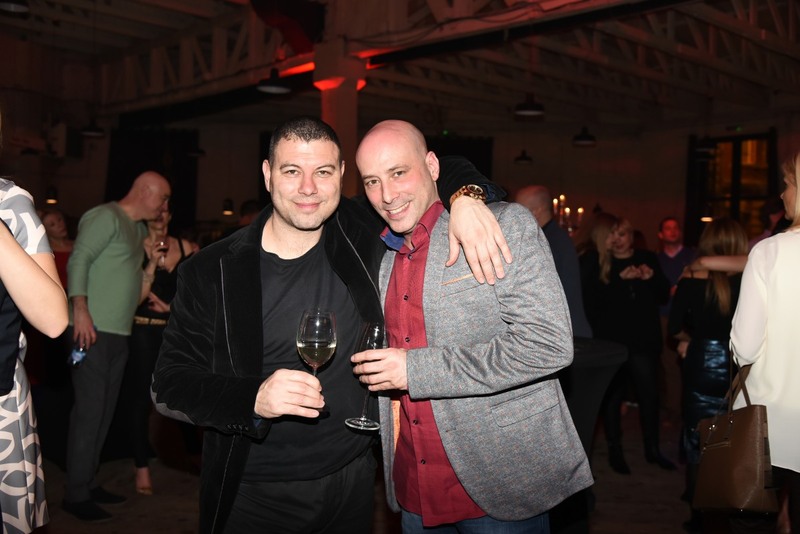 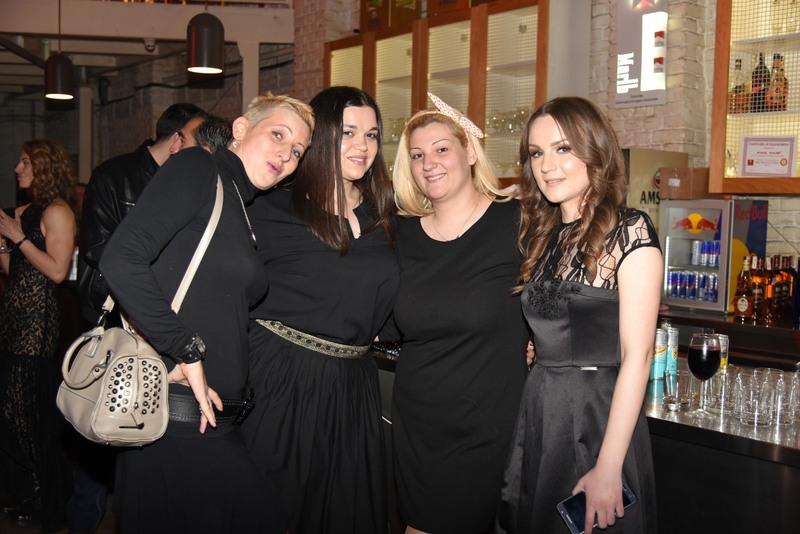 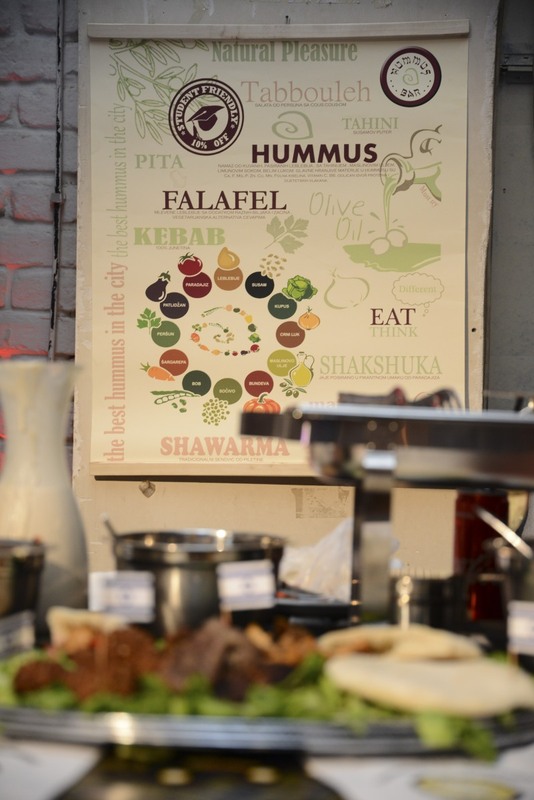 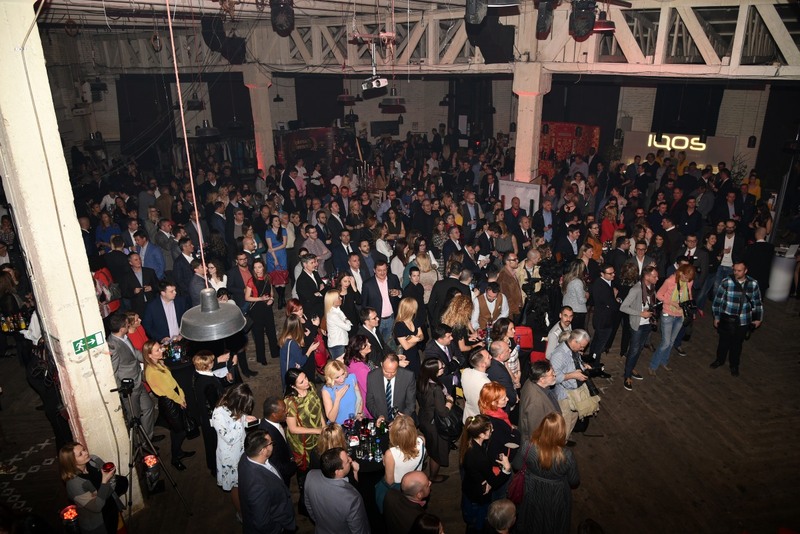 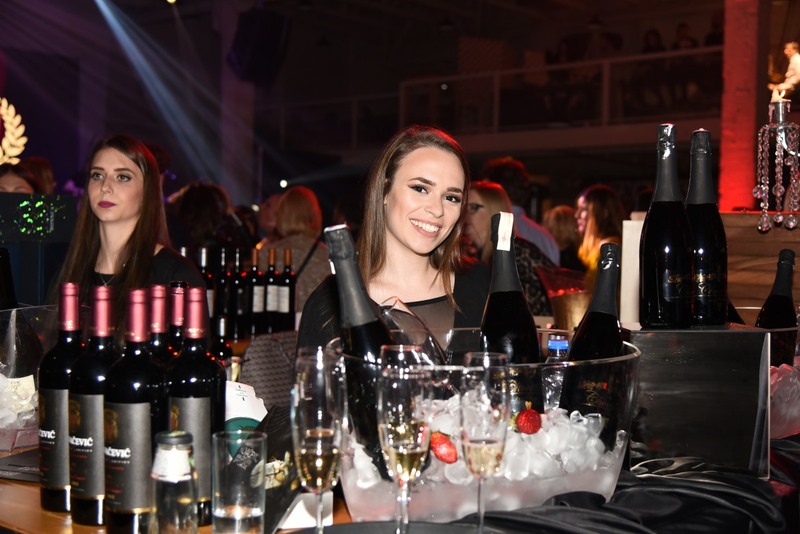 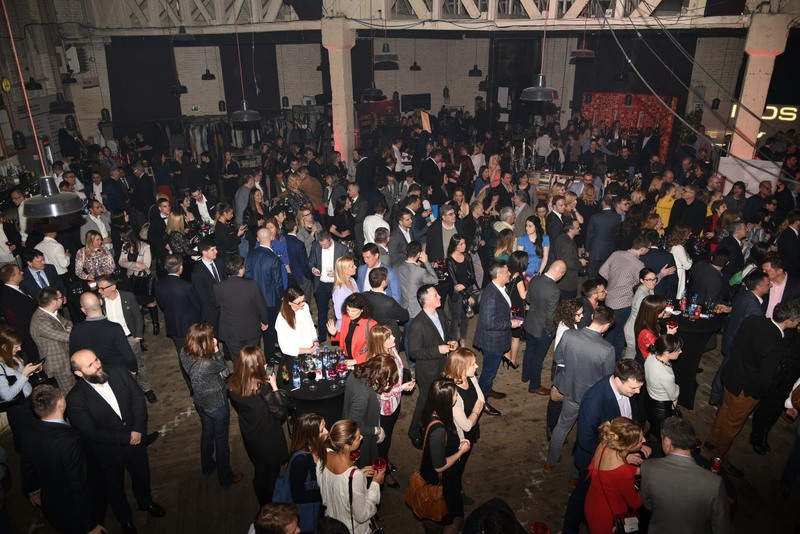 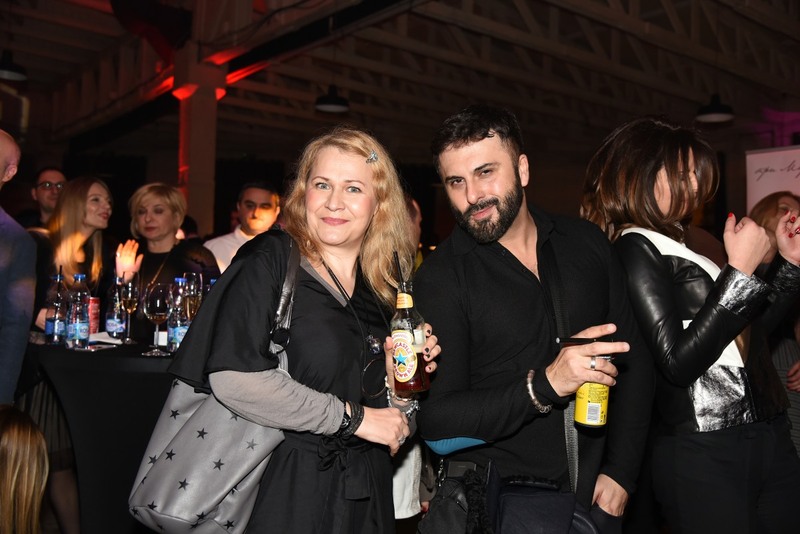 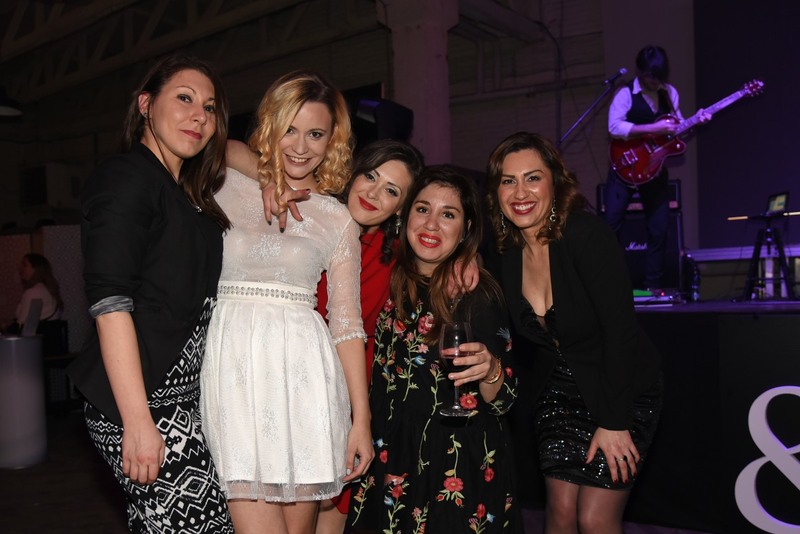 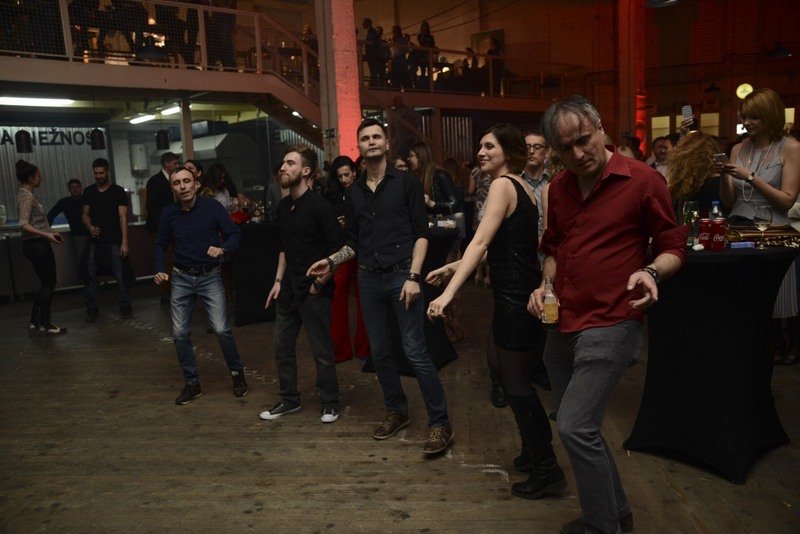 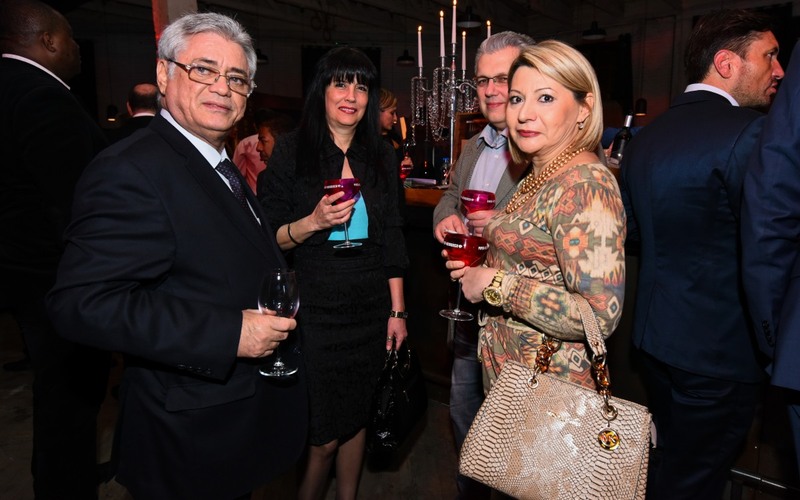 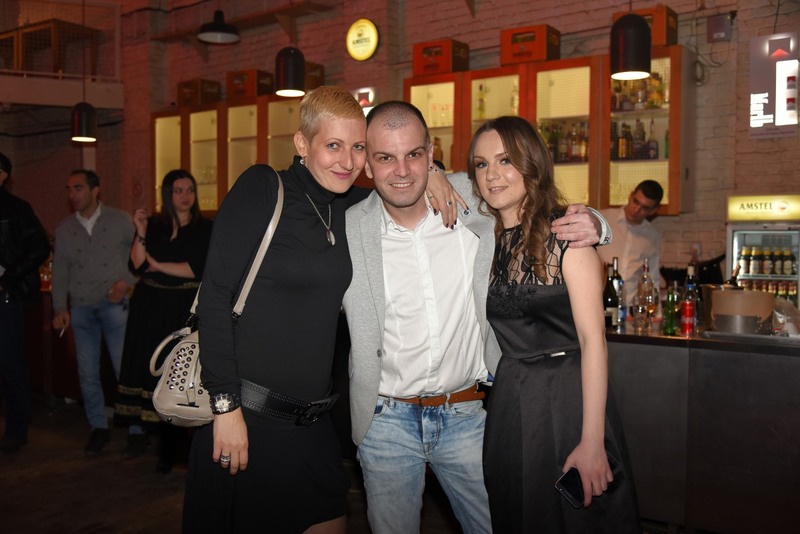 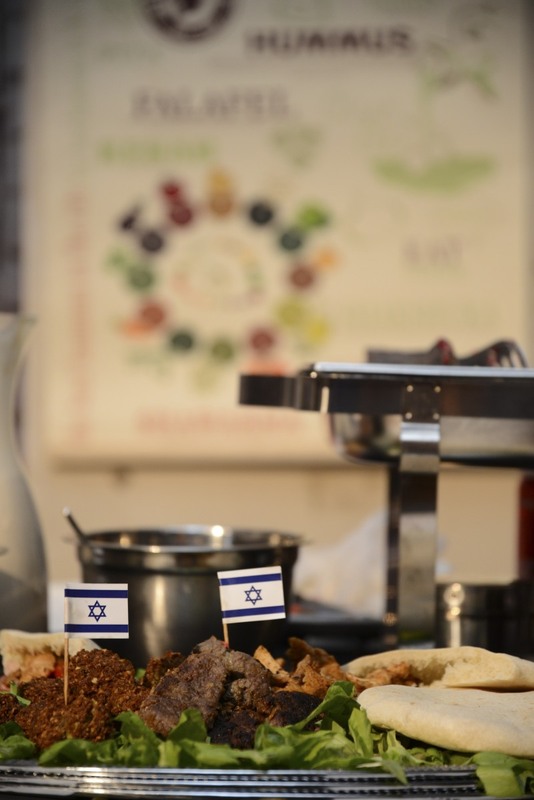 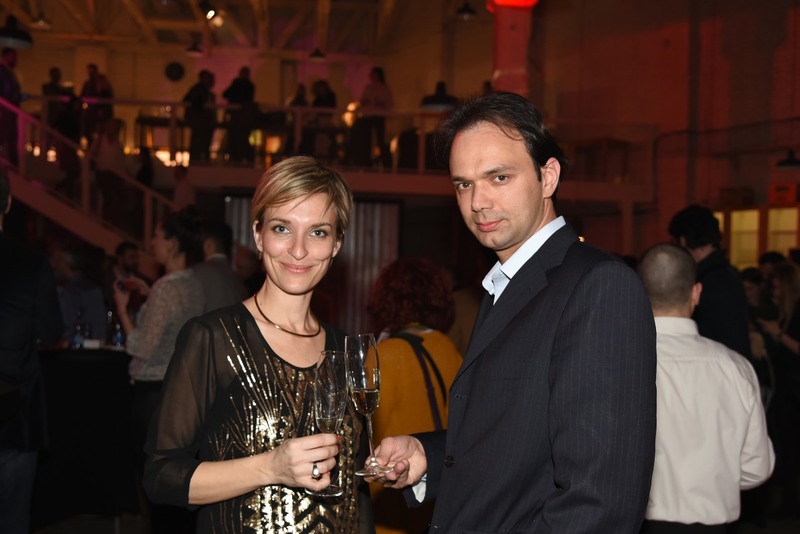 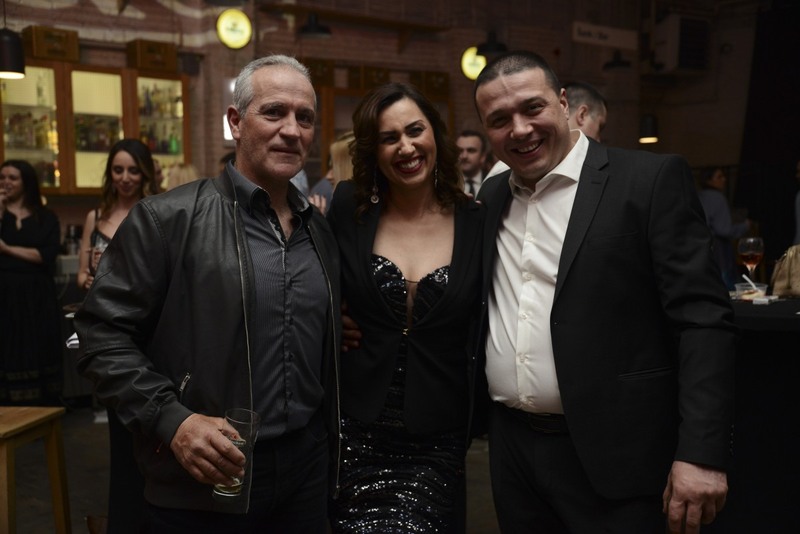 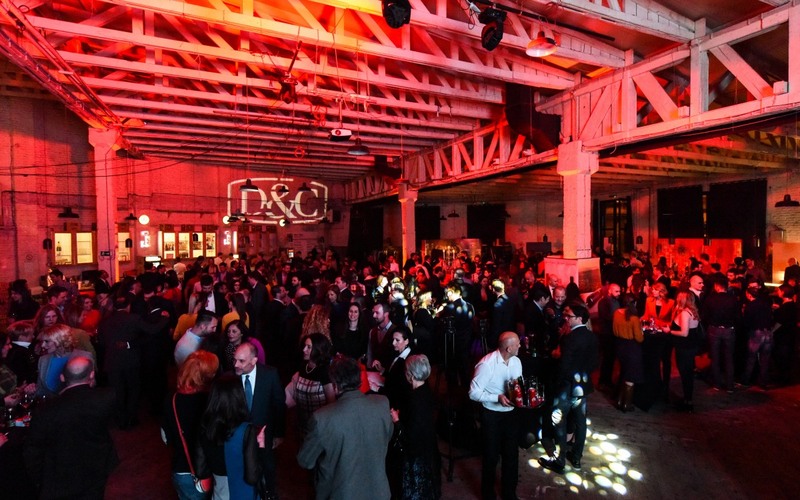 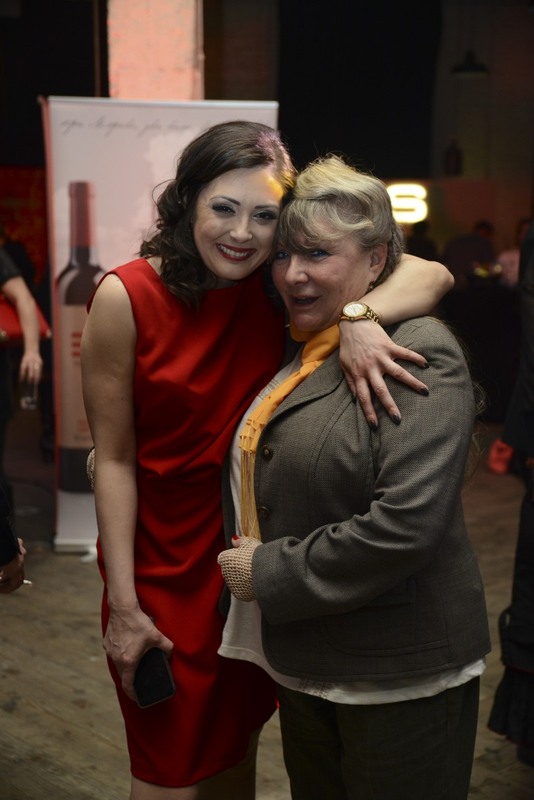 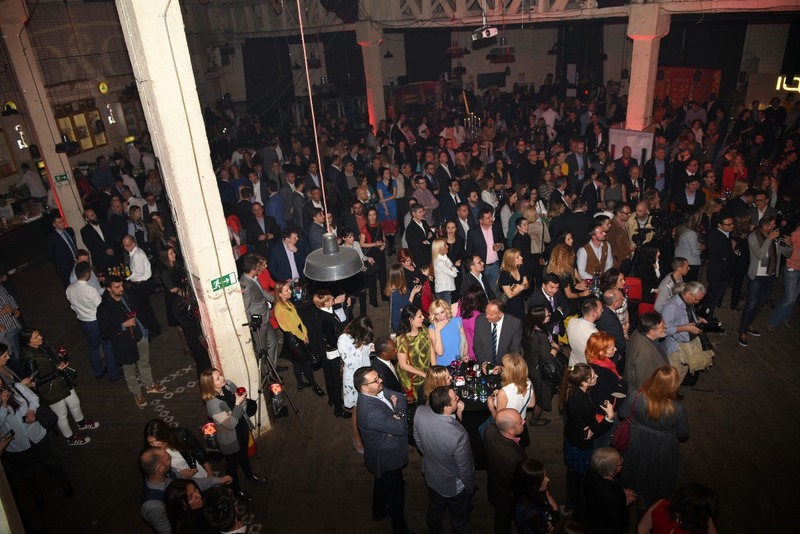 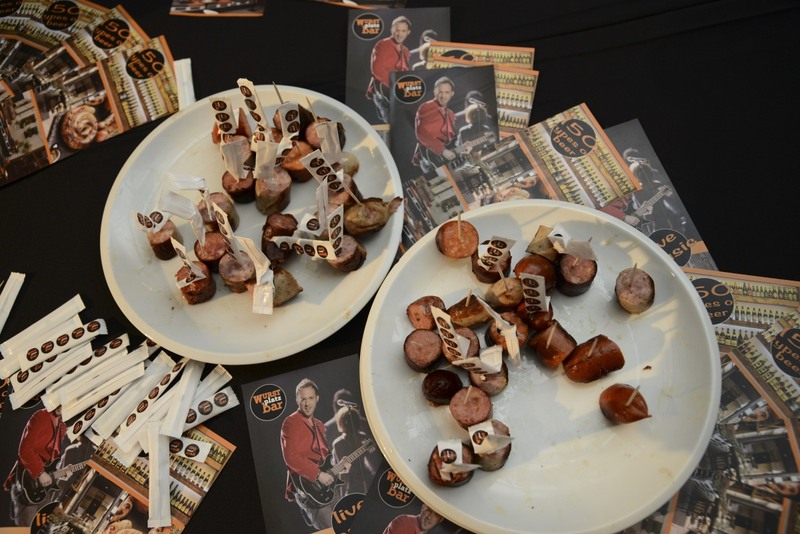 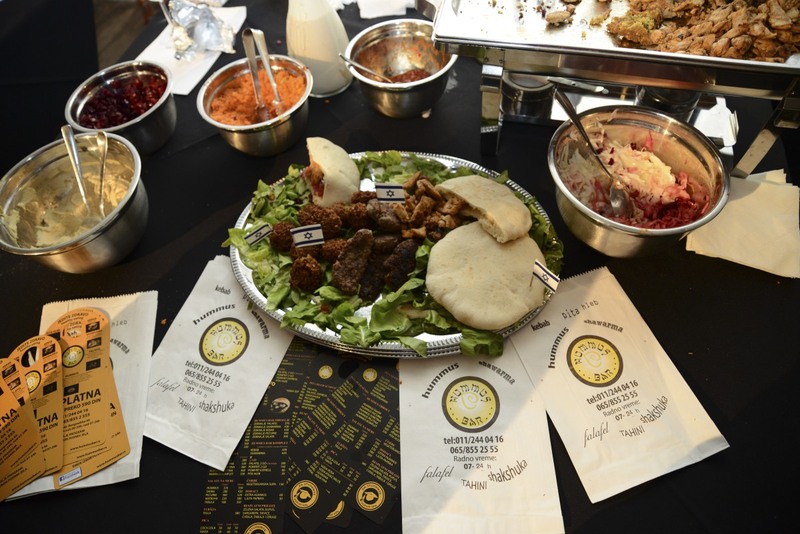 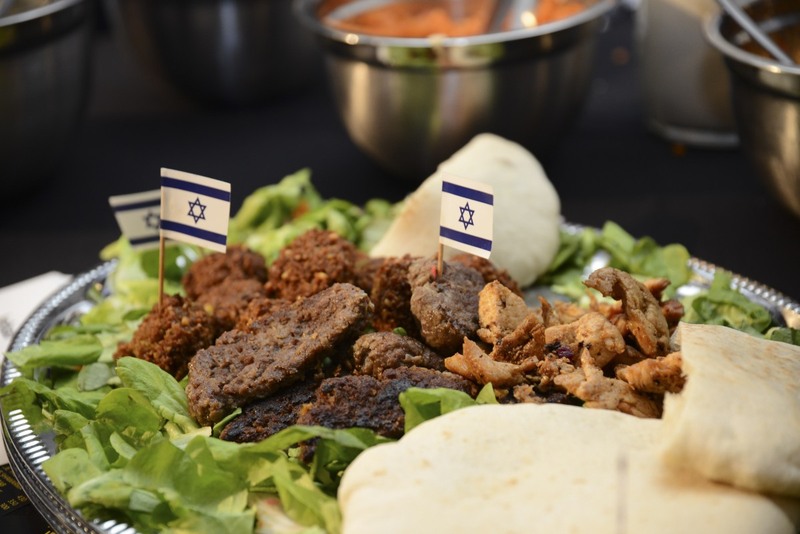 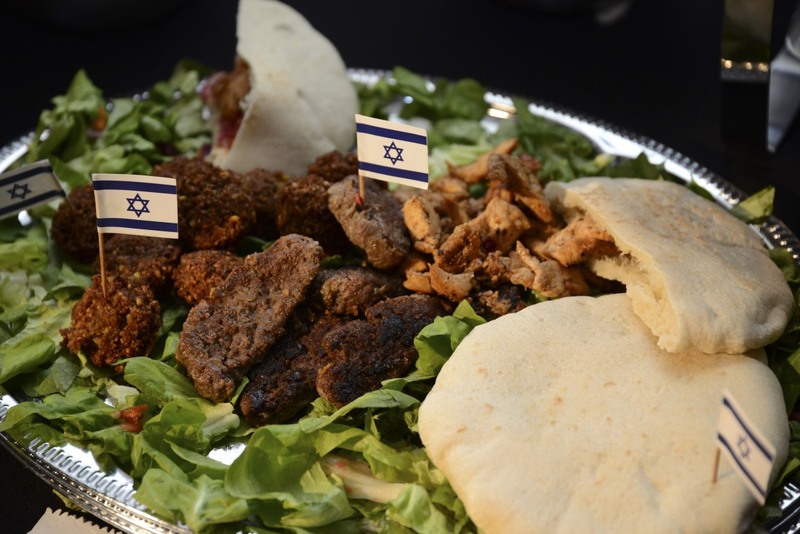 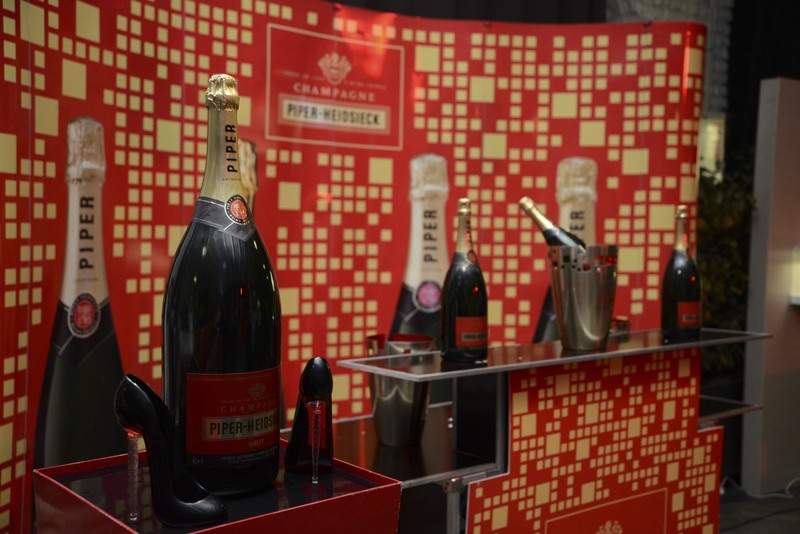 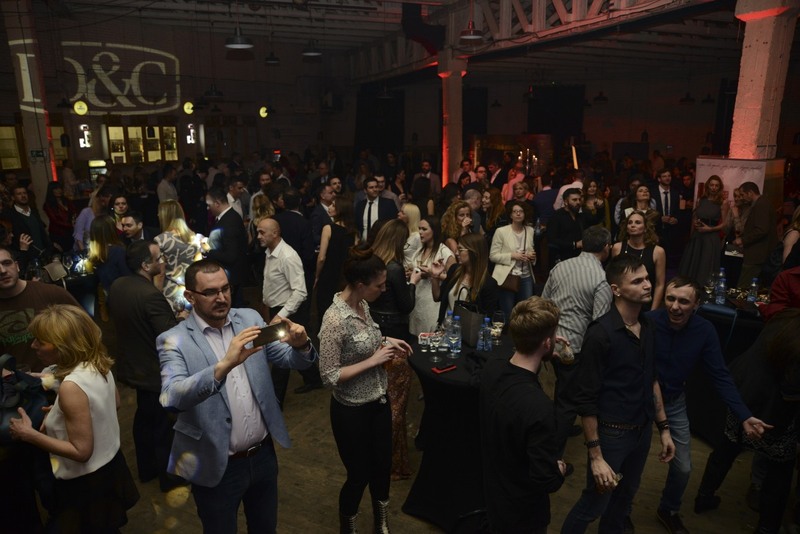 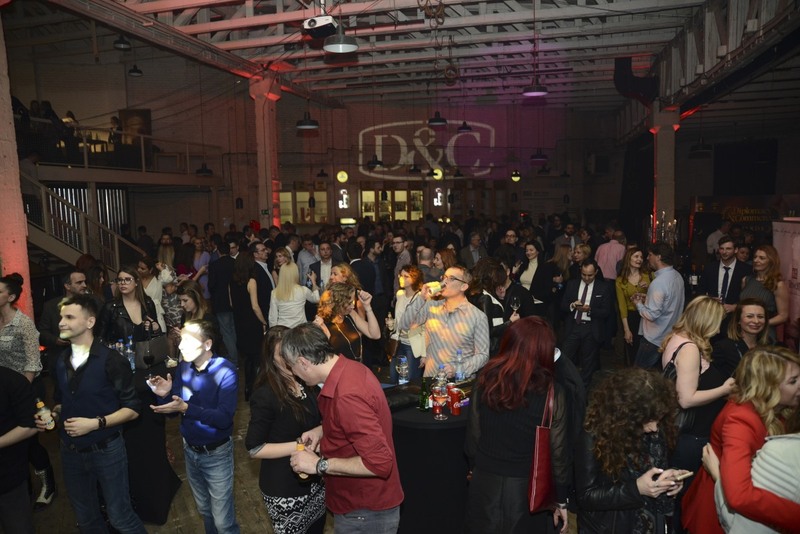 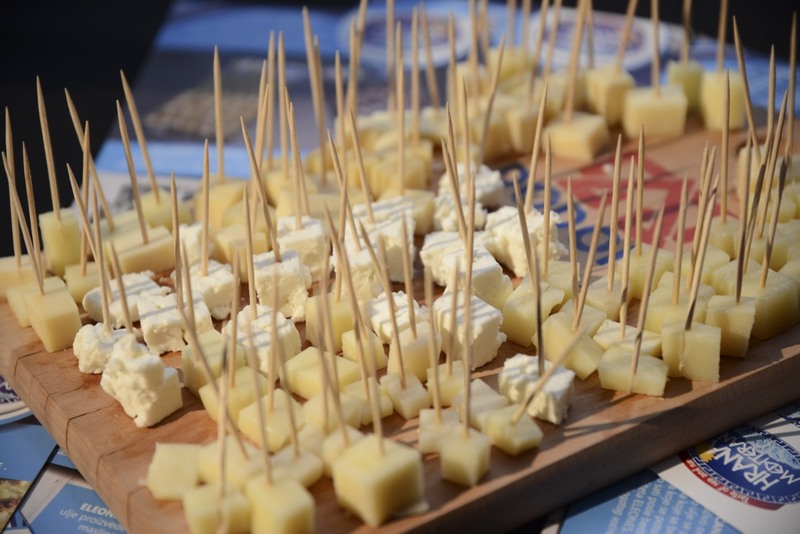 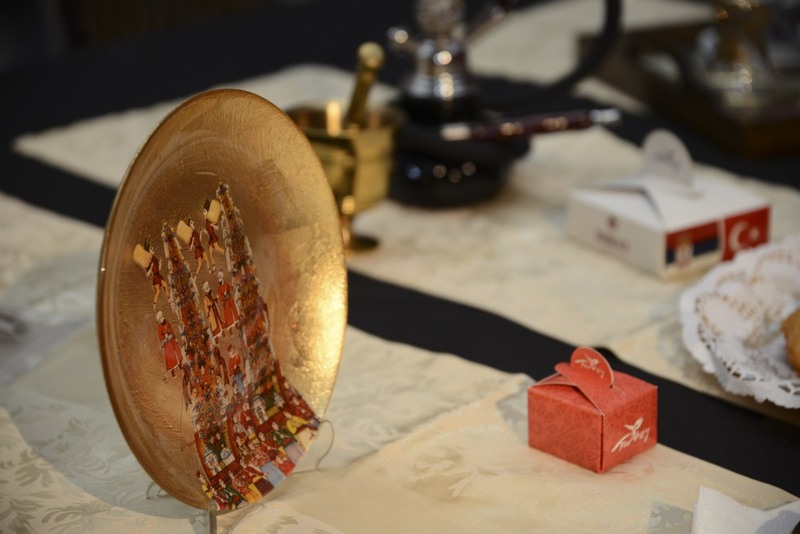 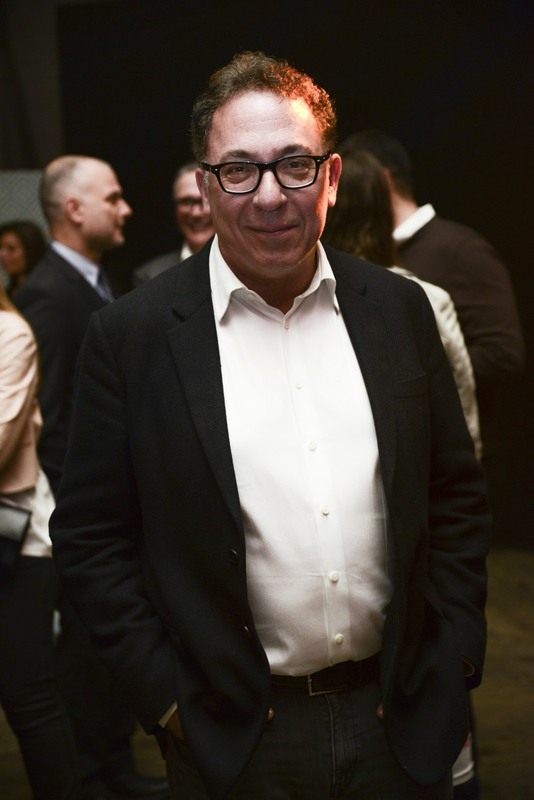 Тhe guests were also able to enjoy in the food representing ten international cuisines, prepared by the renowned Belgrade restaurants, as well as in the premium Serbian wines, homemade rakija. 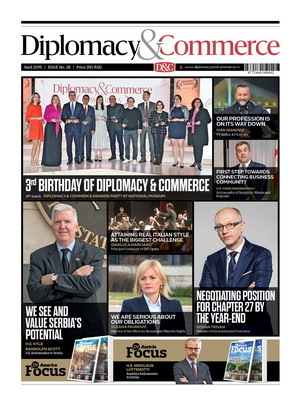 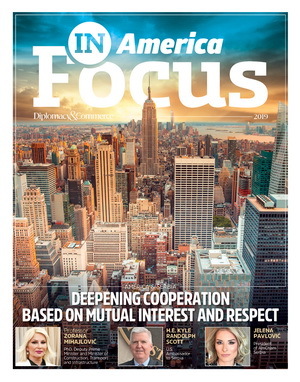 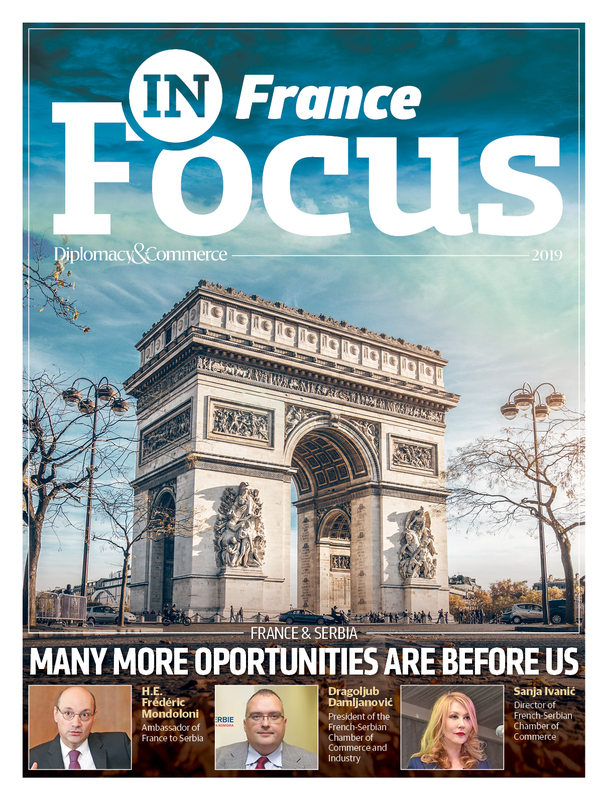 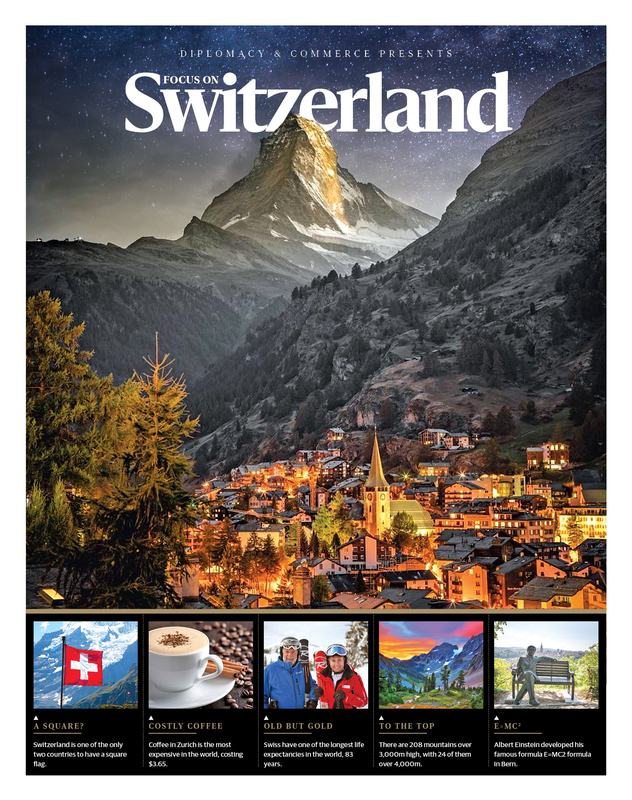 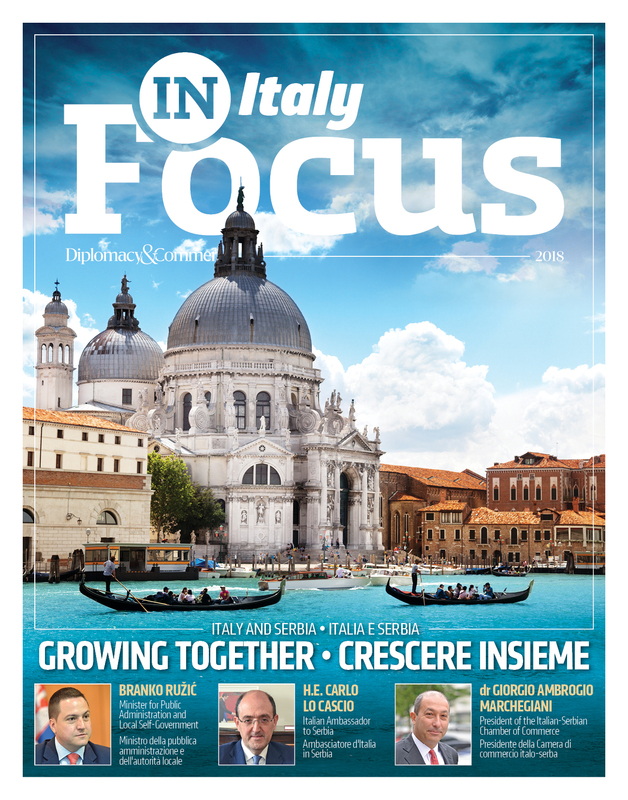 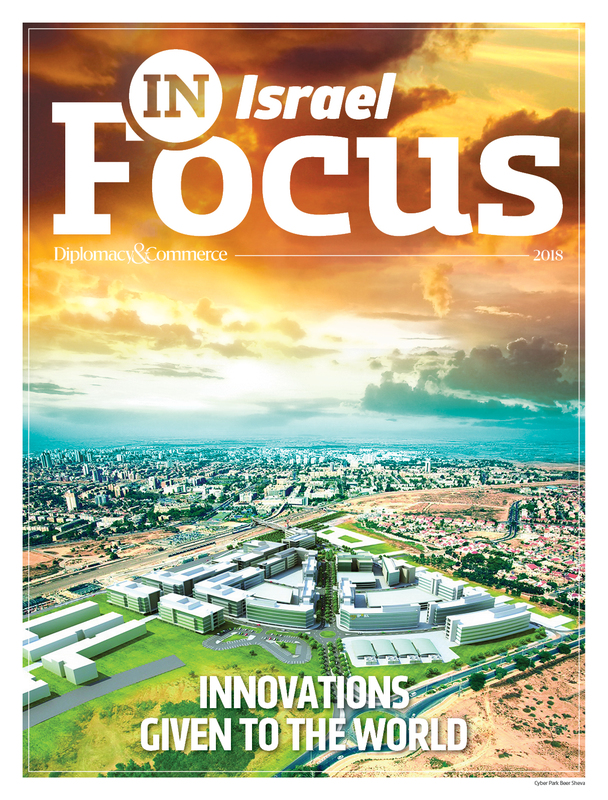 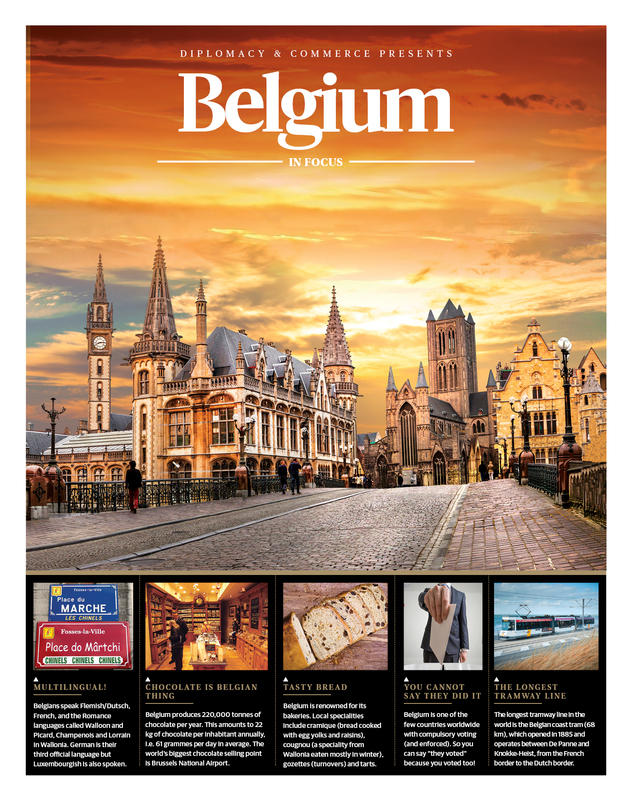 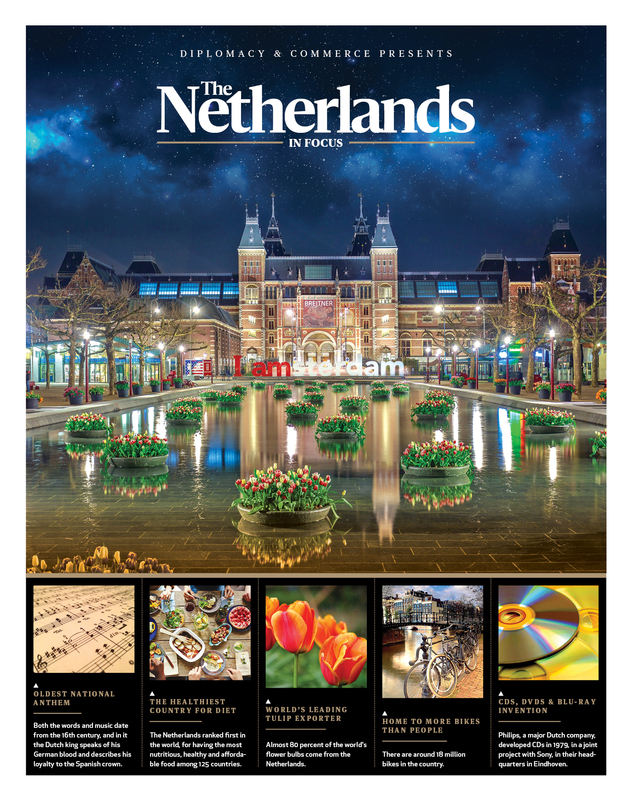 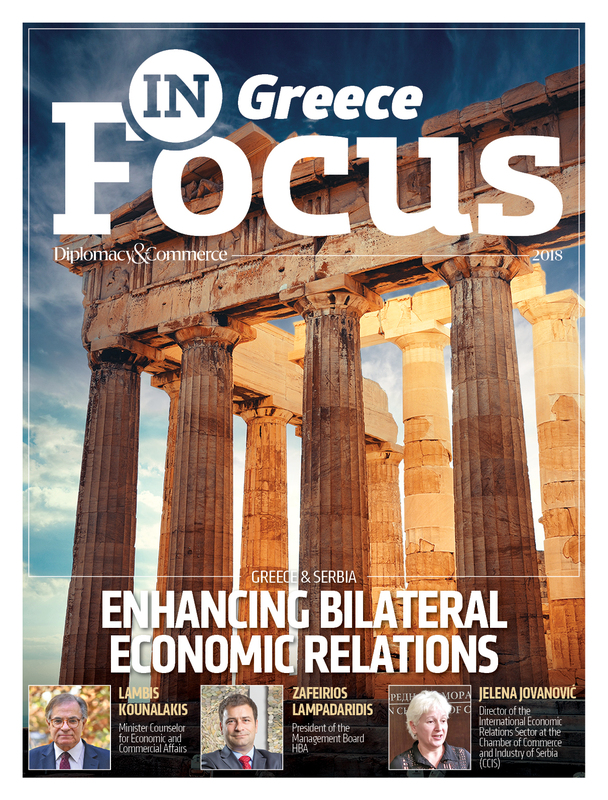 „When we launched this magazine a year ago, our goal was to provide relevant information from politics, economy, diplomacy and business. 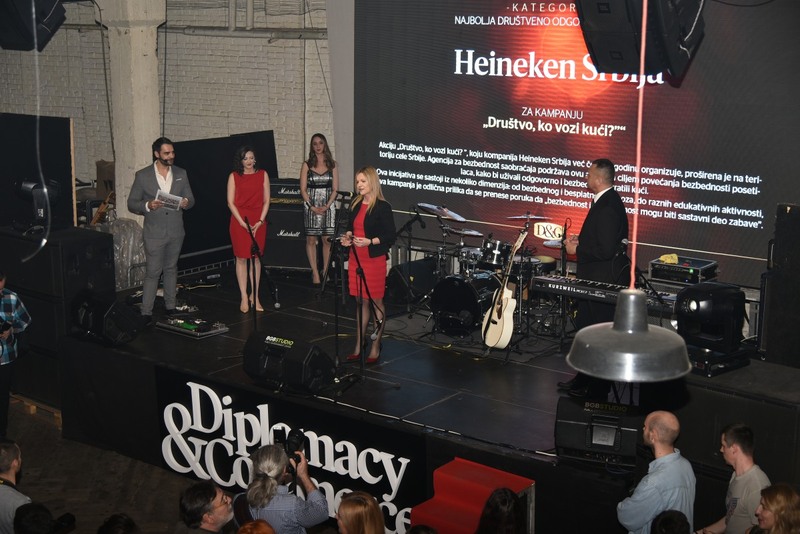 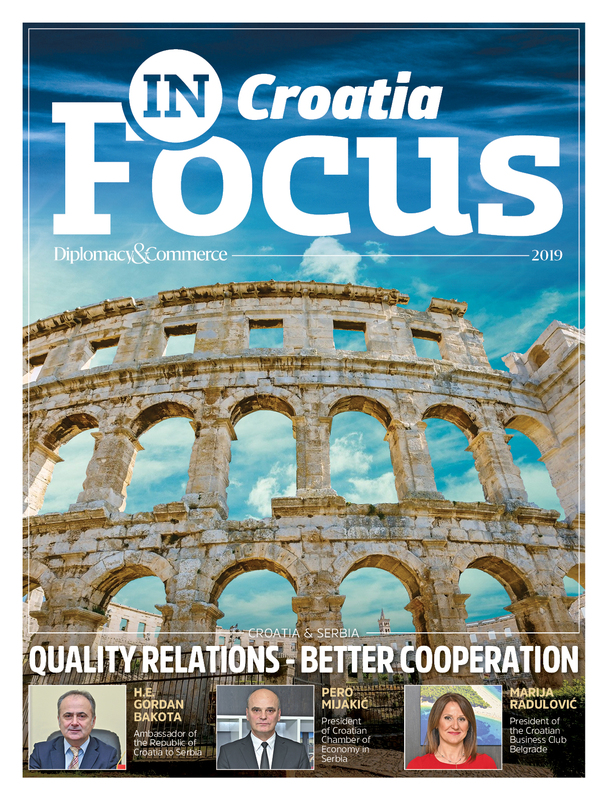 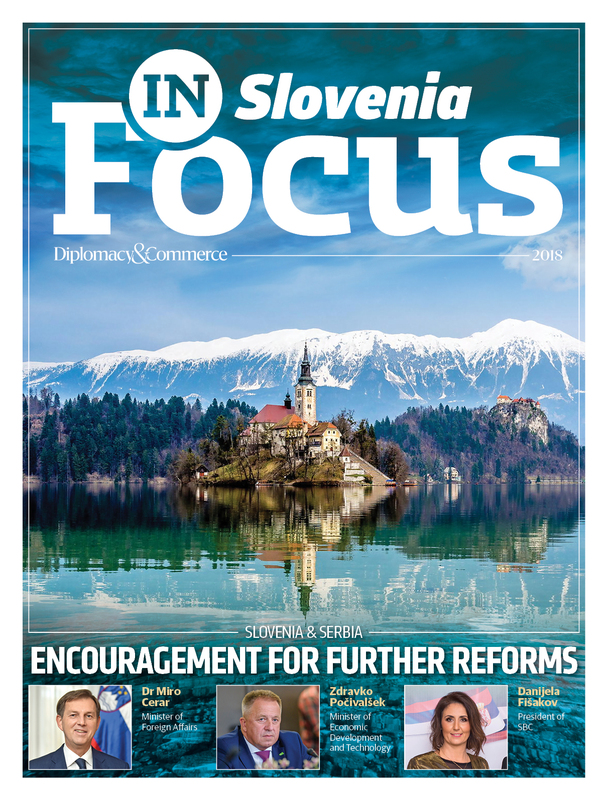 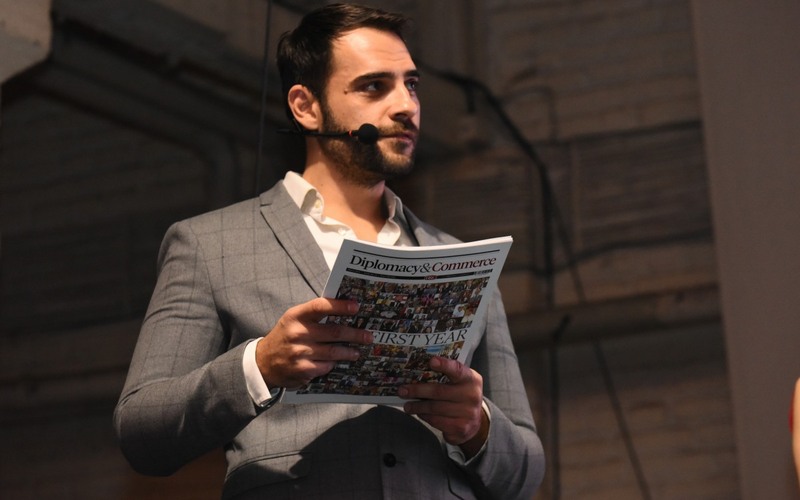 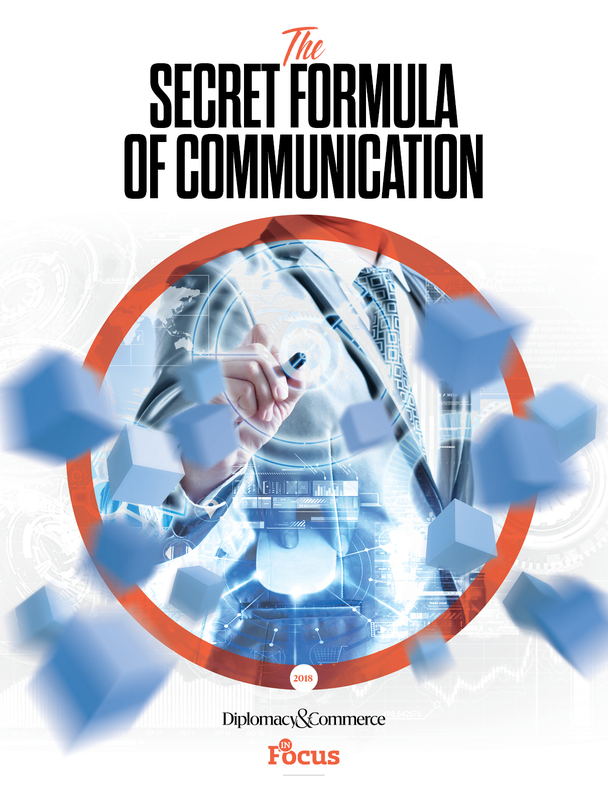 In a very short time we became a reliable communication platform for analyses, opinions, and commentaries from the diplomatic, political and business figures while, at the same time, reporting about culture, sports and other content that is important for Serbia and the region. 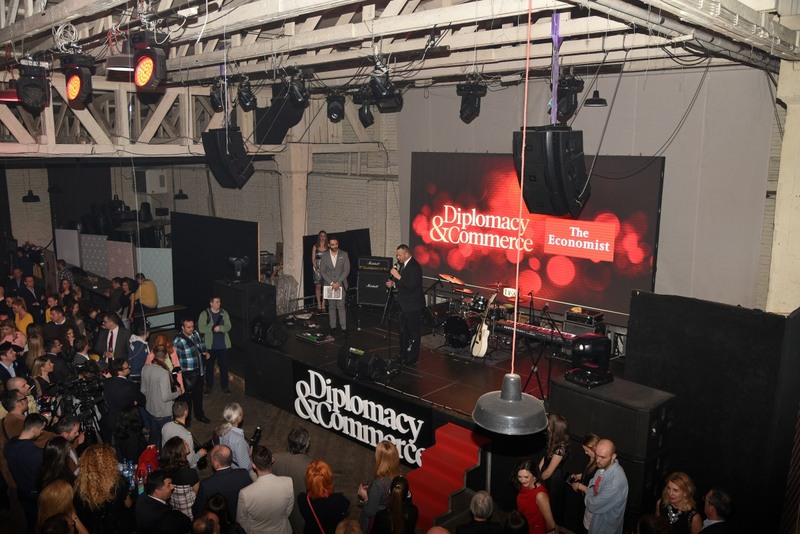 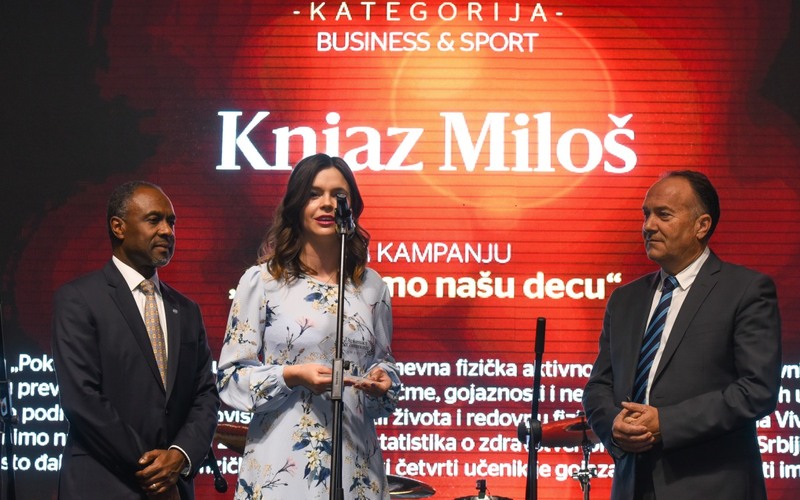 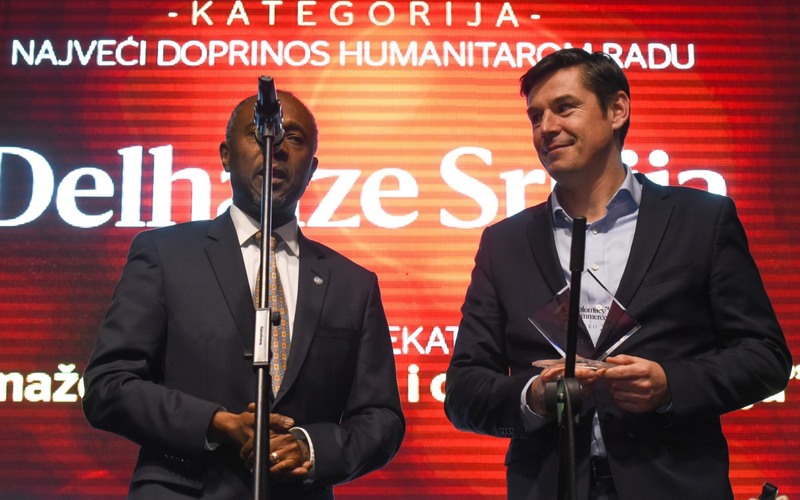 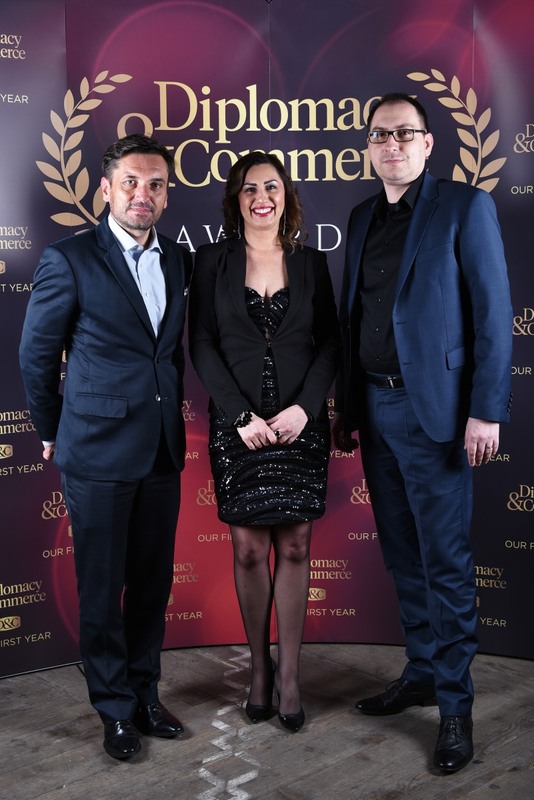 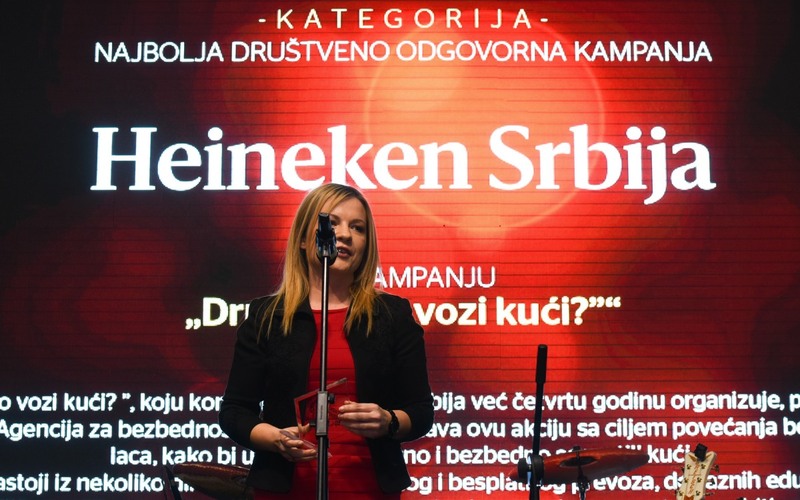 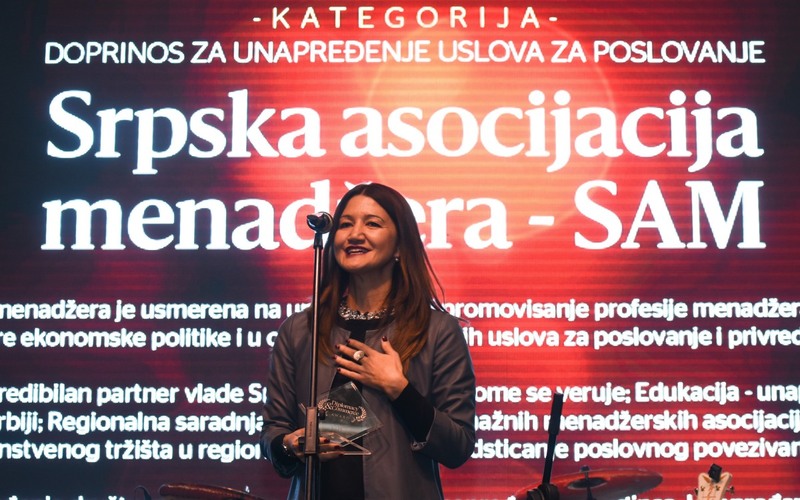 By giving out DIPLOMACY&COMMERCE Awards we wanted to show that there was good news in the sea of negative information that surrounds us, and that there are organizations, individuals and companies that contribute to making Serbia a better place. 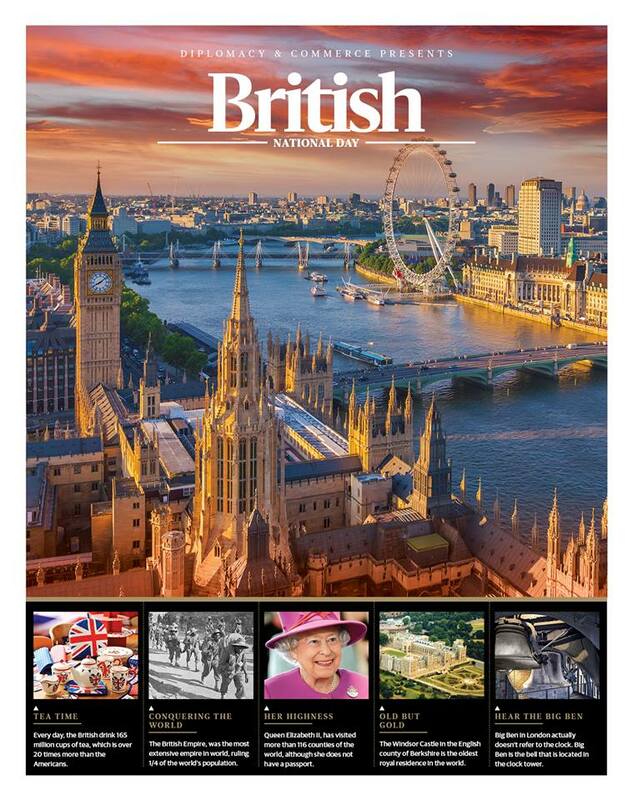 I hope that we have managed to demonstrate all of this tonight. 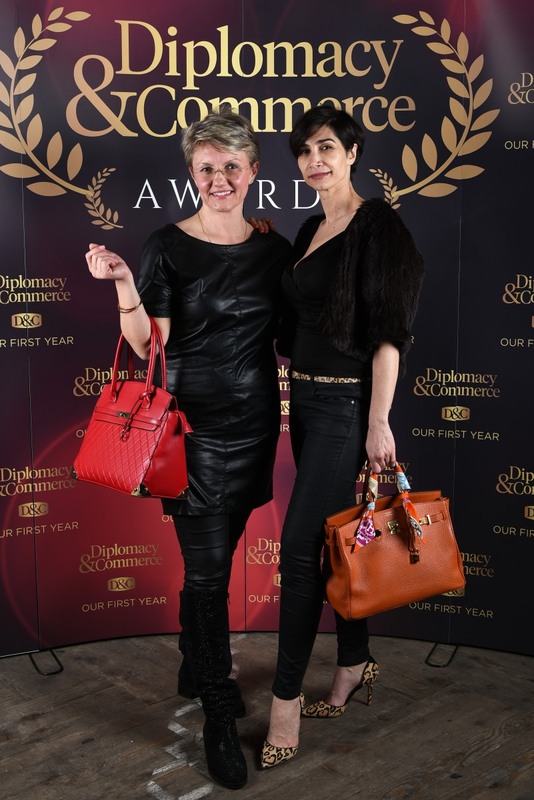 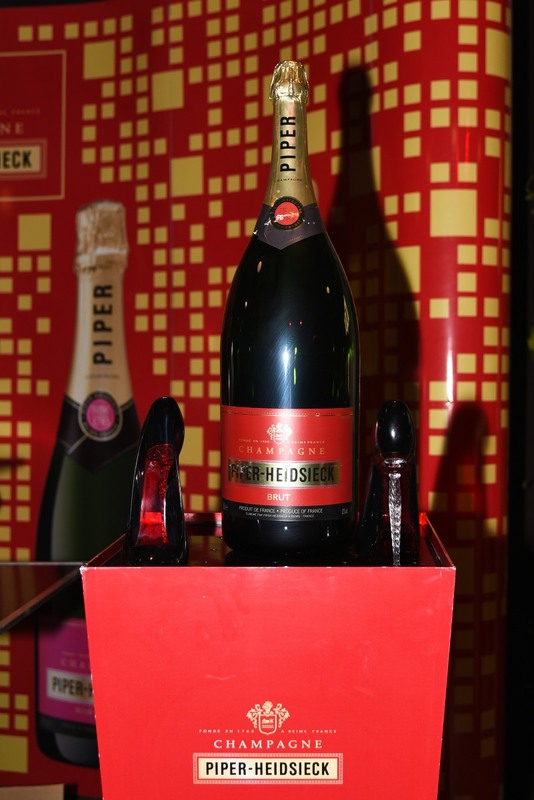 Thank you to everyone that has celebrated with us tonight, the jury and all the winners. 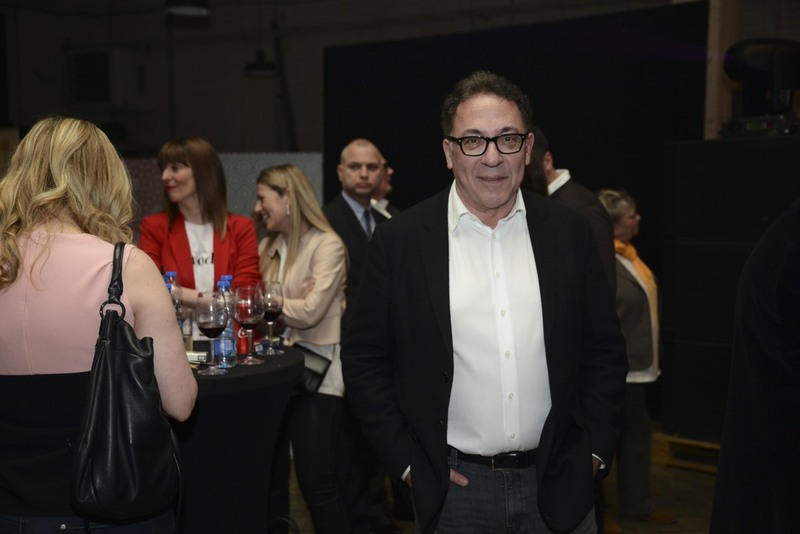 See you next year!“– said Robert Čoban. 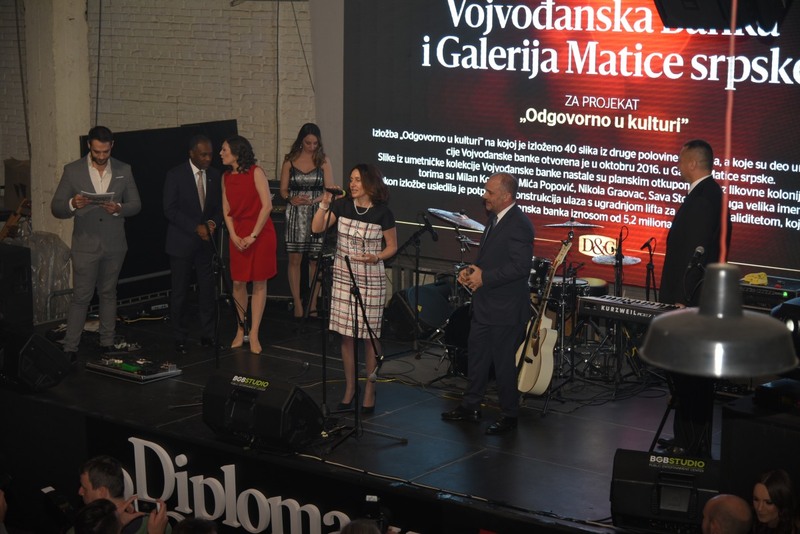 The celebration was attended by many guests including the representatives of the Serbian government, diplomatic corps, and the figures from the Serbian political, cultural and public scene including the Speaker of the Serbian National Parliament Maja Gojković, Minister of Education, Science and Technological Development Mladen Šarčević, President of the Serbian Chamber of Commerce Marko Čadež, Head of the Serbian negotiation team in the EU accession talks Tanja Miščević, the US Ambassador to Serbia H.E. 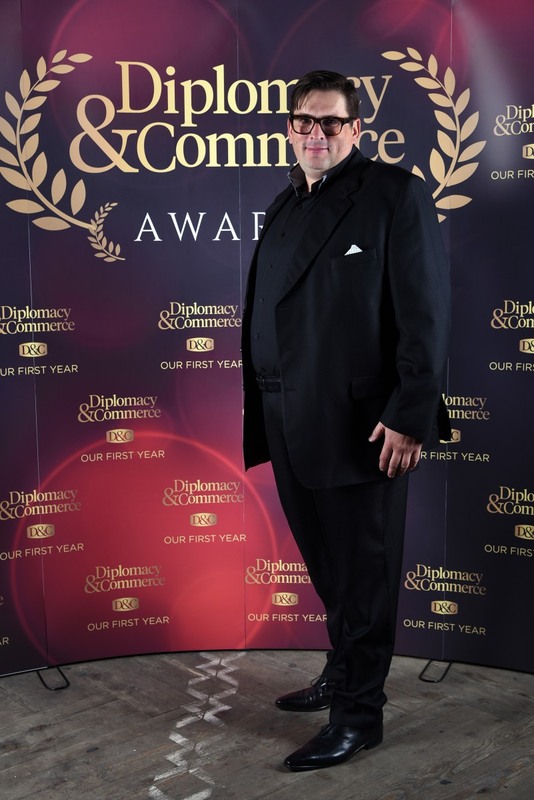 Mr. Kyle Scott, the Italian Ambassador H.E. 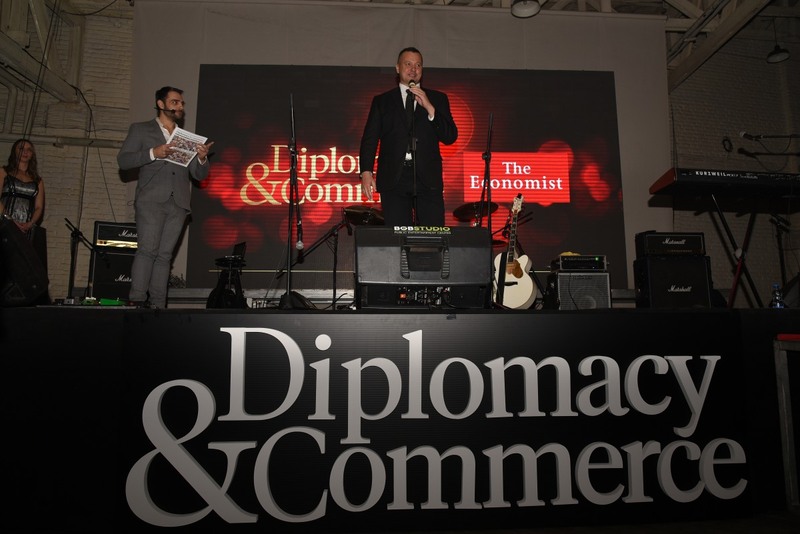 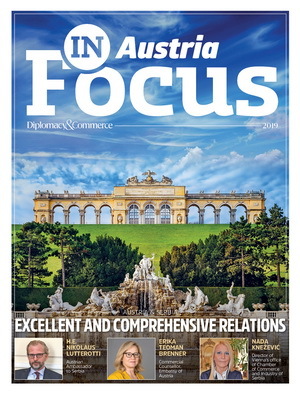 Mr. Giuseppe Manzo, the Austrian Ambassador H.E. 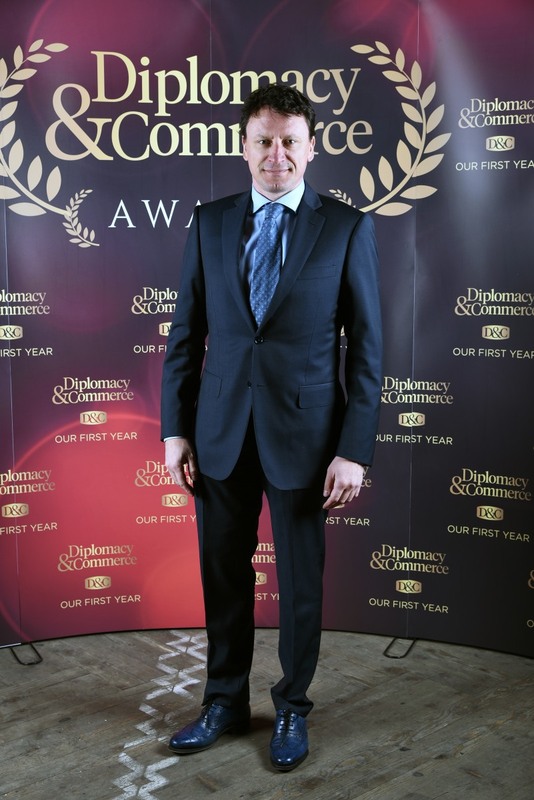 Mr. Johannes Aigner, the Croatian Ambassador H.E. 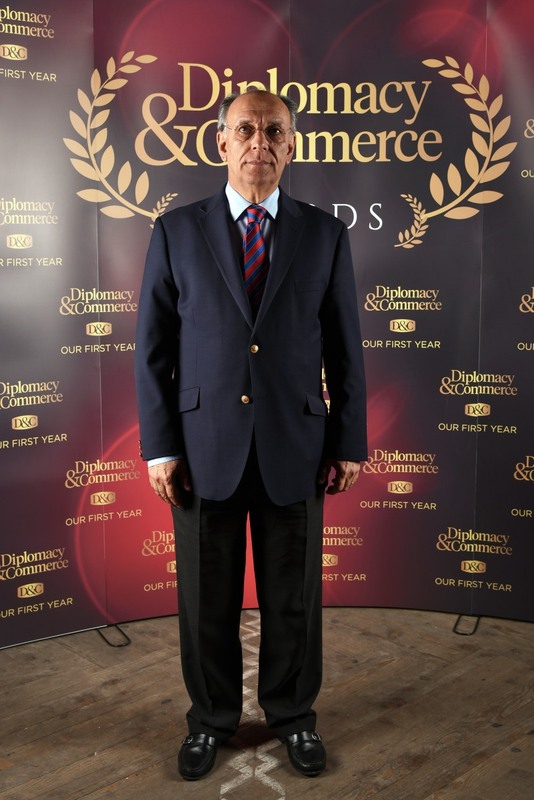 Mr. Gordan Markotić, the Slovenian Ambassador H.E. 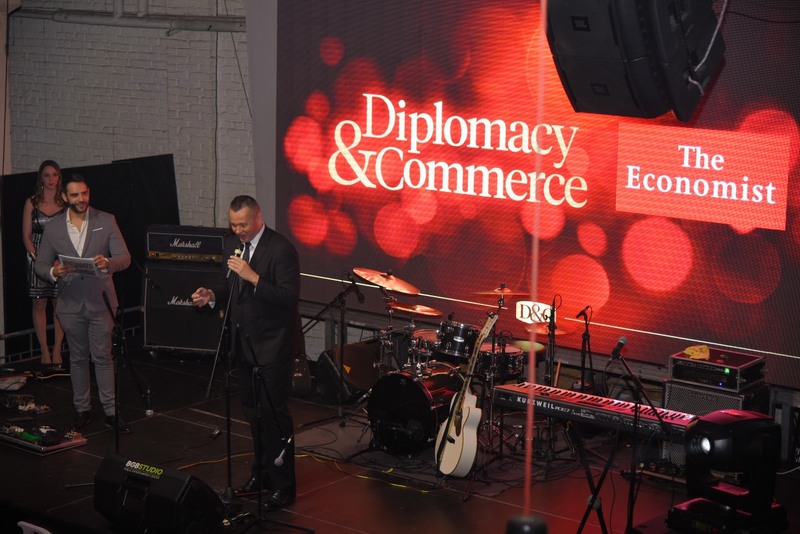 Mr. Vladimir Gasparič, presidents and directors of foreign chambers of commerce (German, French, American, Croatian, Slovenian, Greek, Italian), head of UNICEF Serbia Michel Saint-Lot, head of EBRD office in Serbia, Daniel Berg, a UN representative Karla Robin Hershey and many others. 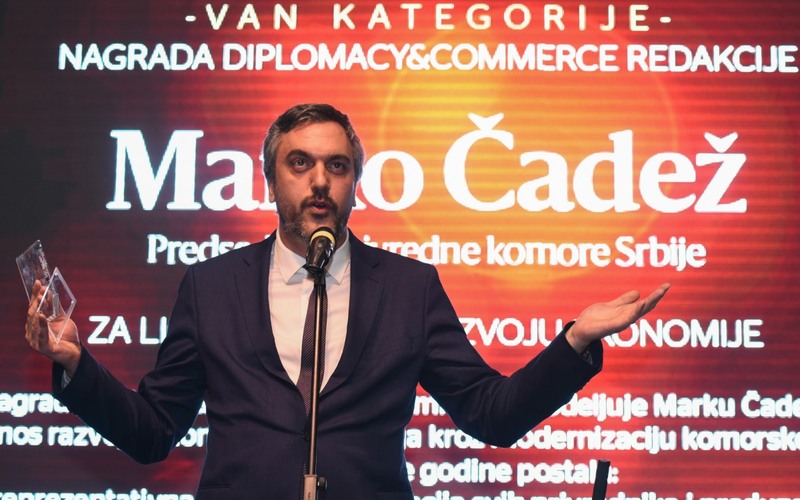 Through modernization of the Serbian chamber system in the two years since Marko Čadež has been appointed president, the Serbian Chamber of Commerce has become a representative business association of all business people and small business owners, in addition to an efficient service provider and a useful and reliable partner to companies which operate in Serbia. 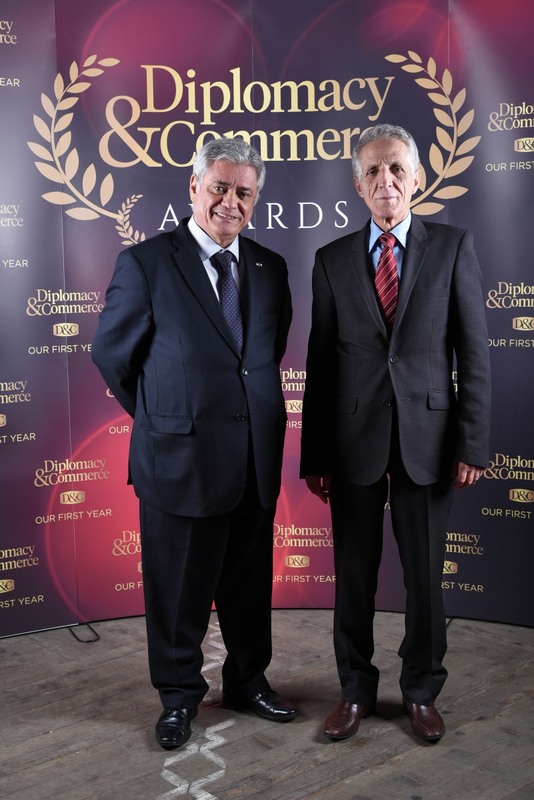 Furthermore, the Chamber has also initiated the implementation of dual education to suit the labour market needs. 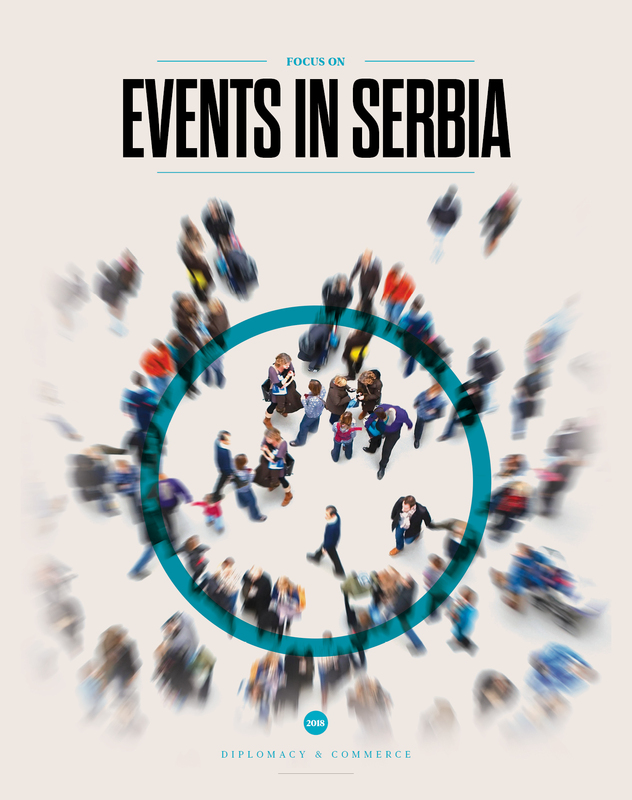 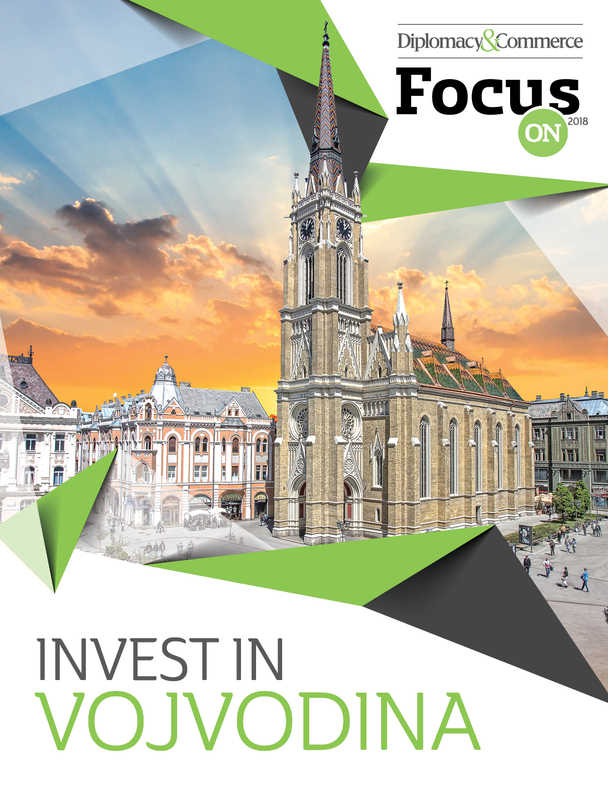 SERBIAN VISIONS is a multi-conference that covers several topics – human rights, economy, education, culture, health, environmental protection, EU integration, safety, innovation, and any other segment that is an integral part of the vision for the brighter future of Serbia. 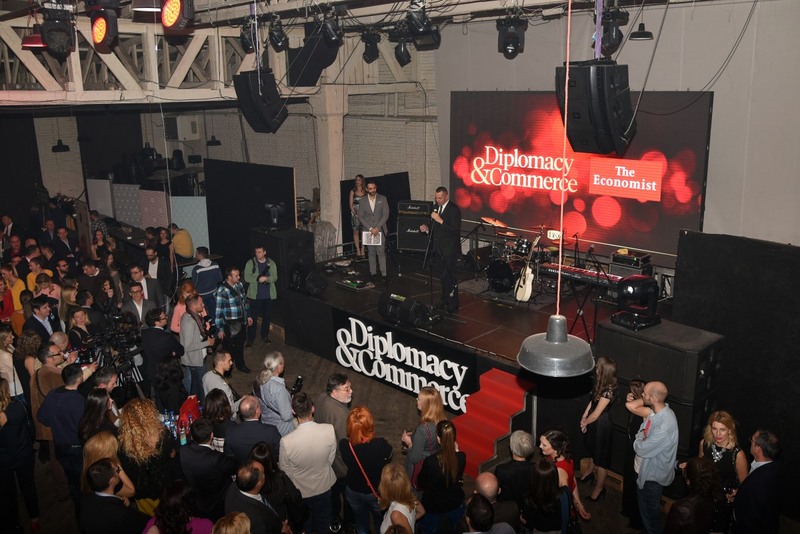 With over 300 member companies, this chamber of commerce is the biggest and the most important bilateral organization in Serbia. 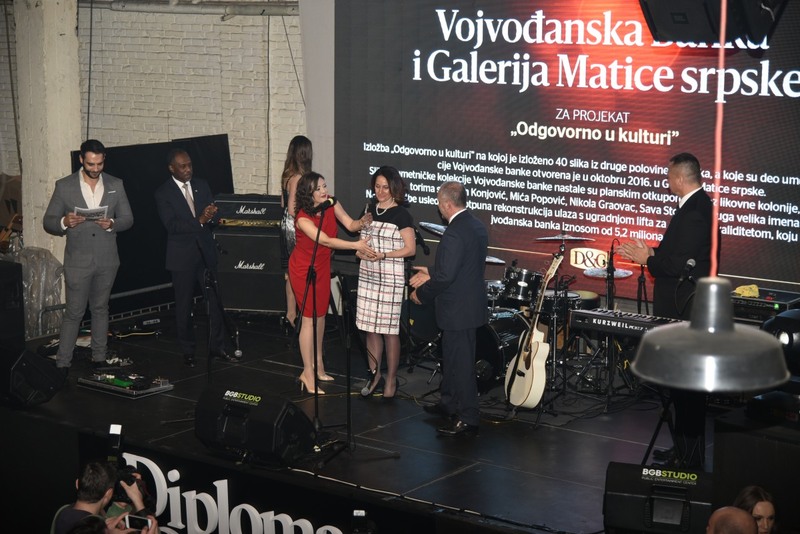 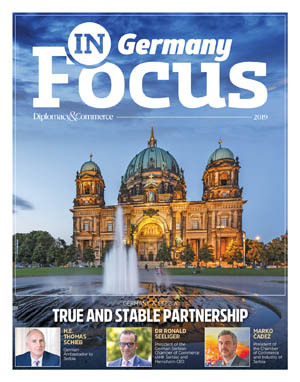 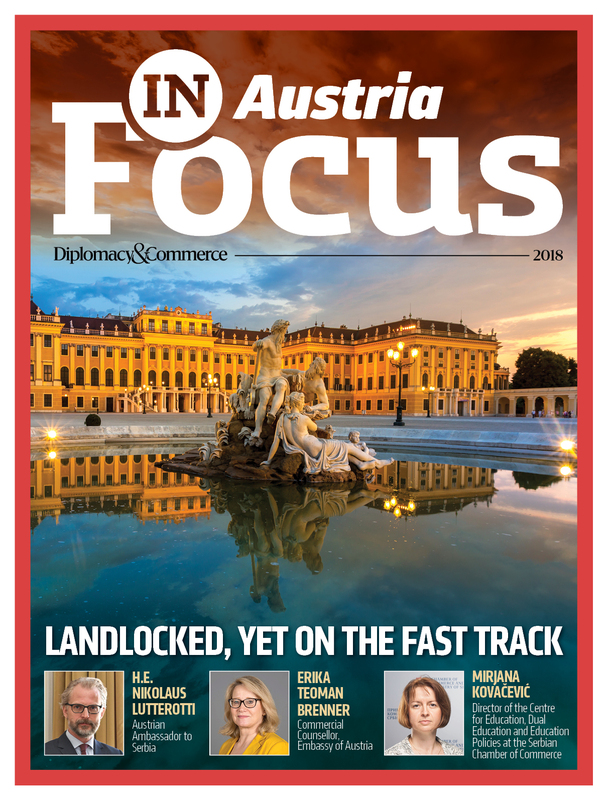 It represents the interests of its members, provides informative support to their businesses, and advocates development of the German-Serbian trade and cooperation. 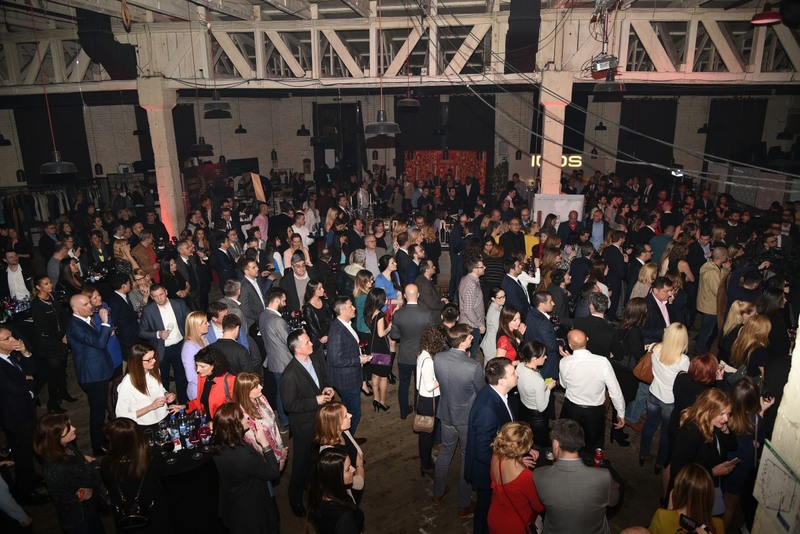 The Serbian Association Managers is focused on advancing and promoting managerial profession in Serbia, while actively exerting influence on the creators of economic policies with the view of creating better conditions for doing business and facilitating economic growth in Serbia. 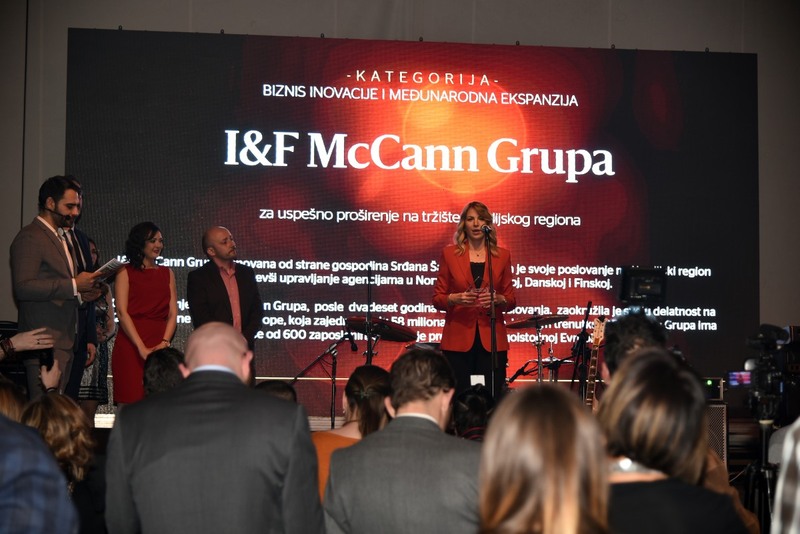 I&F McCann Group, founded by Srđan Šaper, has expanded its operations and opened offices in Norway, Sweden, Denmark and Finland. 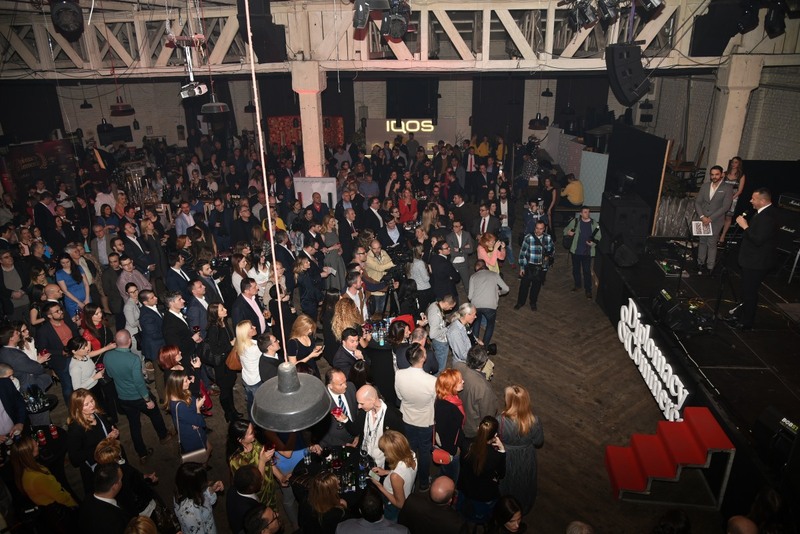 By doing so, the Group, which has been successfully operating for 20 years, is now present in 12 countries in South and East Europe. 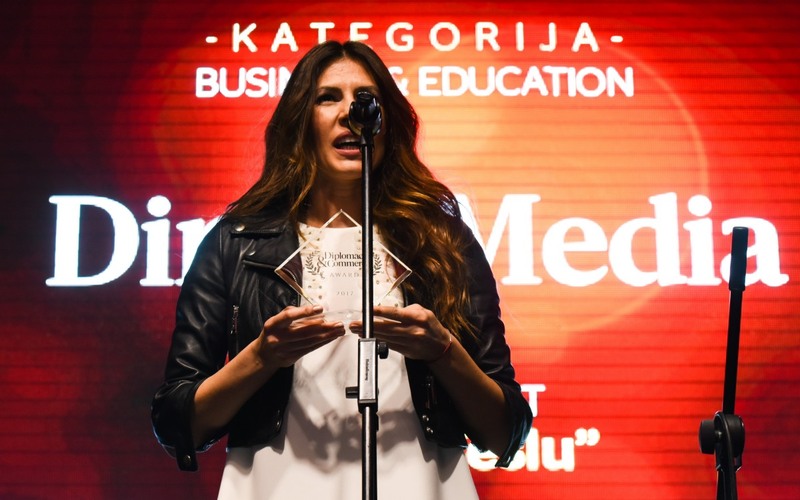 Supporting youth and education, investing in healthcare, science and culture, charity work, commitment to employees and customers, interaction with shareholders, and integration of social care and environmental protection into everyday operations are the basic principles that the business strategy of Telekom Serbia a.d. rests on. 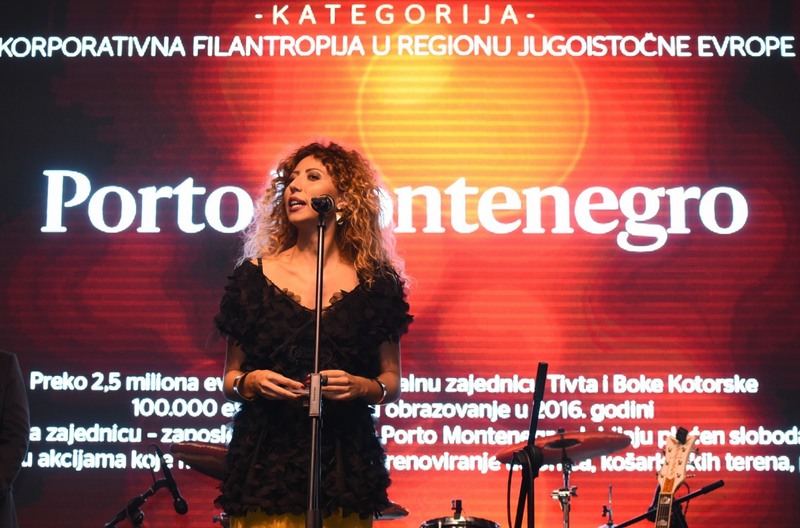 The Porto Montenegro Company has donated over 2.5 million EUR to the local communities of Tivat and Boka Kotorska, and 100,000 EUR to educational purposes in 2016. 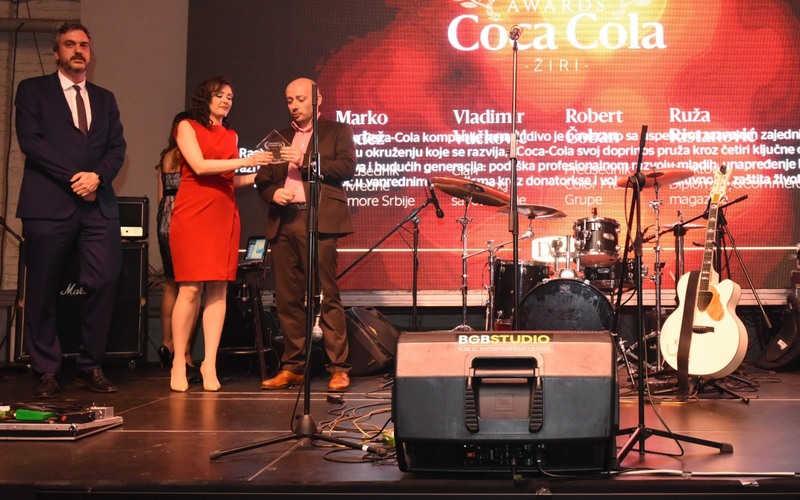 Coca-Cola’s operations are inextricably linked to community success and development. 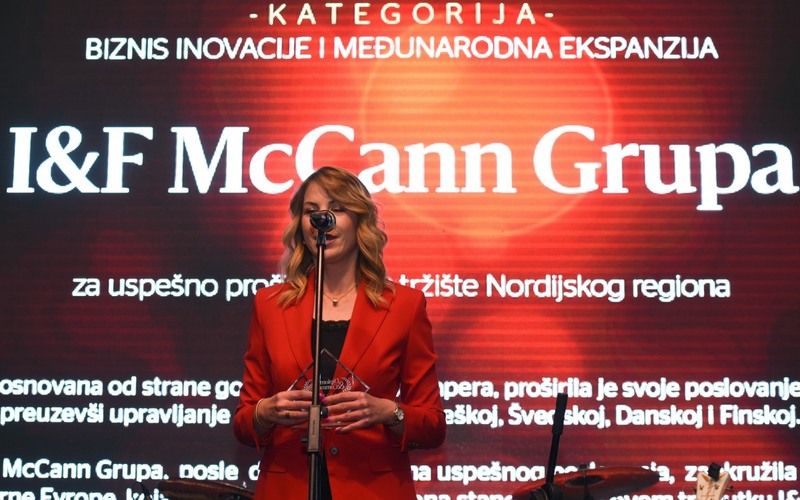 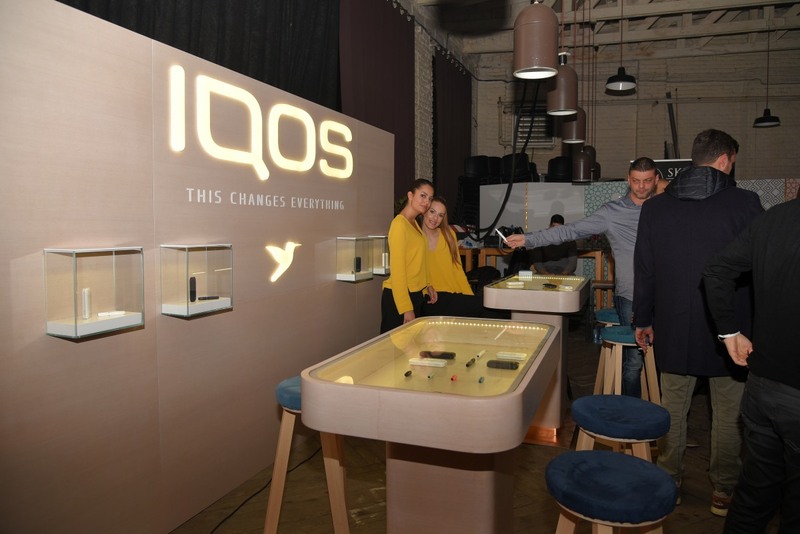 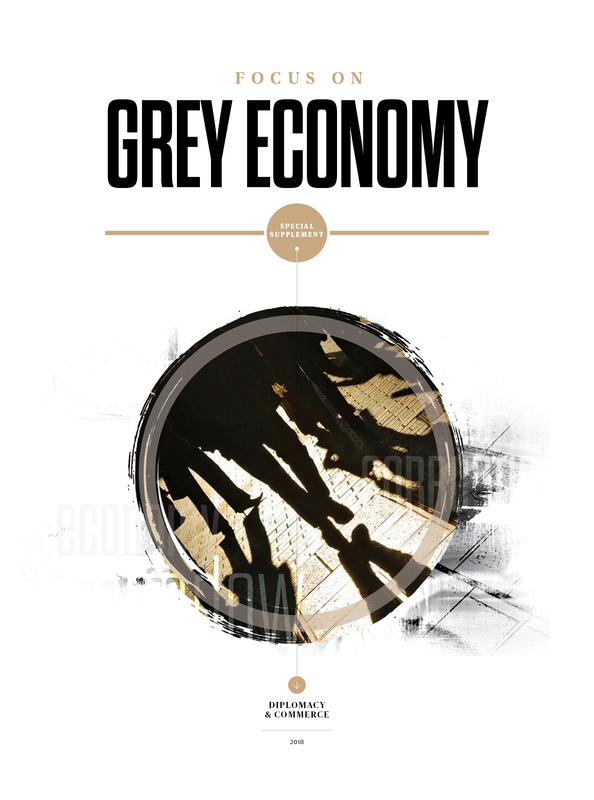 The company contributes through four key areas which facilitate the development of society and future generations – supporting professional development of youth, improving the quality of life in community, assistance in emergency situations through donations and volunteering, and environmental protection. 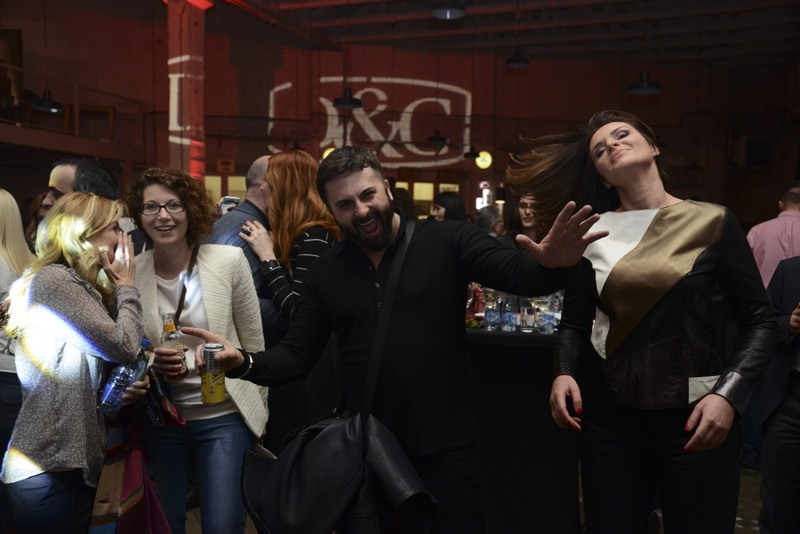 This is the fourth year that Heineken Serbia has launched its Folks, who is the designated driver? 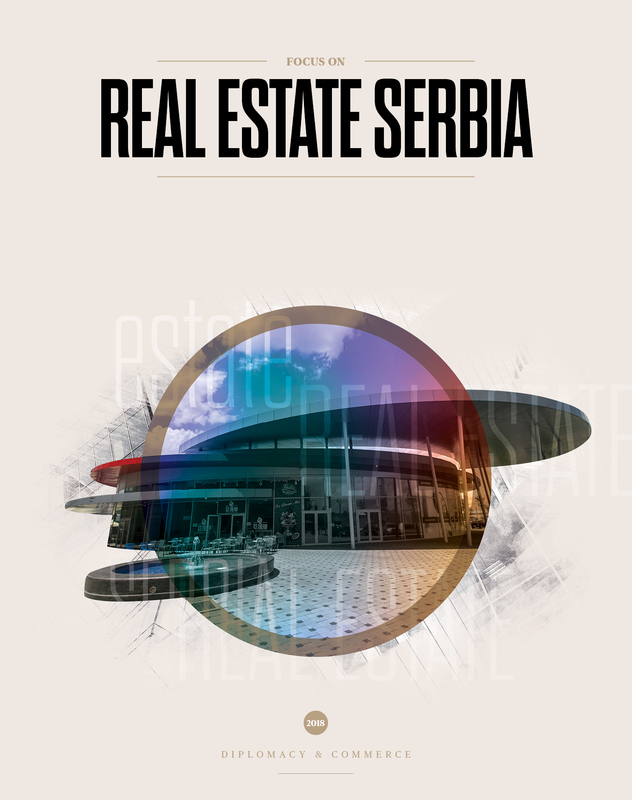 campaign all over Serbia. 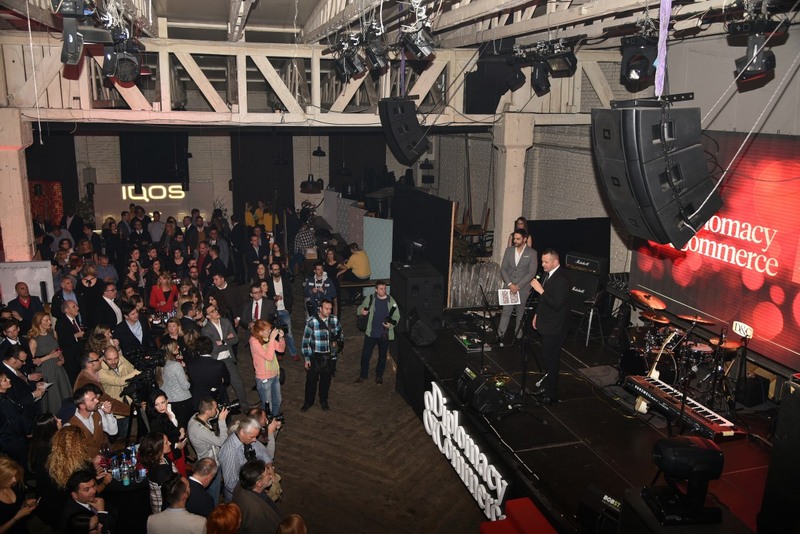 This campaign covers several facets – from safe and free car lifts to various educational activities. 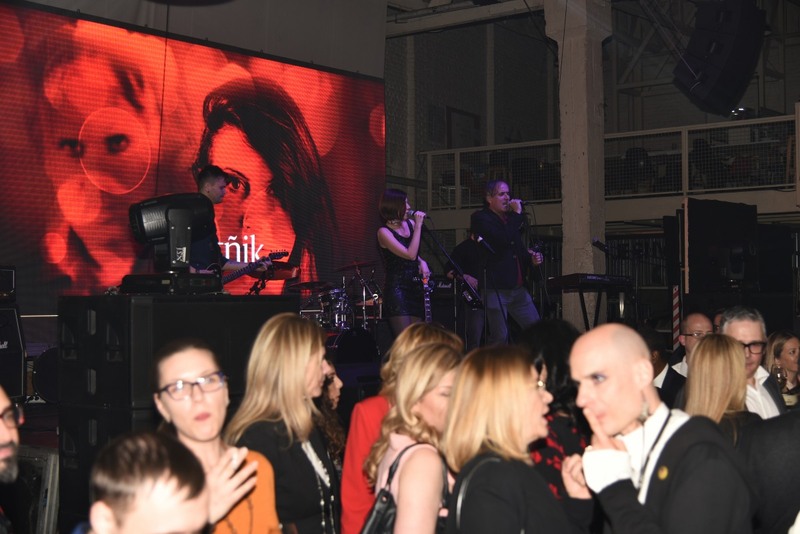 It provides an excellent opportunity to relay the message that “being safe and responsible can also be fun”. 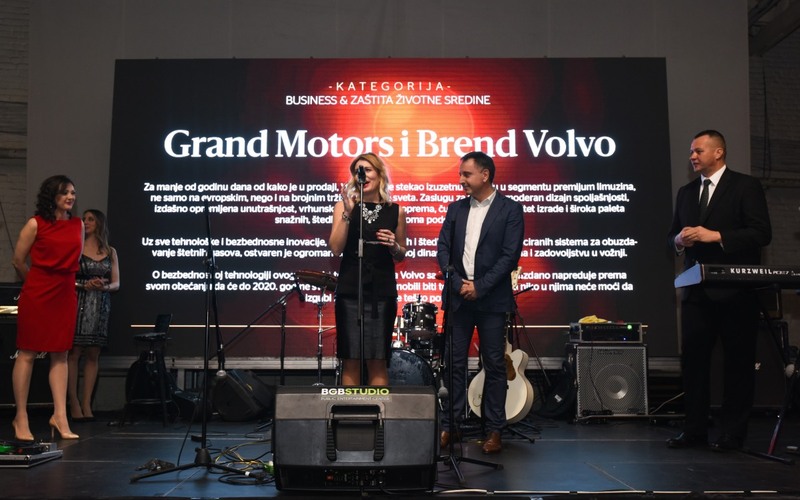 In less than a year since its launch, Volvo S90 has managed to occupy an exceptionally high position in the luxury sedan segment, not only in Europe, but in other global markets too. 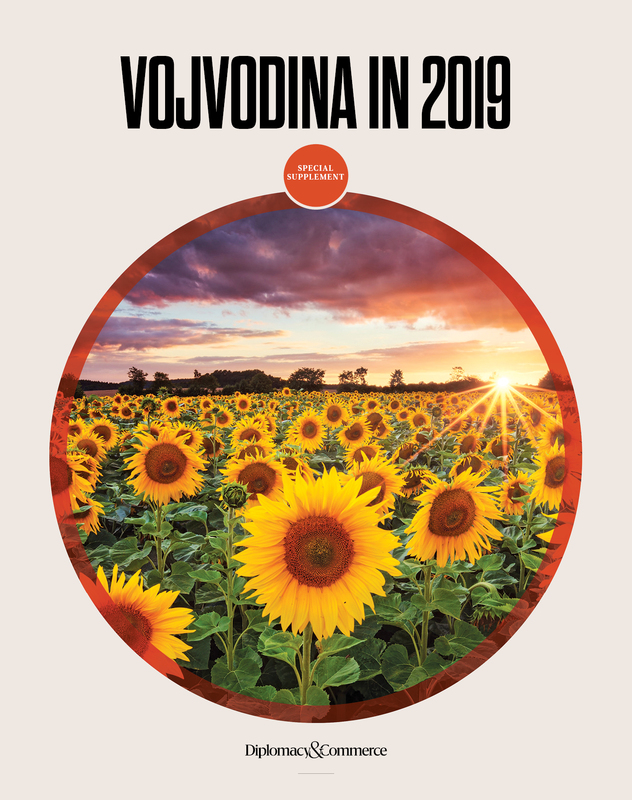 S90 is yet another step forward in Volvo’s keeping its promise to, by 2020, manufacture cars so safe that nobody would get killed or seriously injured driving a Volvo. 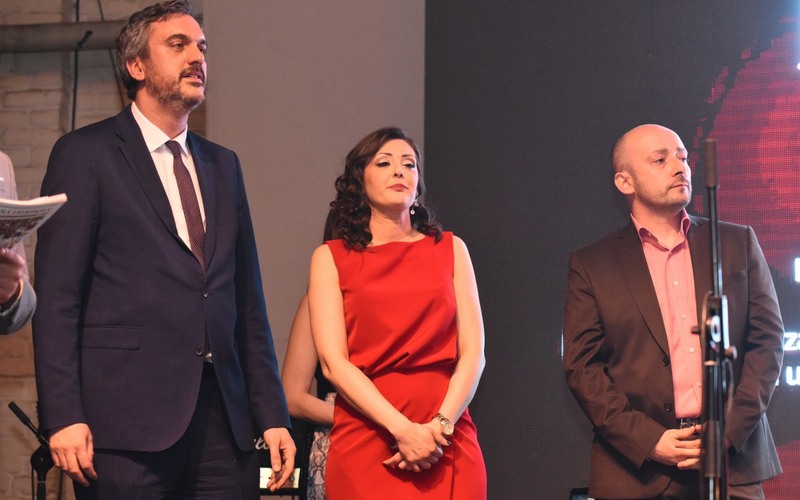 Aqua Viva and the Ministry of Education, Science and Technological Development have partnered on launching the programme called “Let’s Get our Children to Move” which promotes regular physical activity for children in 1,206 elementary schools in Serbia in order to prevent bad posture, spine deformities, obesity and physical inactivity in young children. 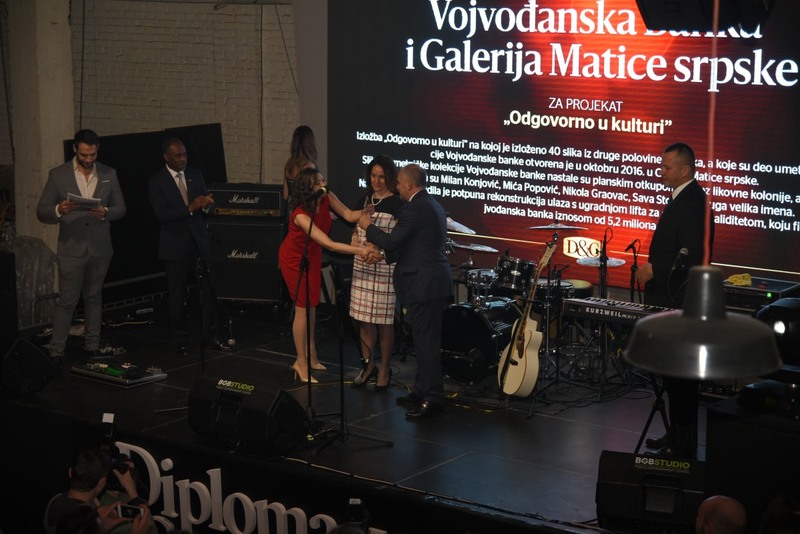 The exhibition titled “Be Responsible in Culture”, at which 40 paintings from the second half of the 20th century that are a part of the Vojvođanska Bank art collection, are showcased, was opened in the Matica Srpska Gallery in October 2016. 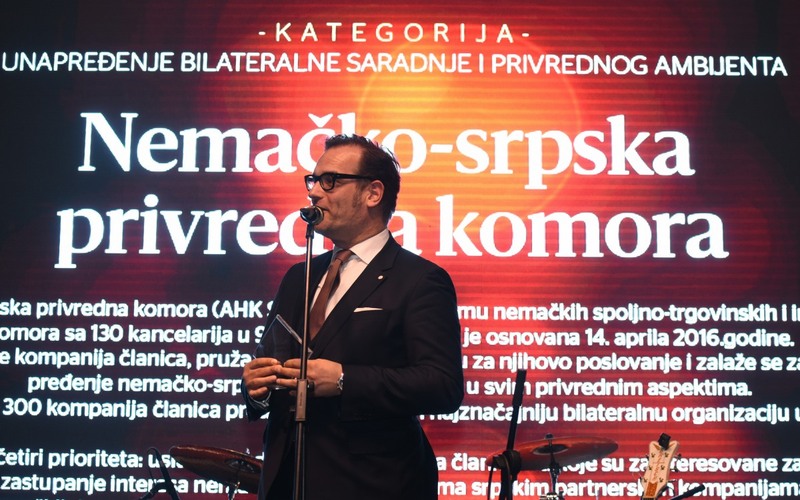 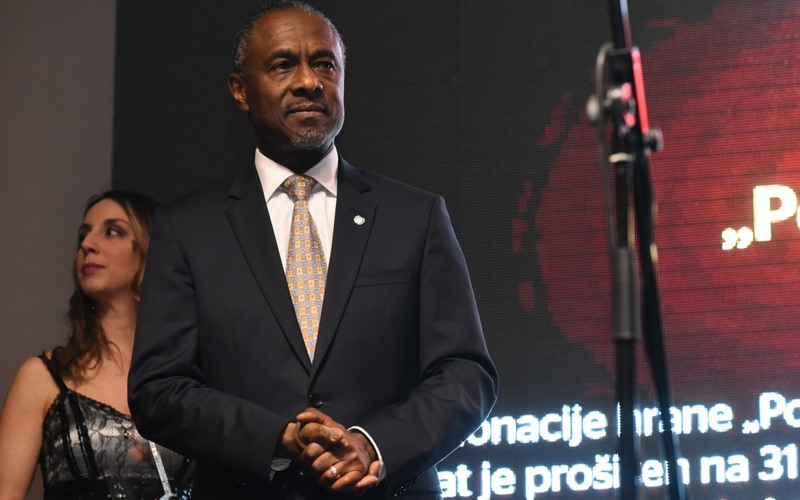 After the exhibition, the Vojvođanska Bank donated 5.2 million dinars toward reconstructing Matica Srpska’s entrance and the installation of a lift for disabled people. 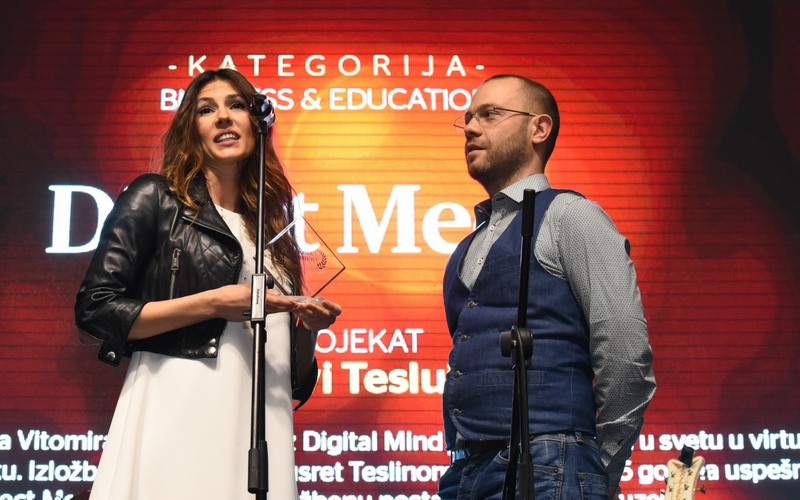 The exhibition called ‘Experience Tesla’, created by Vitomir Jevremović from Digital Mind, is the only virtual reality exhibition in the world dedicated to the extraordinary scientist. 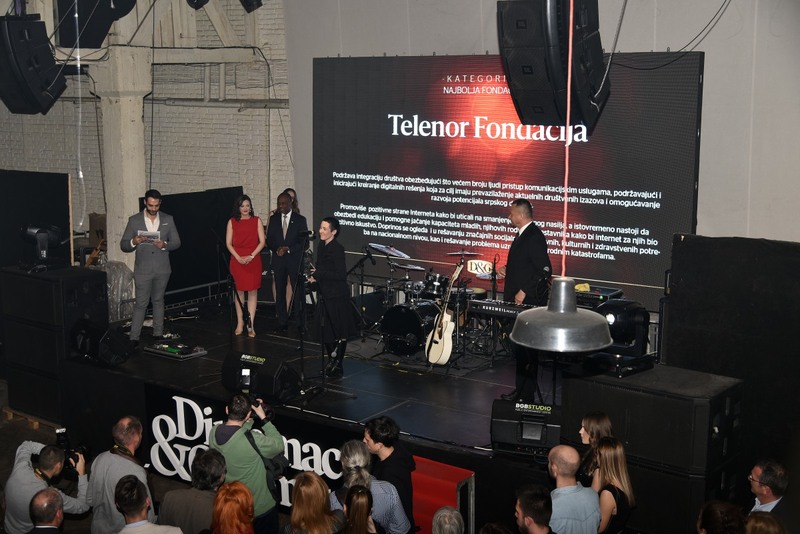 The exhibition was put together to mark the upcoming Tesla’s jubilee, and to celebrate 15 years of the Direct Media Company which donated this exhibition to a museum. 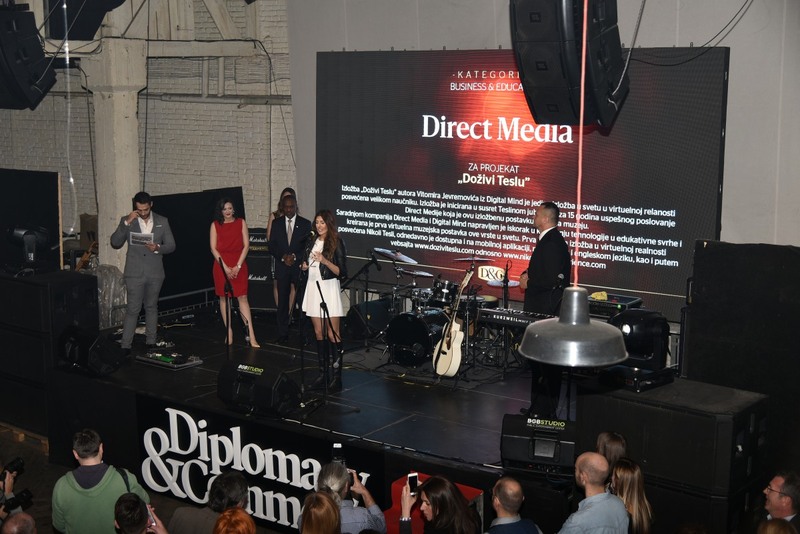 The cooperation between Direct Media and Digital Mind was a step forward in utilization of technology for educational purposes which resulted in the first ever VR exhibition of its kind in the world. 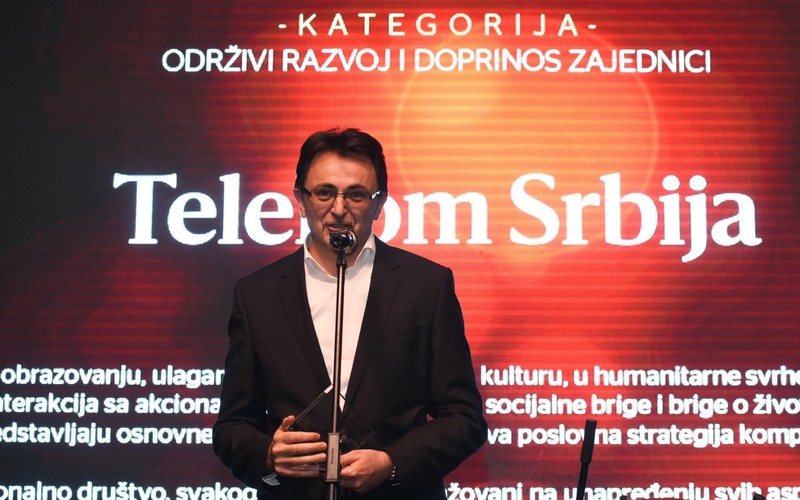 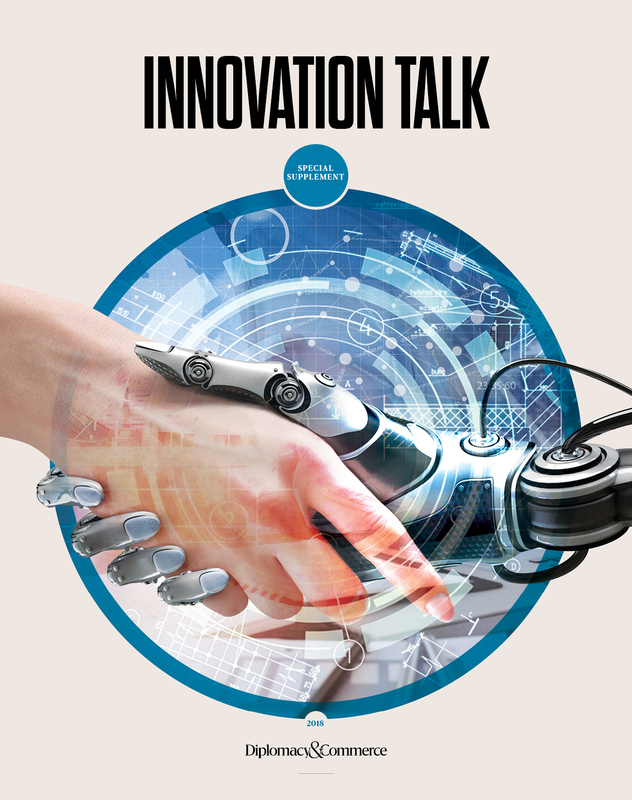 The Telenor Foundation promotes social integration by enabling access to communication services to as many people as possible while supporting and initiating the creation of digital solutions which can resolve the current social challenges and facilitate the development of Serbia’s potential. 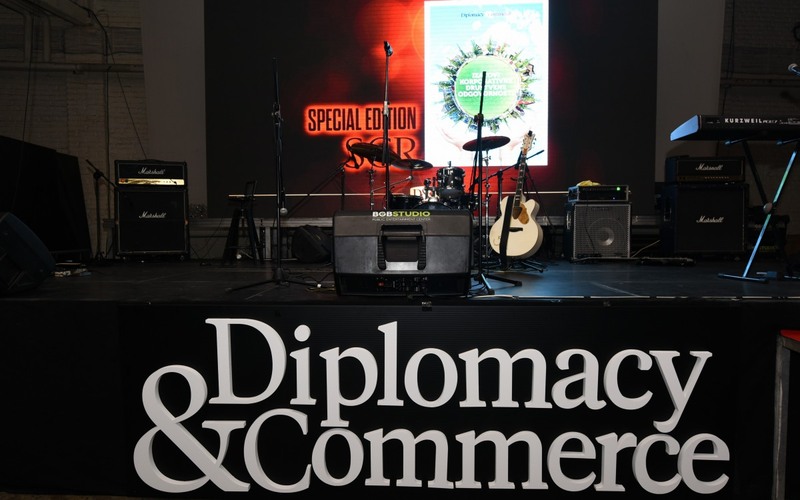 The Foundation has also been contributing to fulfilment of the important social, educational, cultural and healthcare needs at the national level, as well as mitigating problems caused by natural disasters. 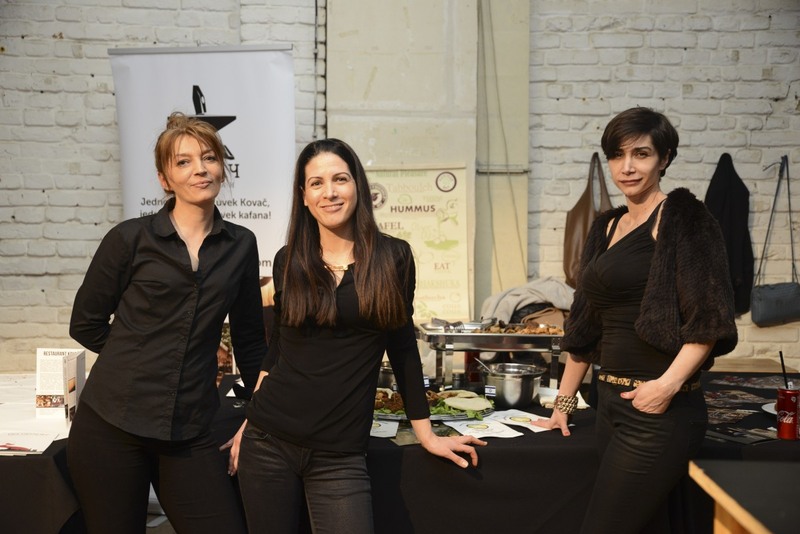 This food donation project was launched last year, and now includes 31 towns in Serbia. 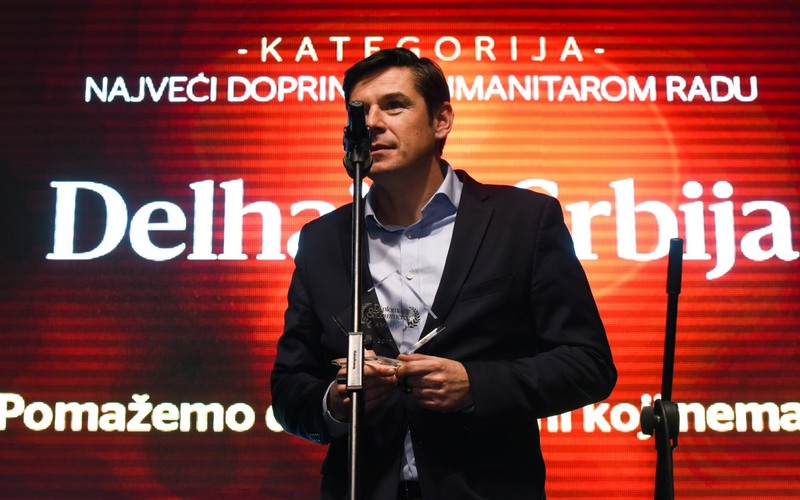 Every day, 130 Maxi and Tempo supermarkets donate to charity organizations involved in the project fresh fruits and vegetables which are then distributed to 6,000 people who are financially worse off or on welfare.